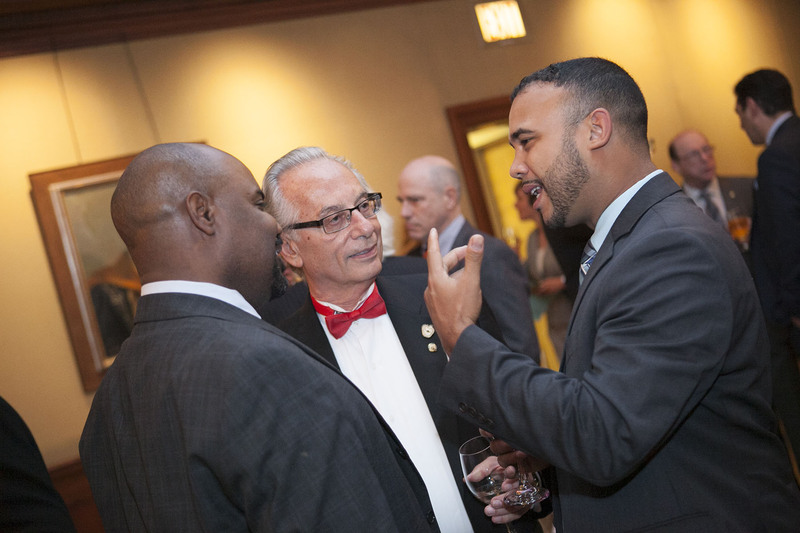 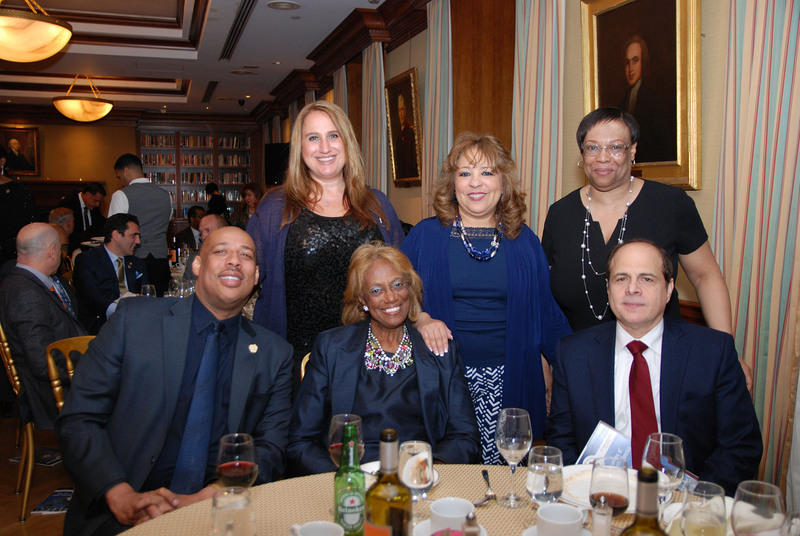 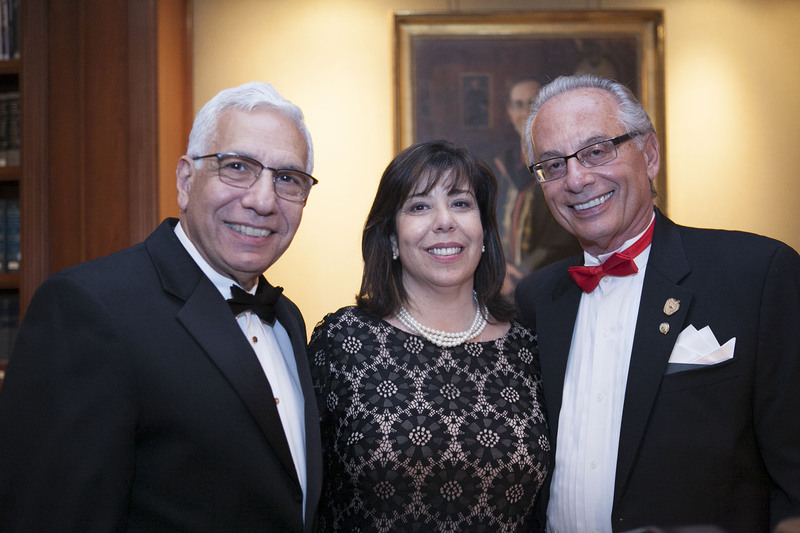 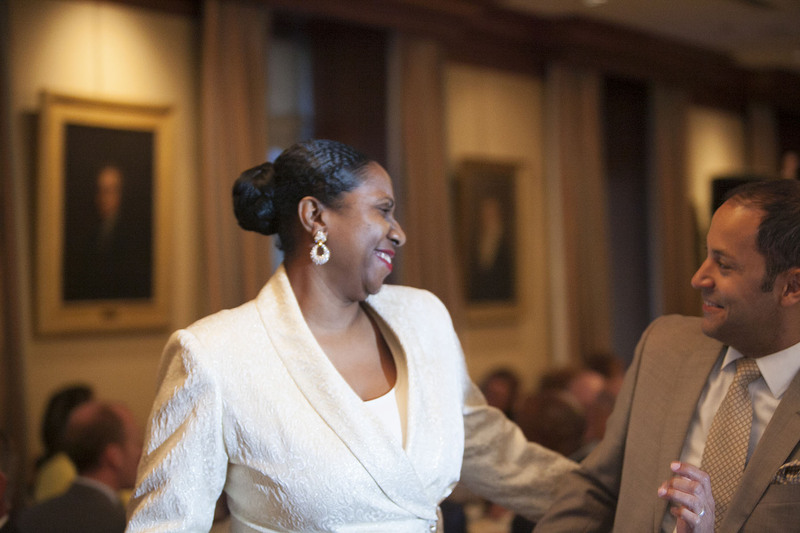 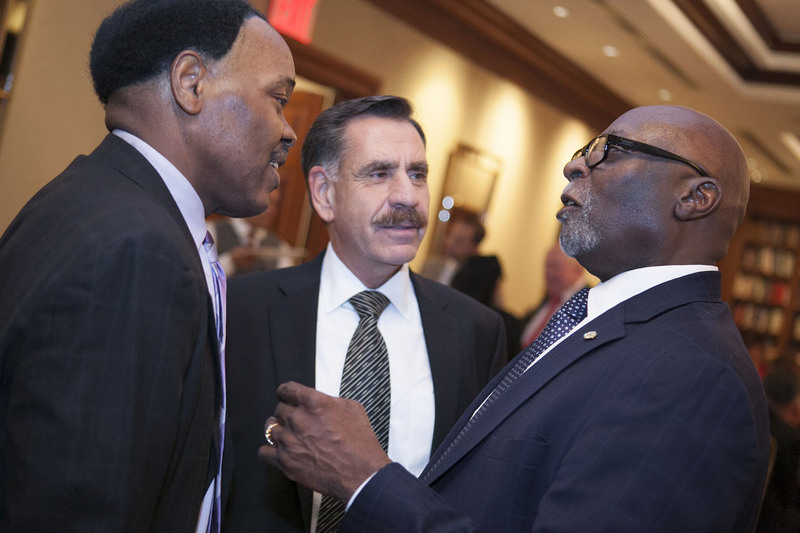 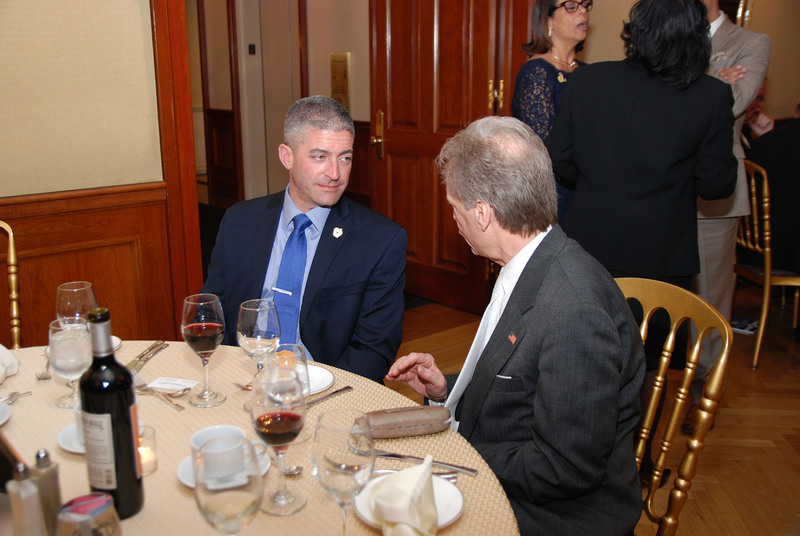 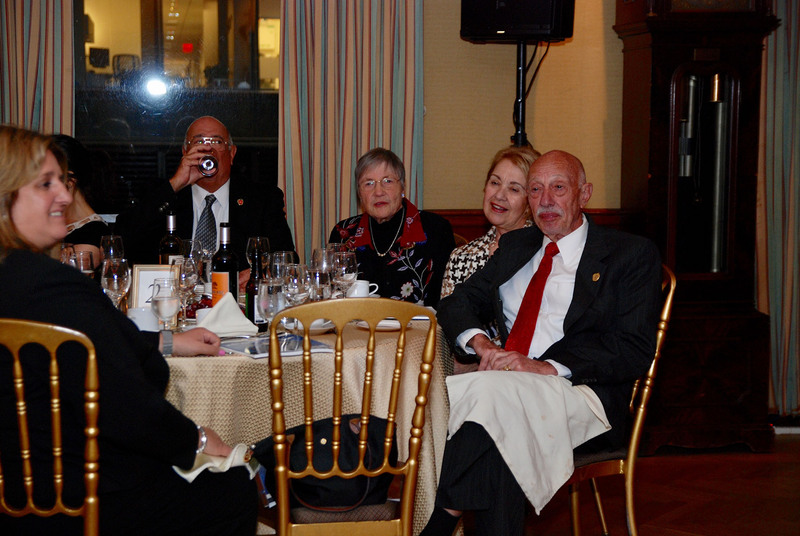 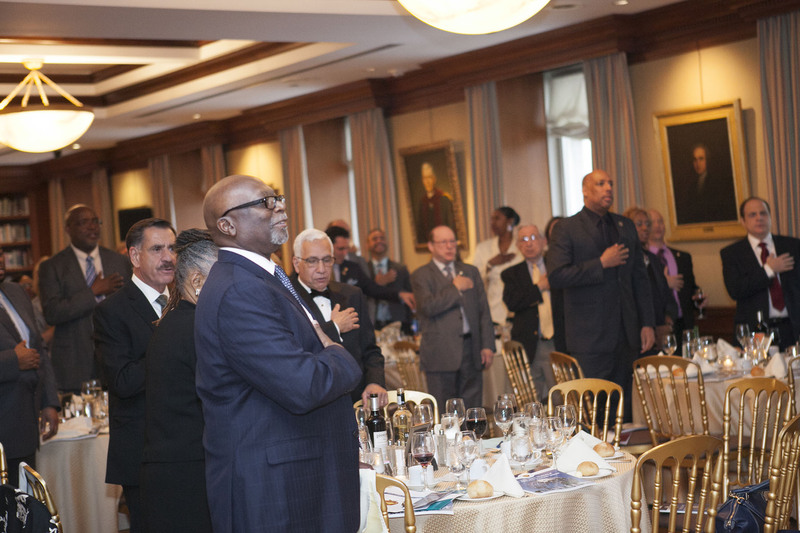 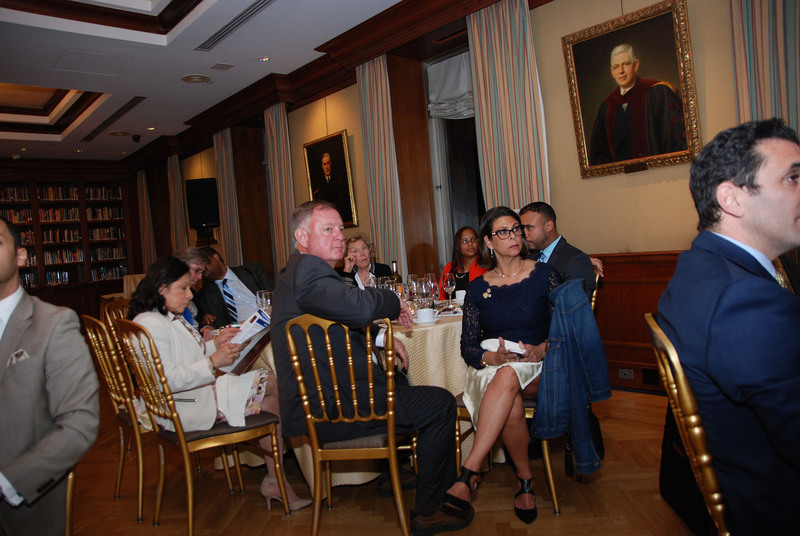 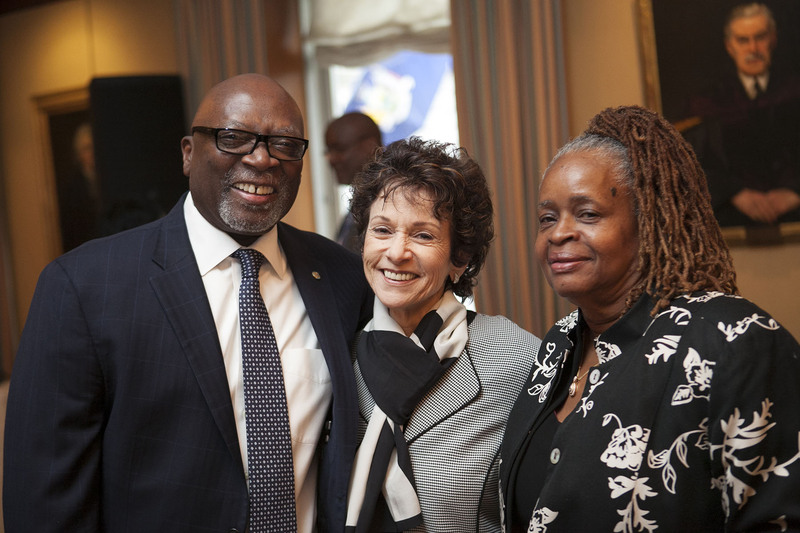 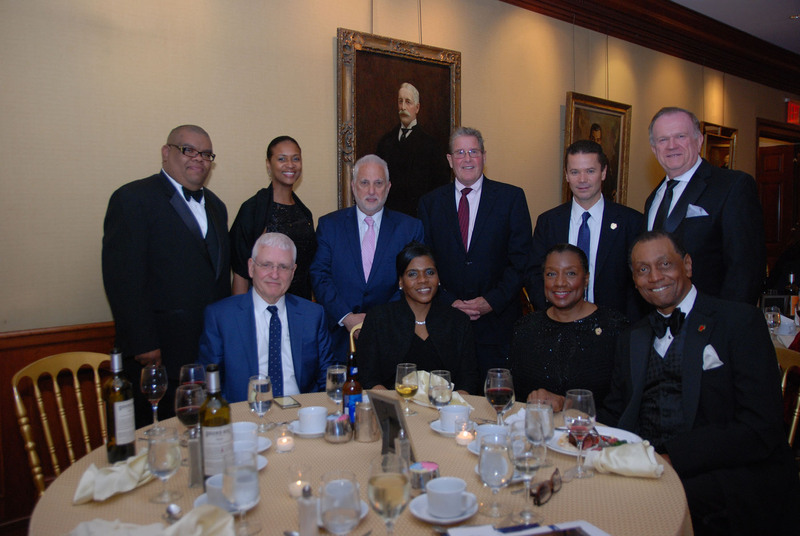 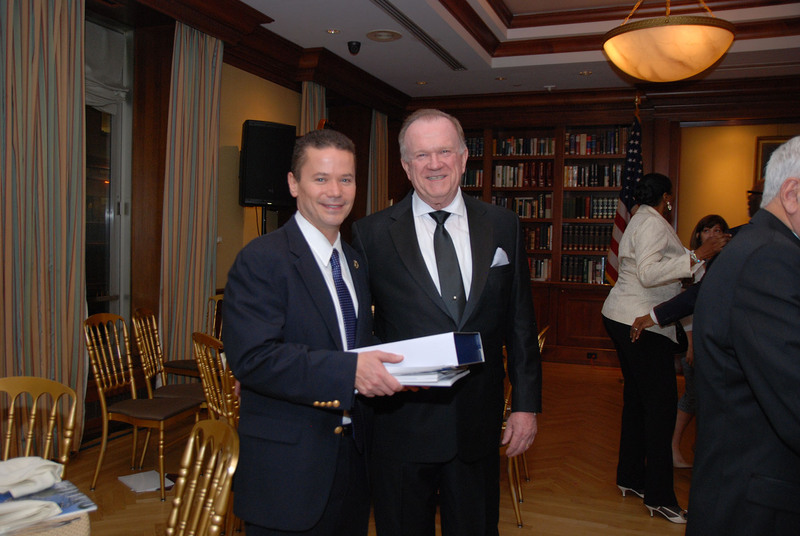 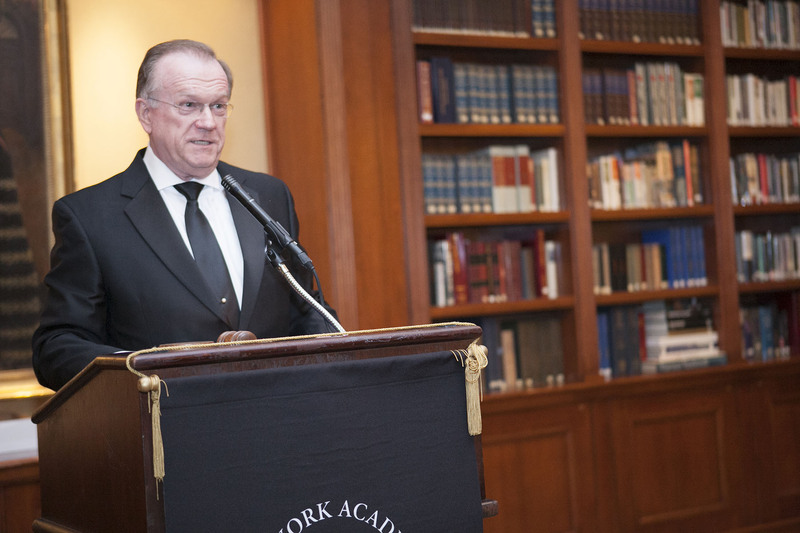 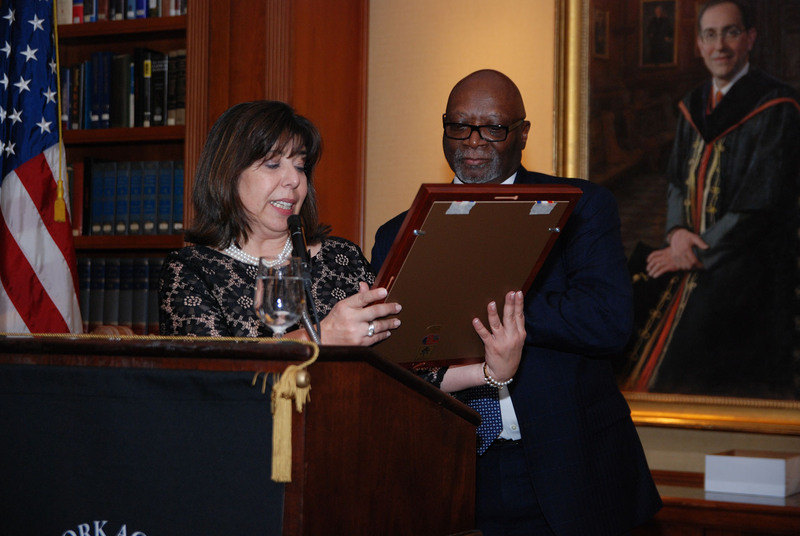 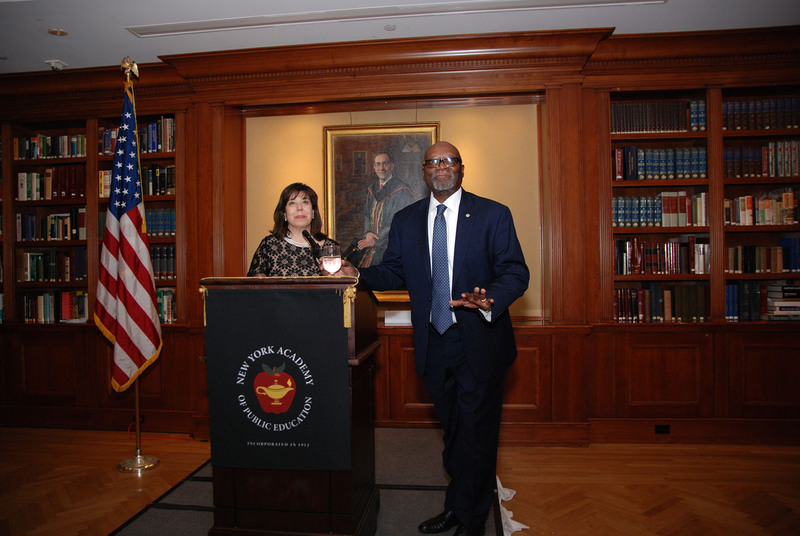 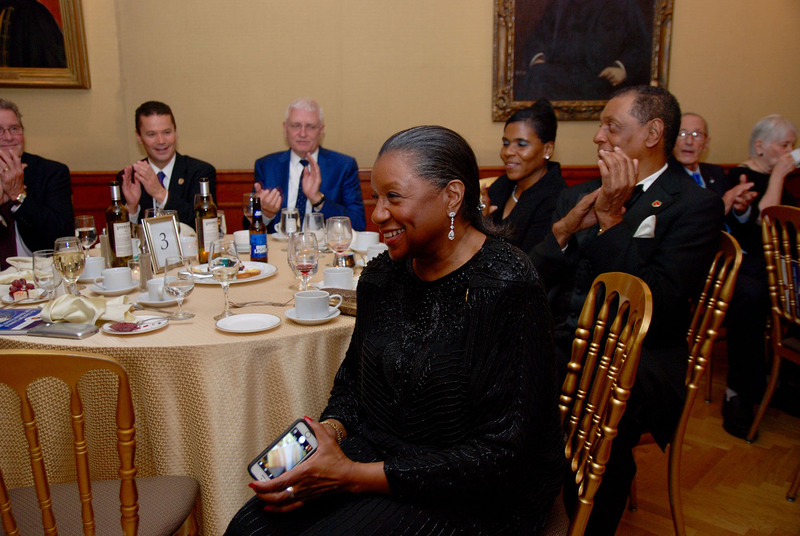 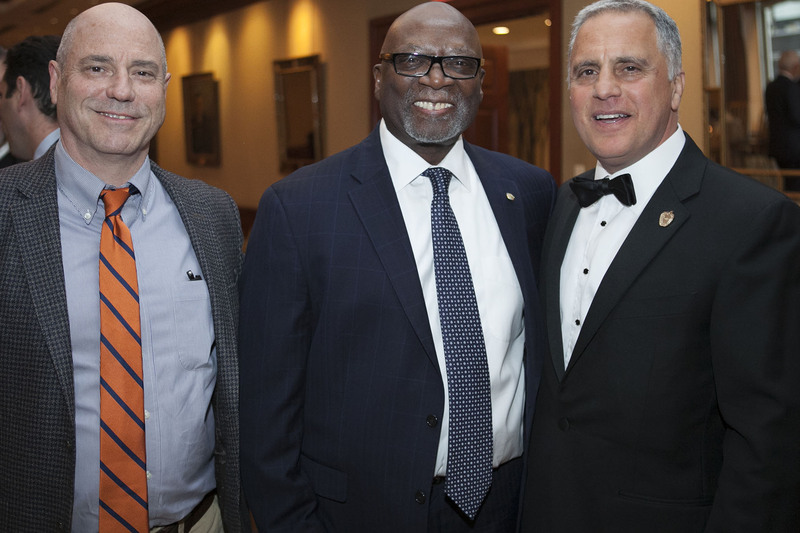 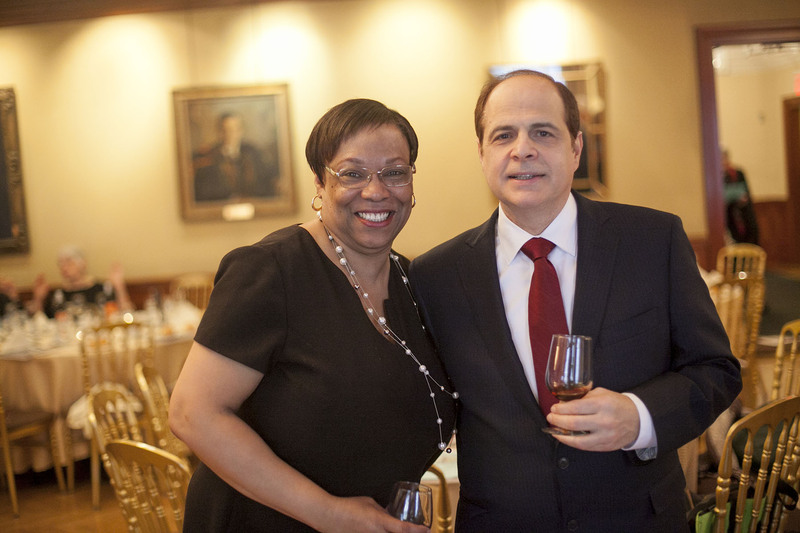 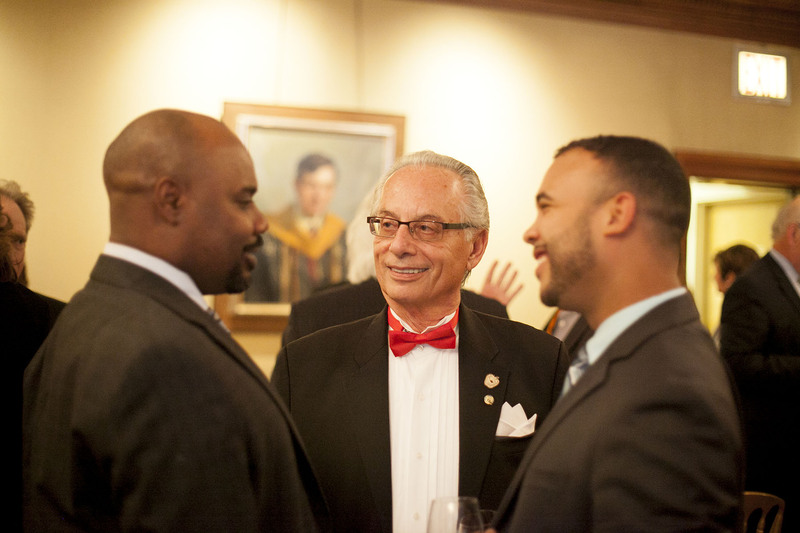 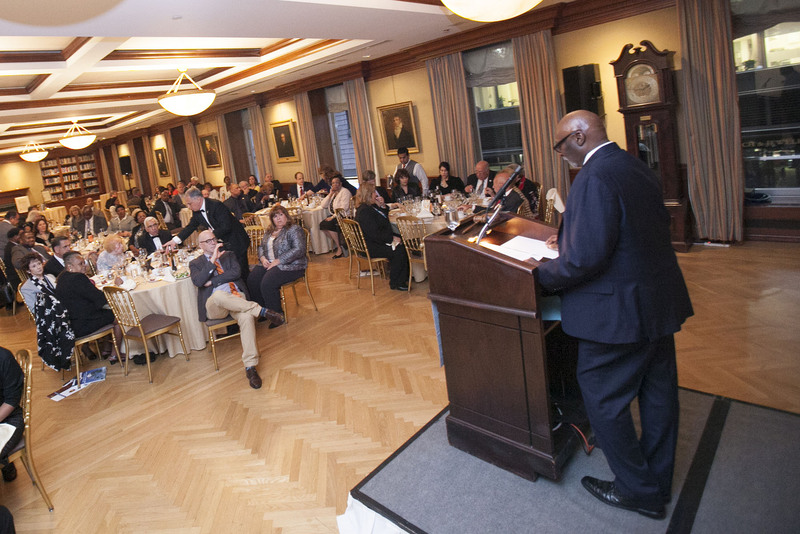 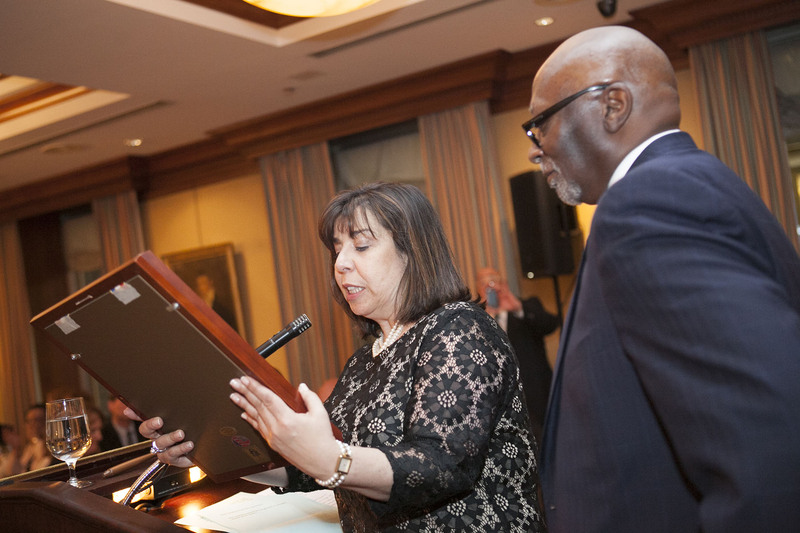 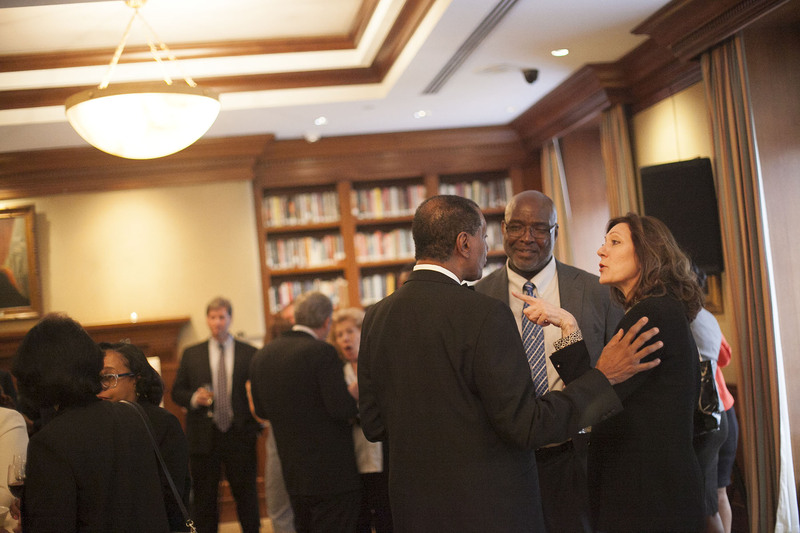 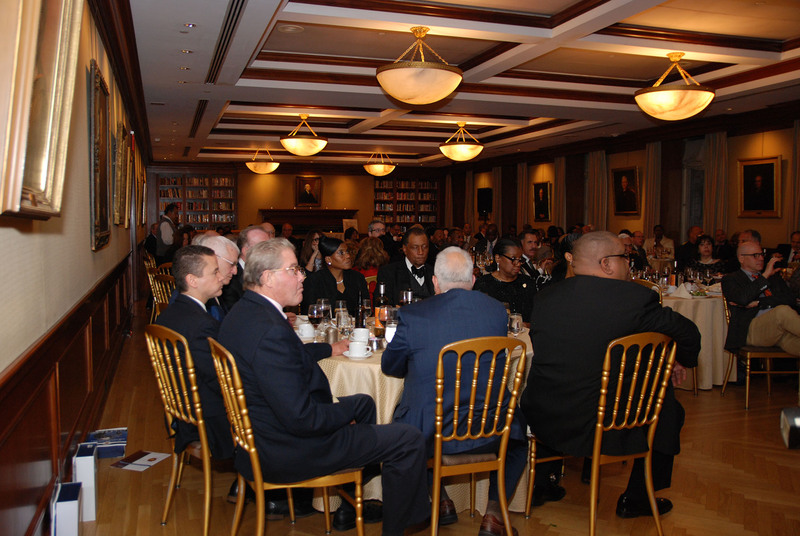 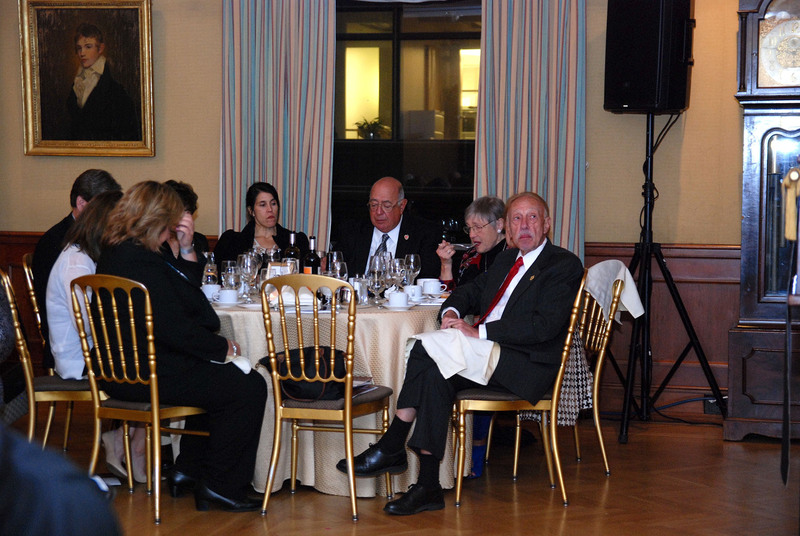 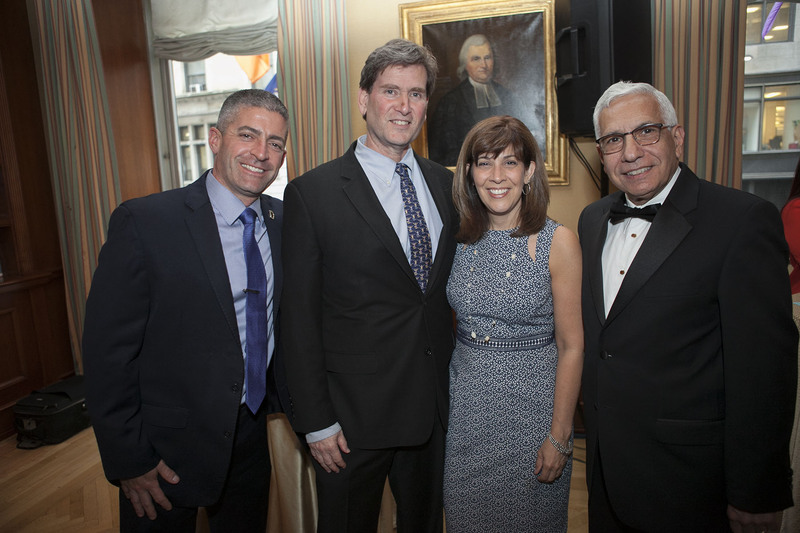 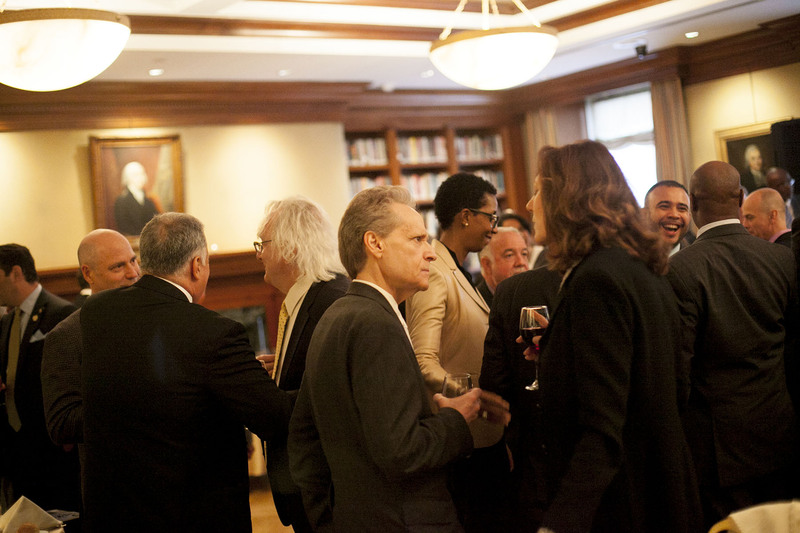 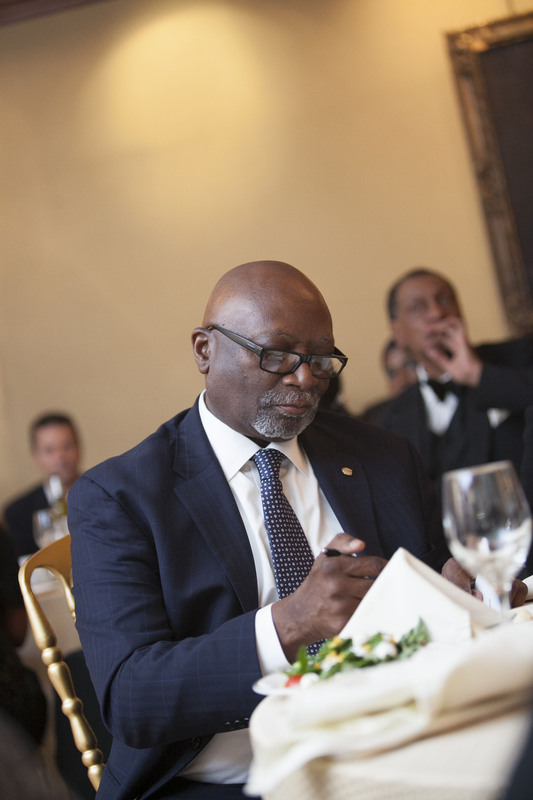 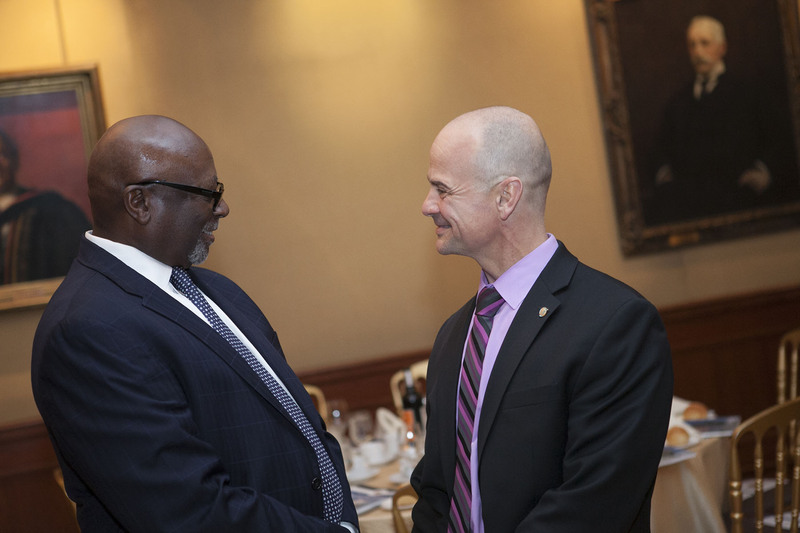 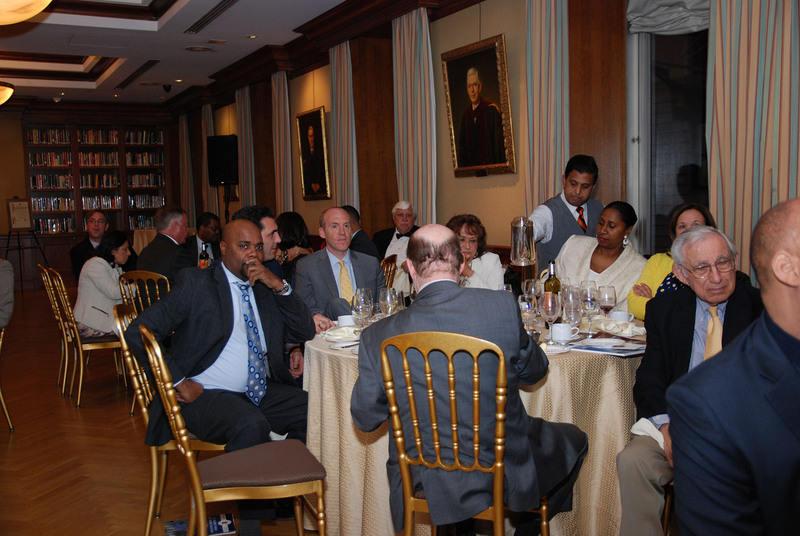 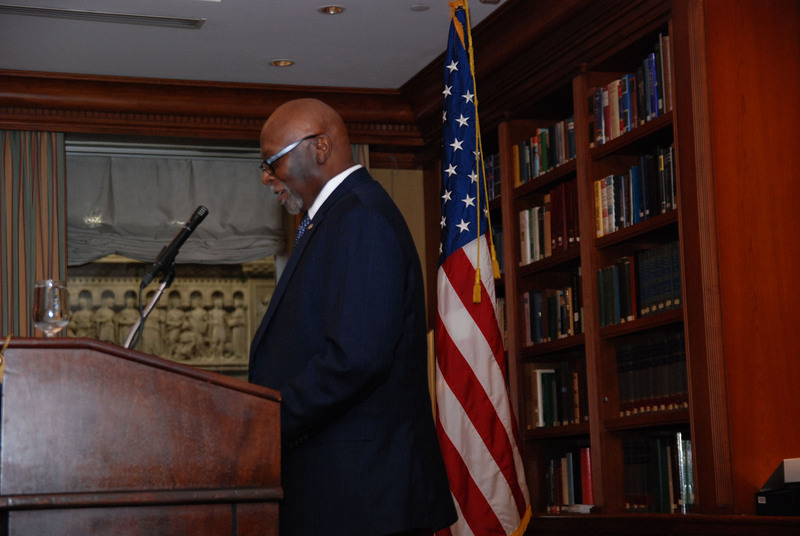 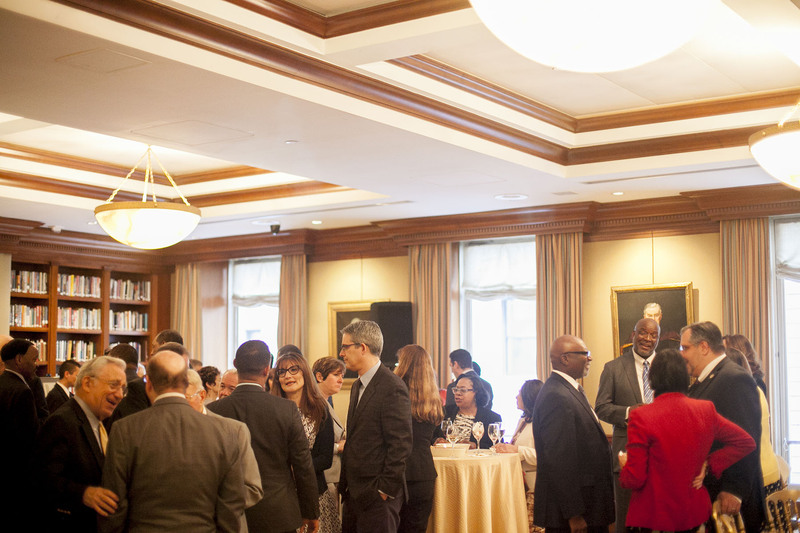 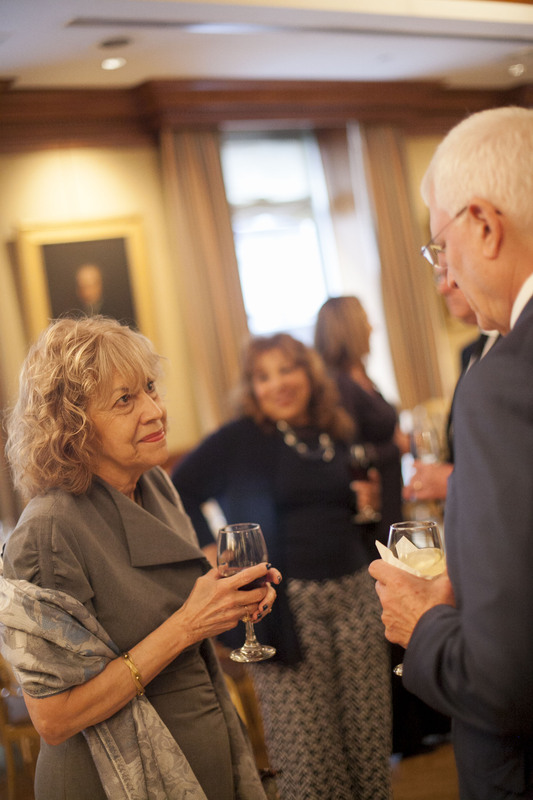 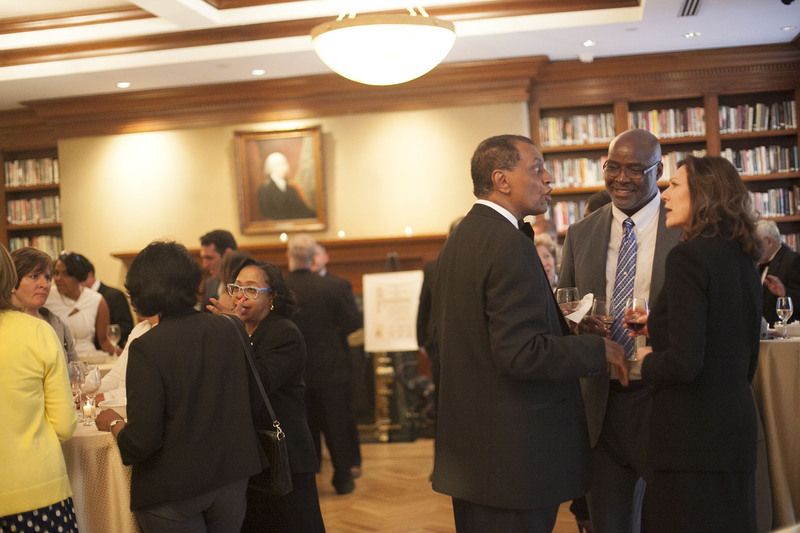 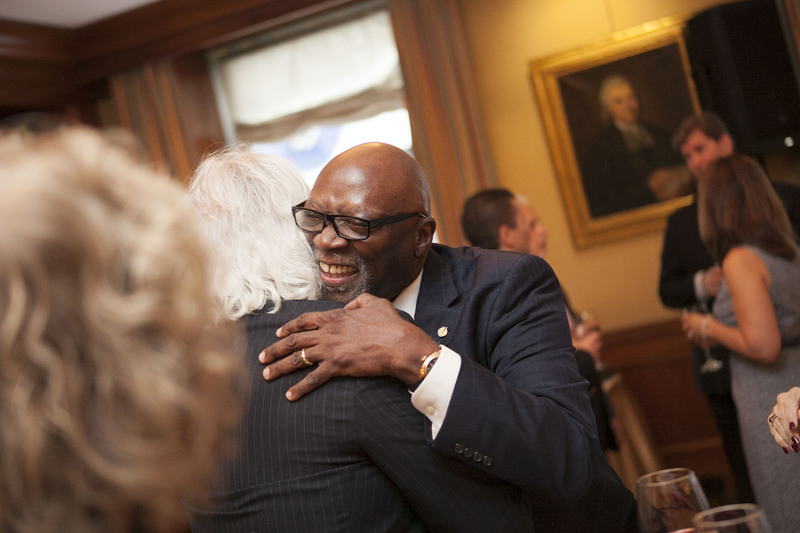 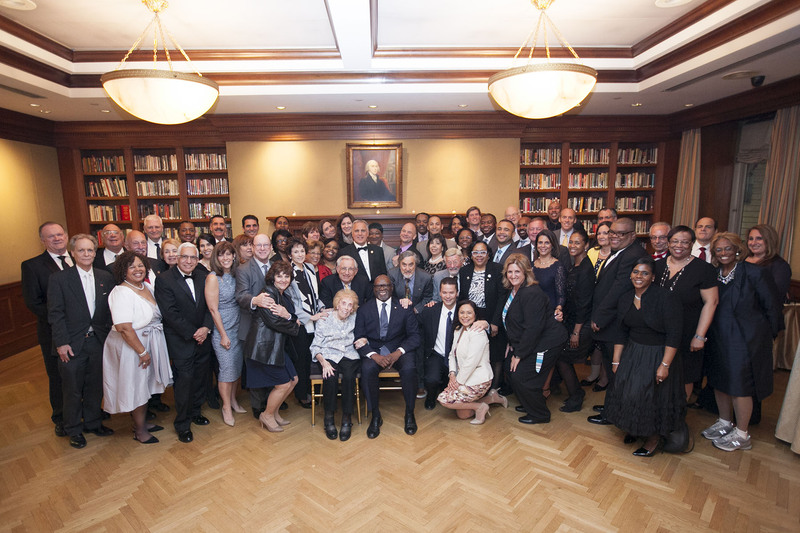 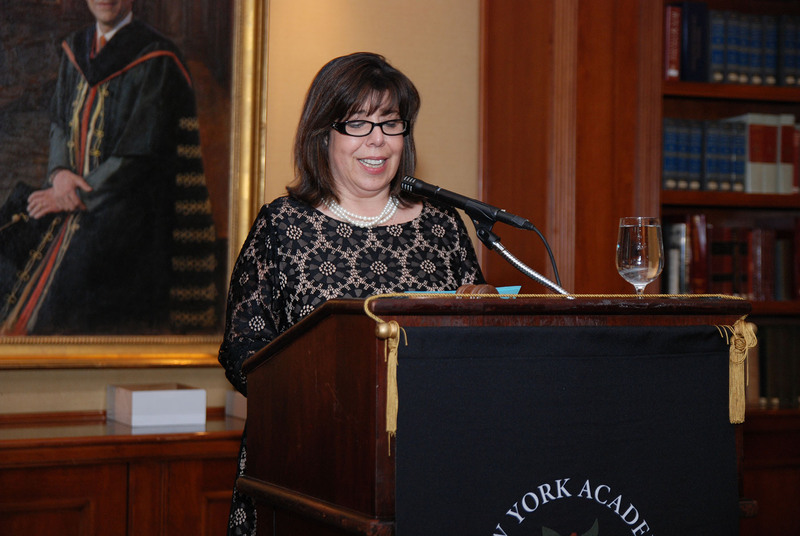 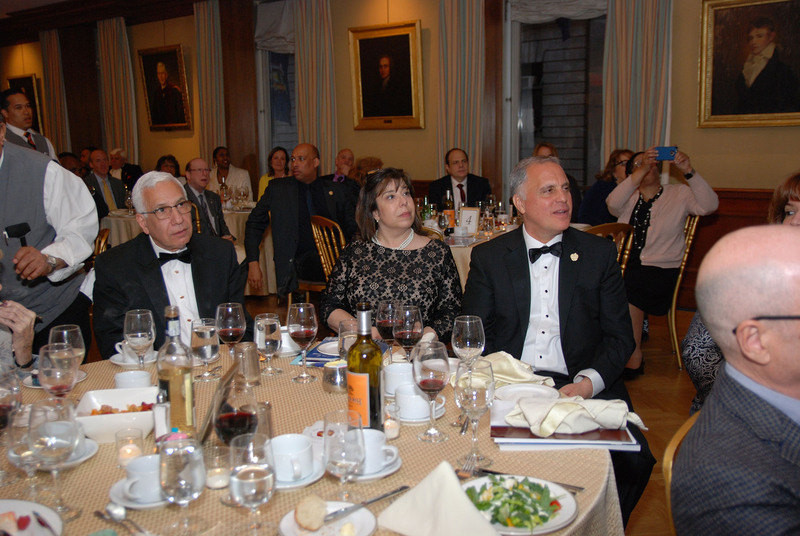 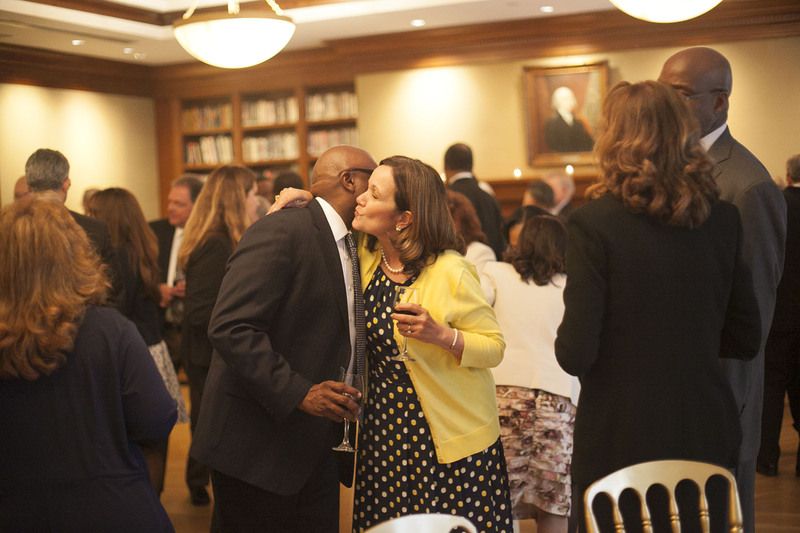 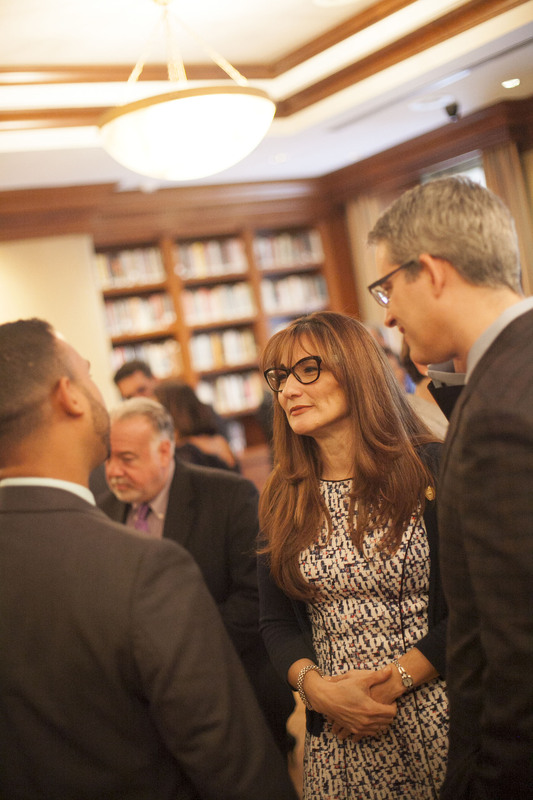 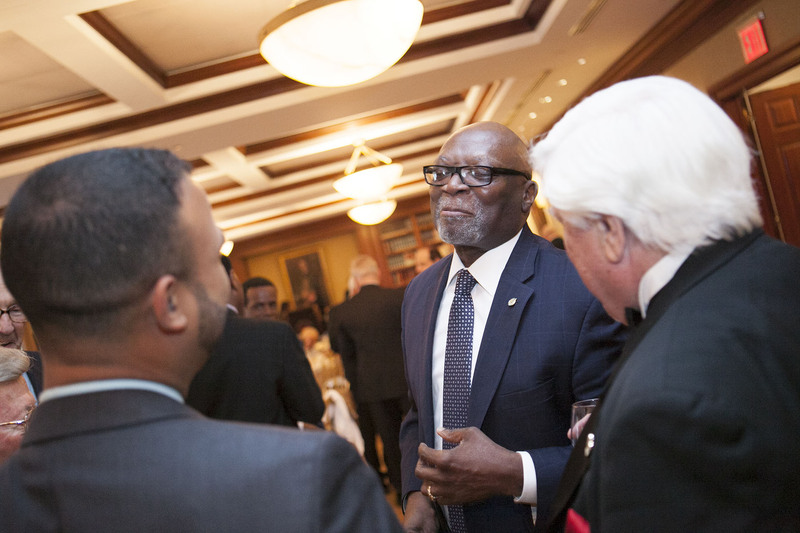 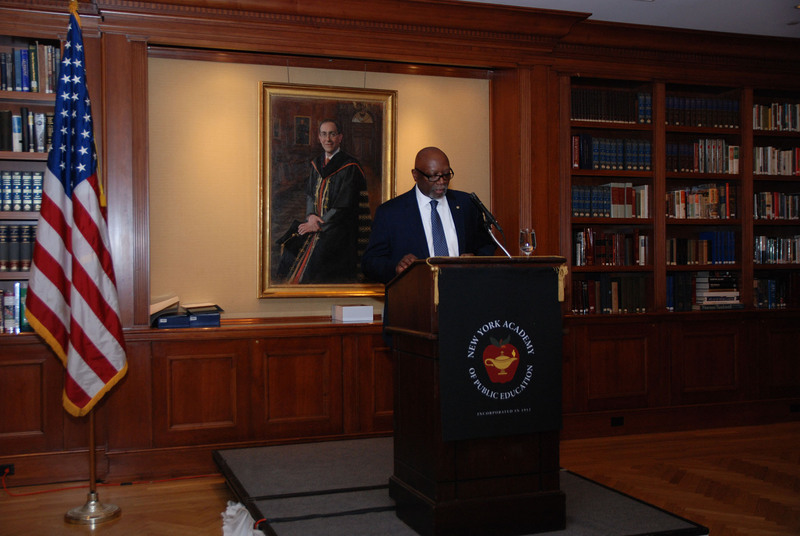 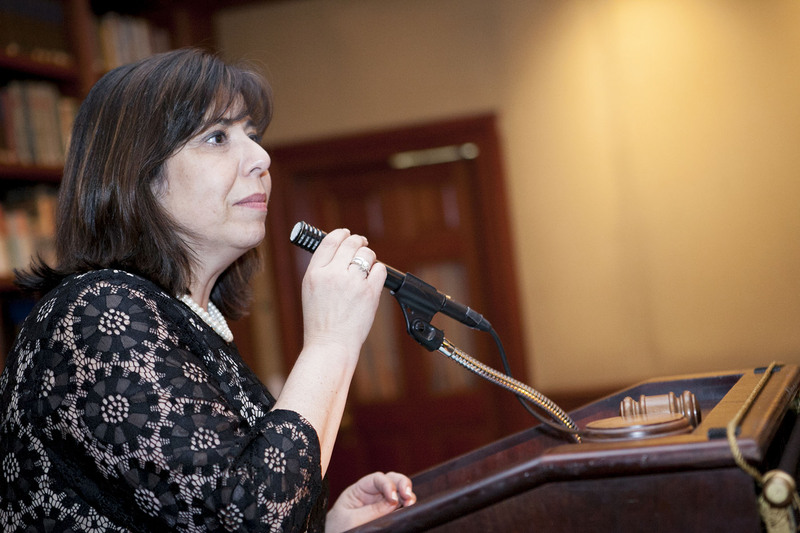 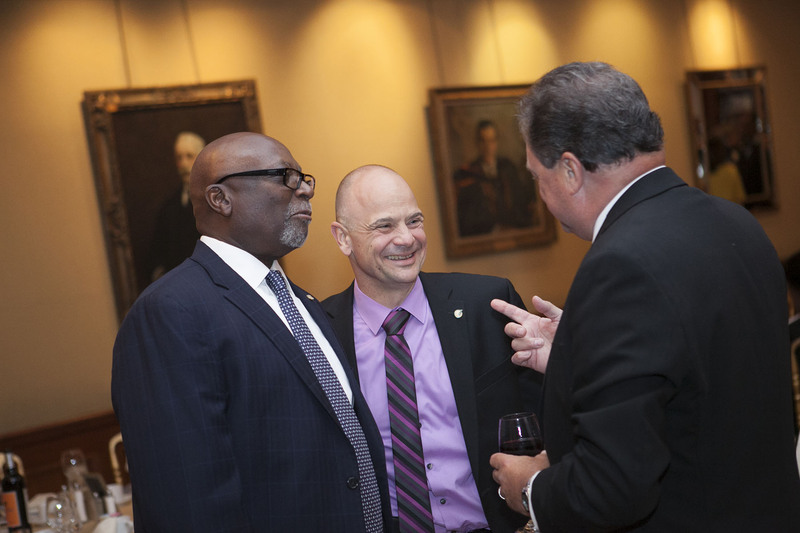 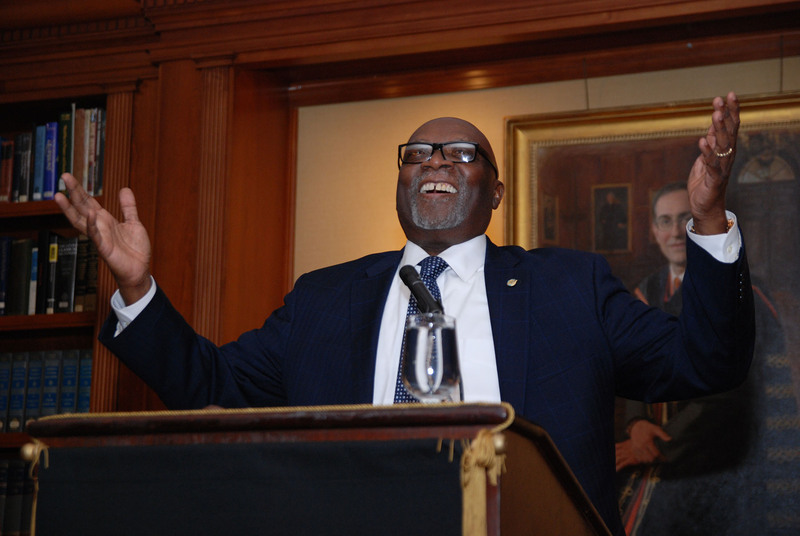 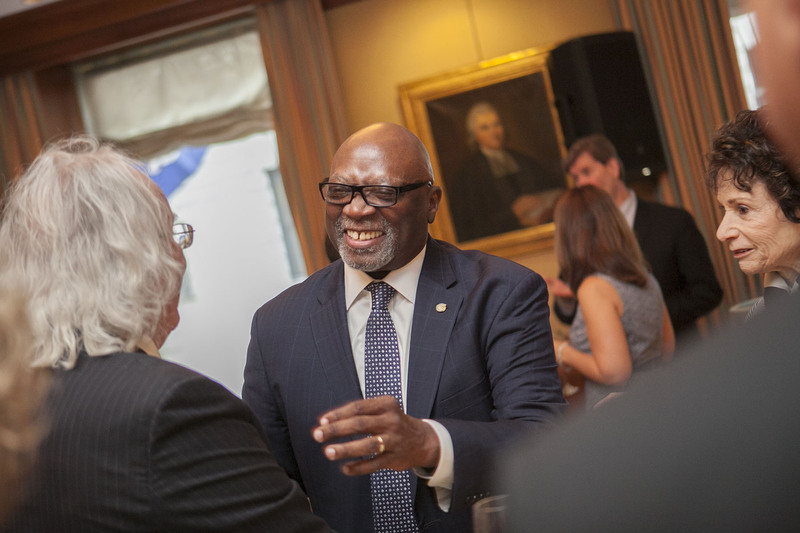 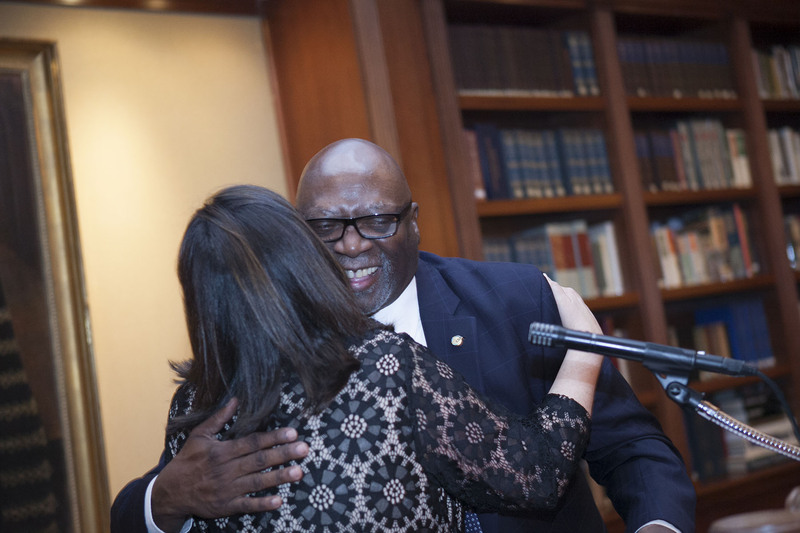 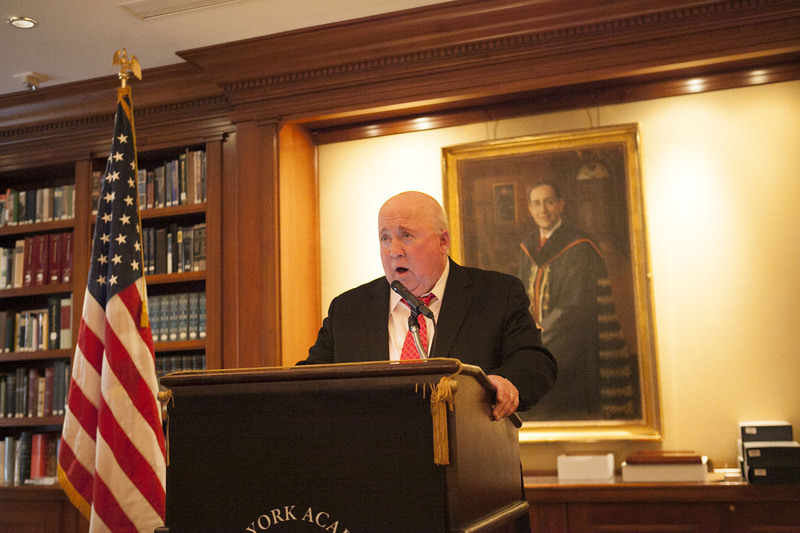 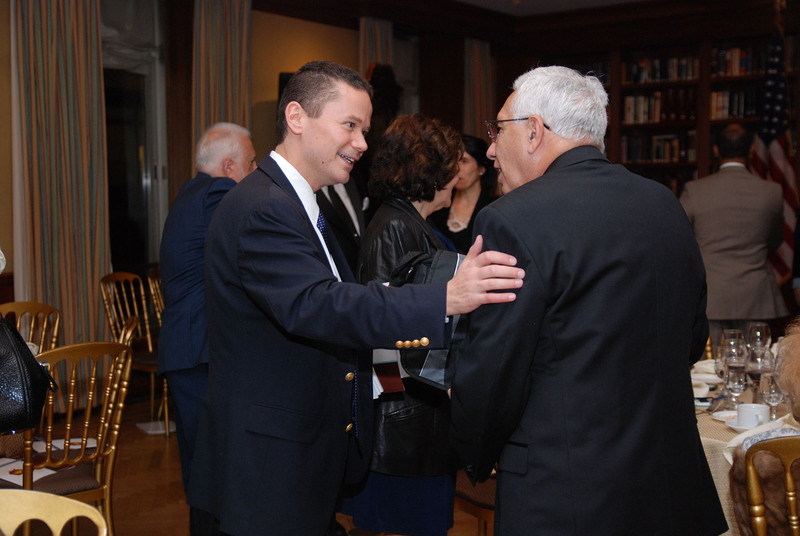 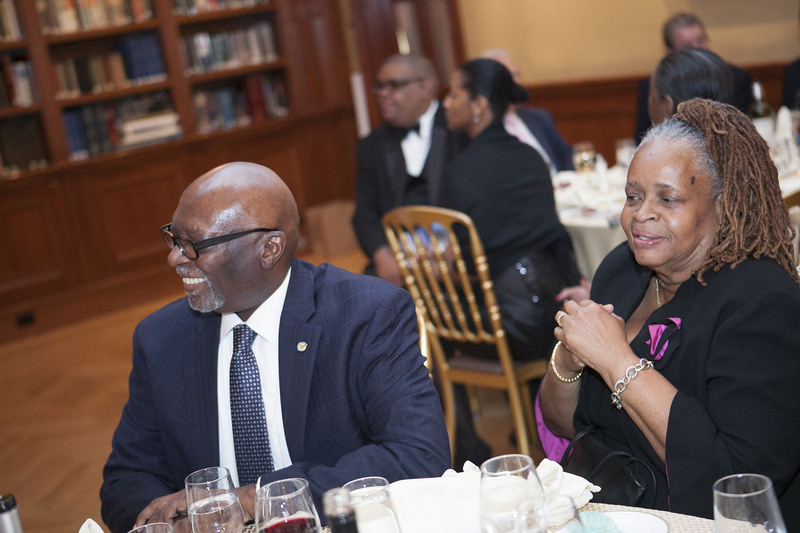 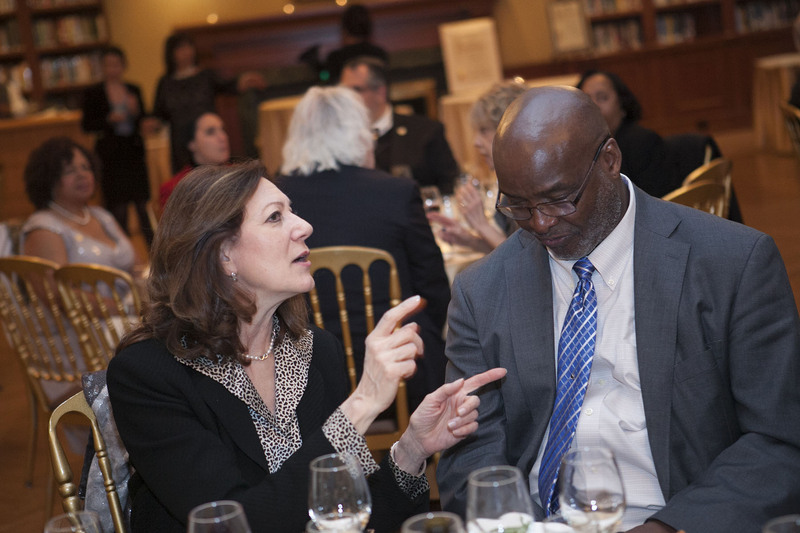 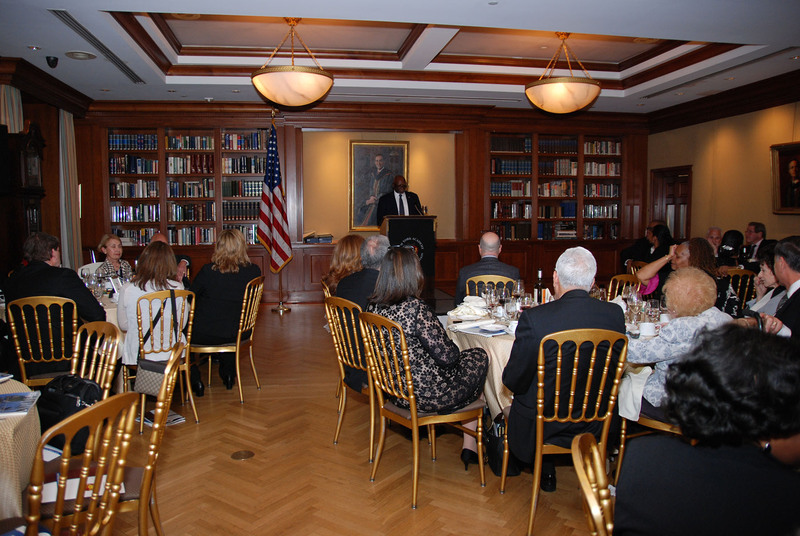 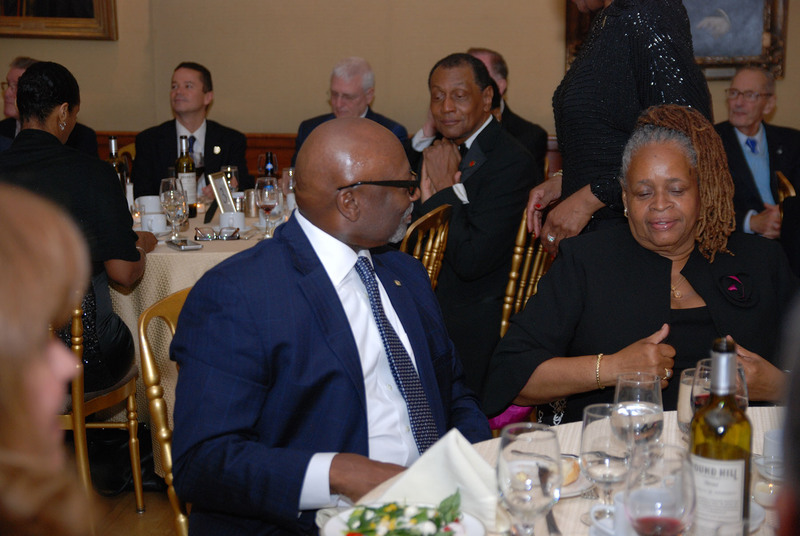 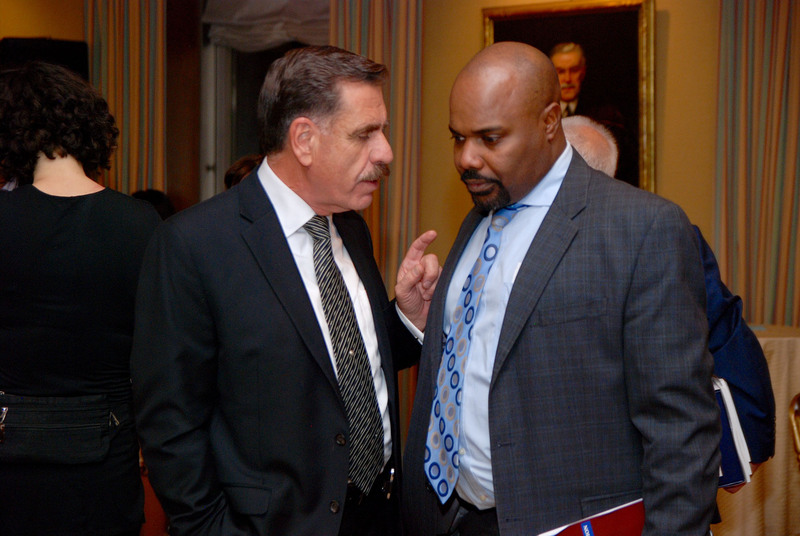 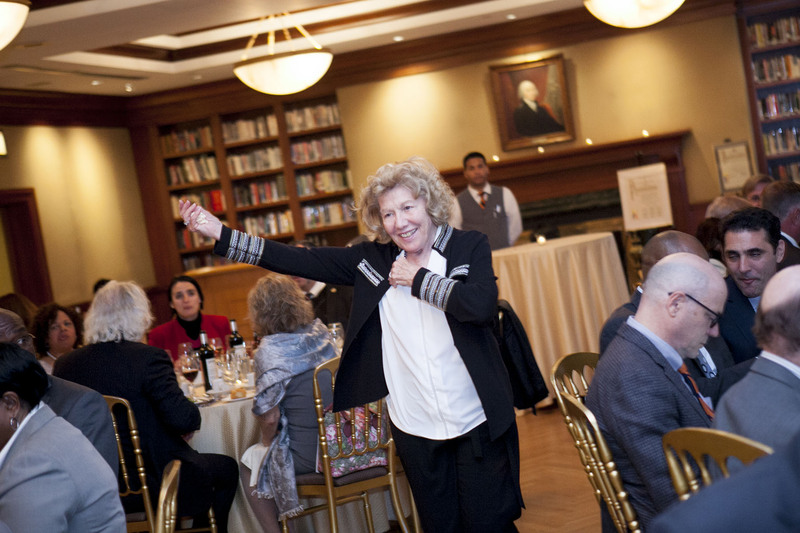 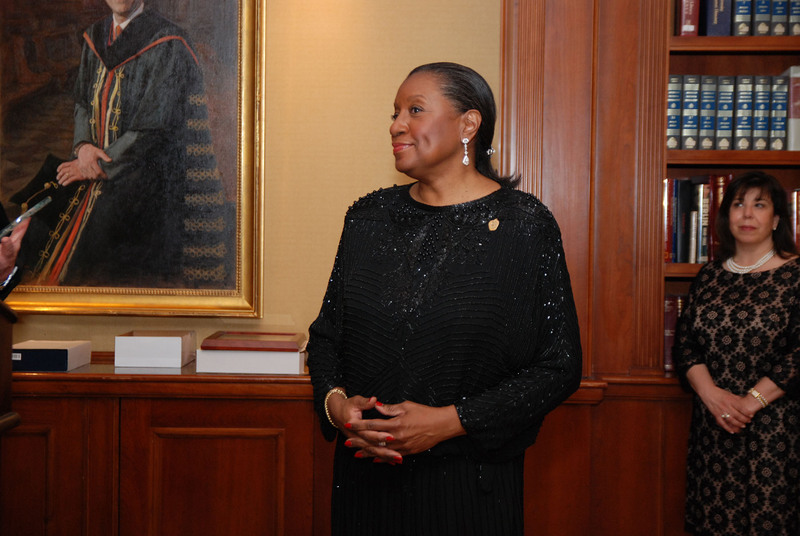 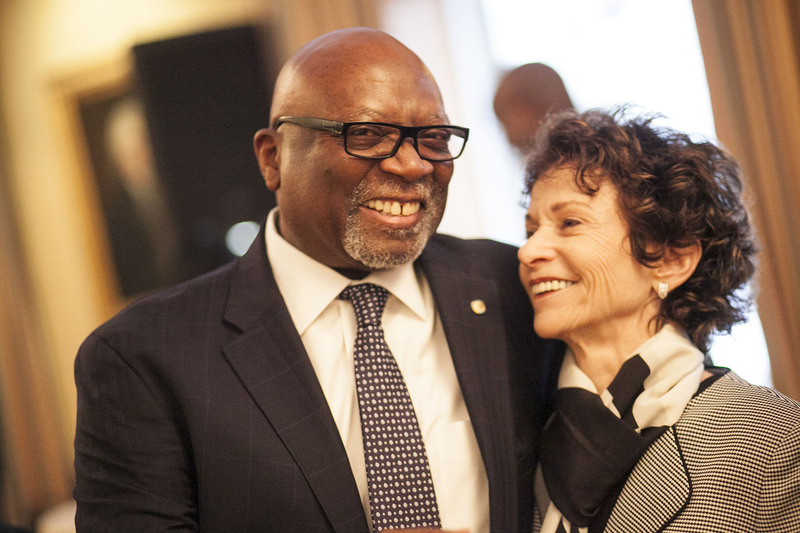 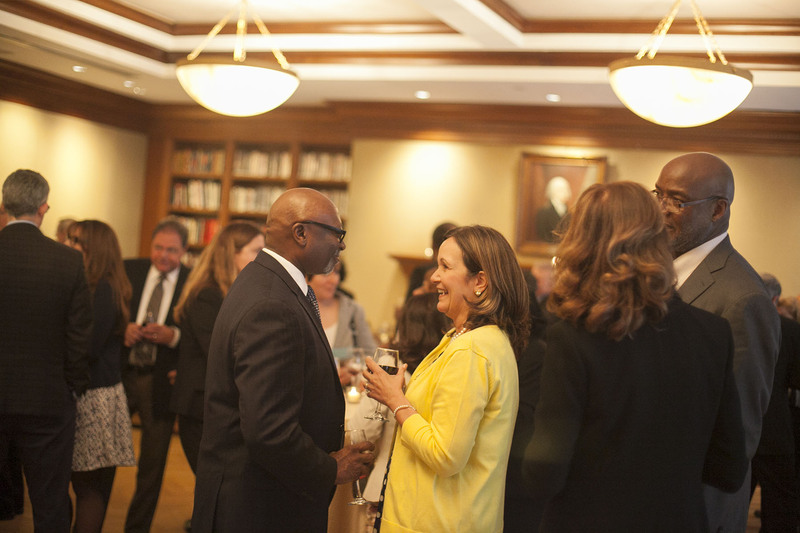 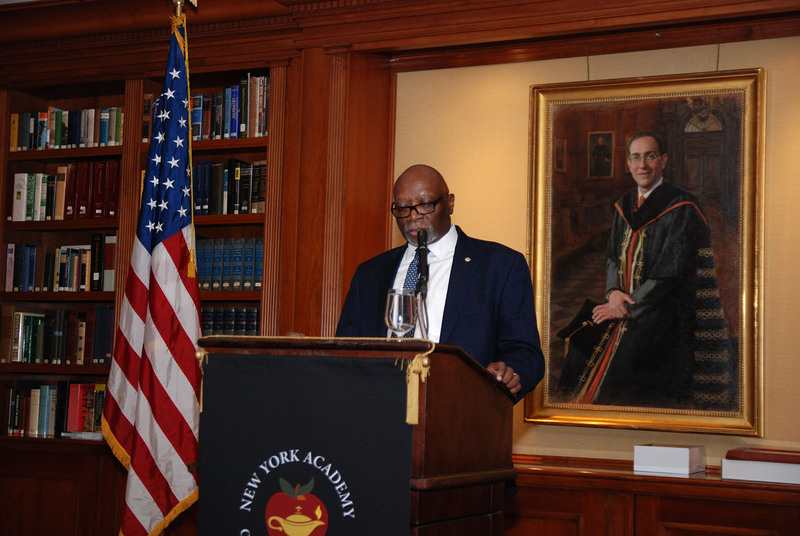 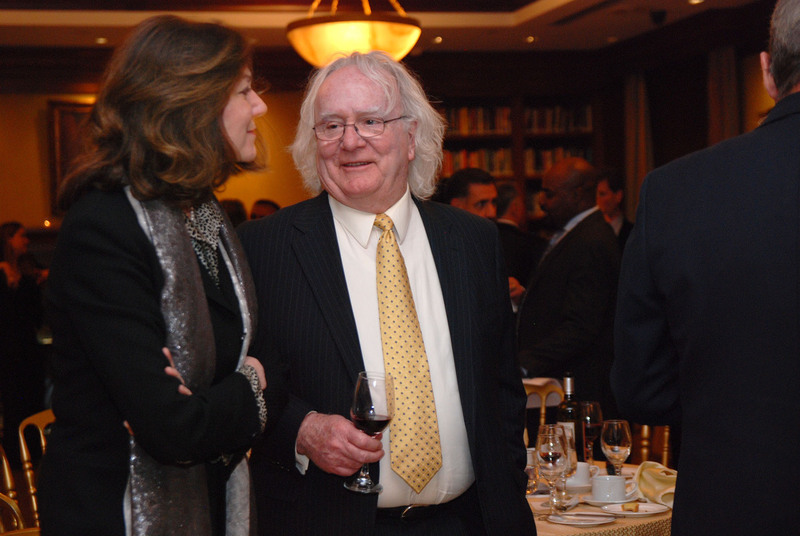 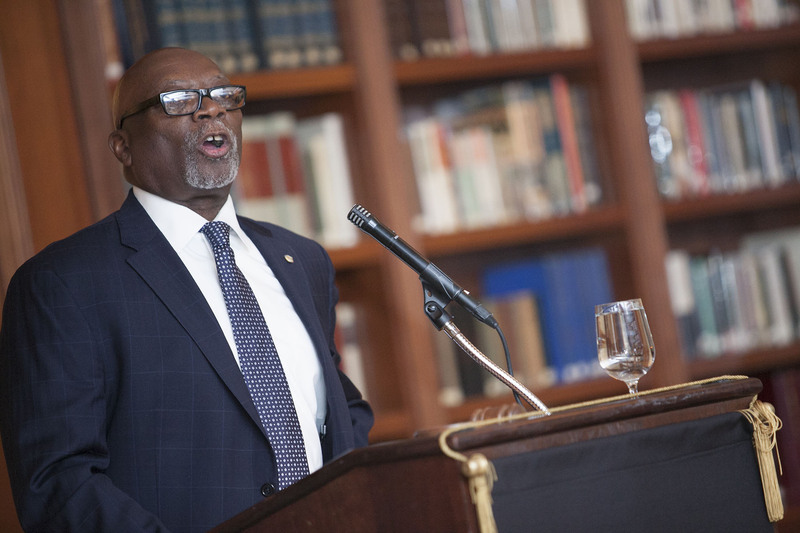 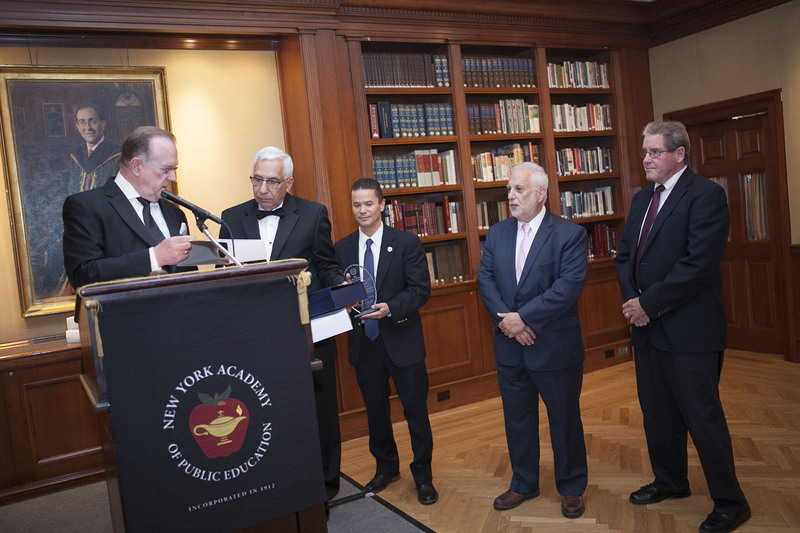 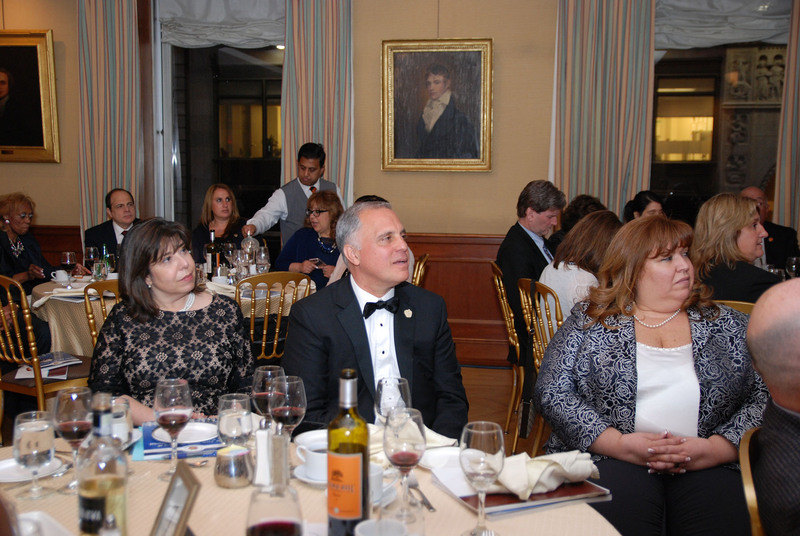 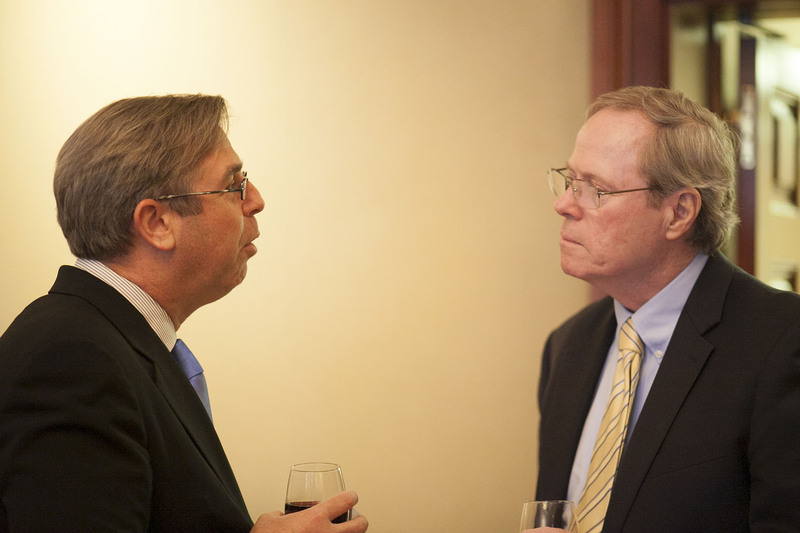 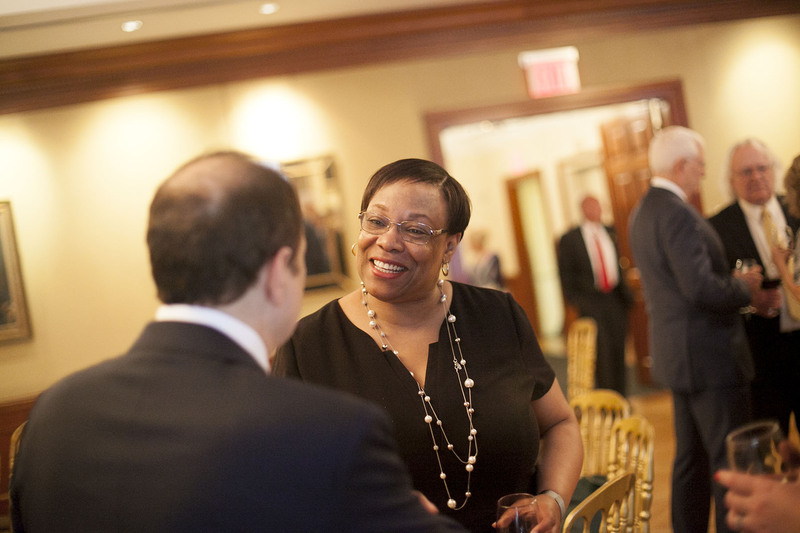 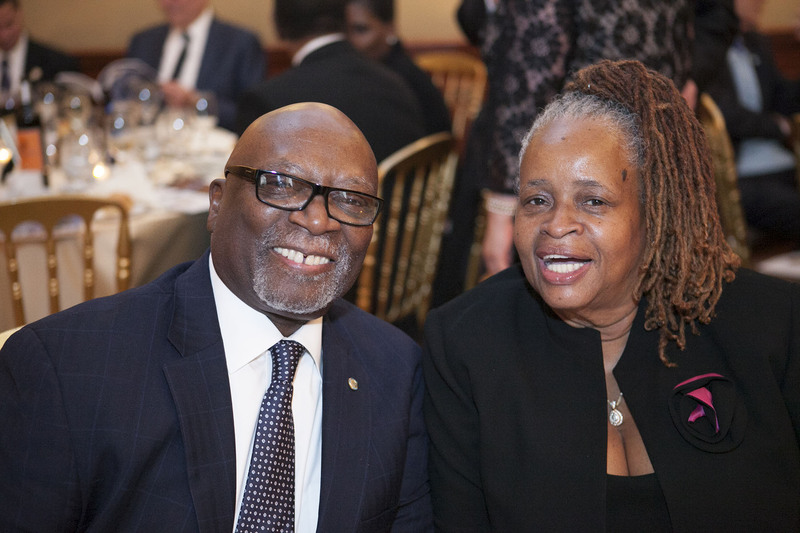 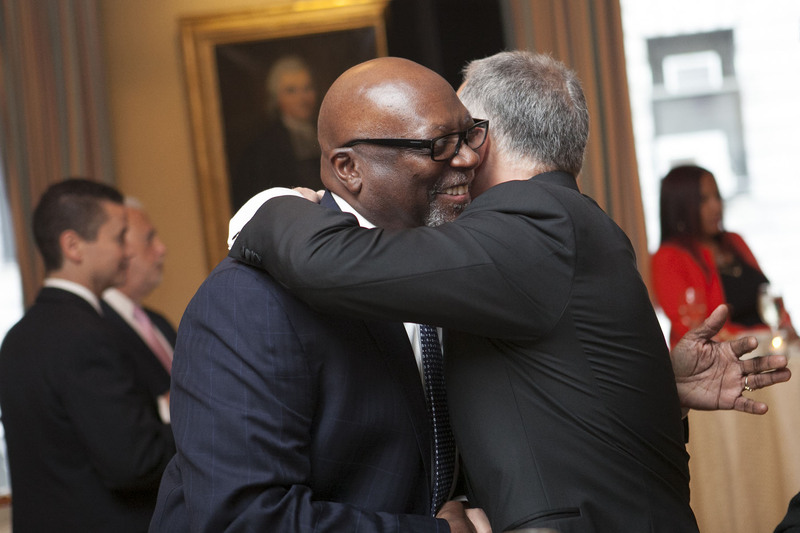 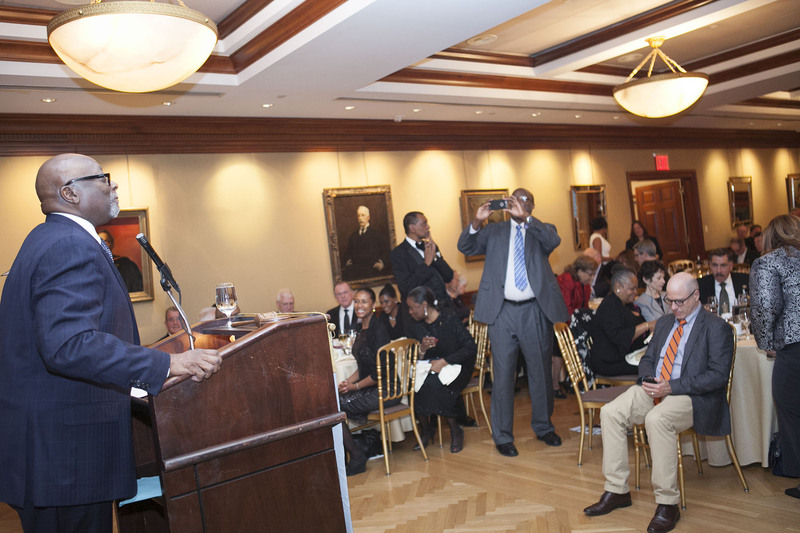 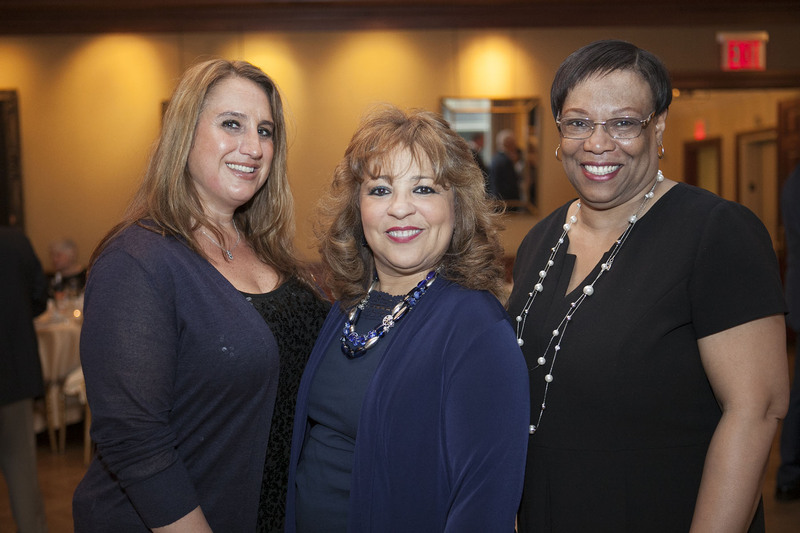 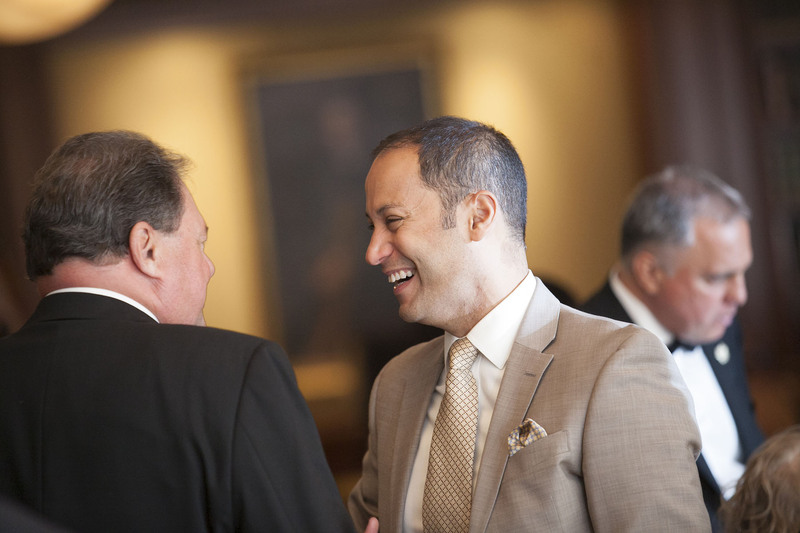 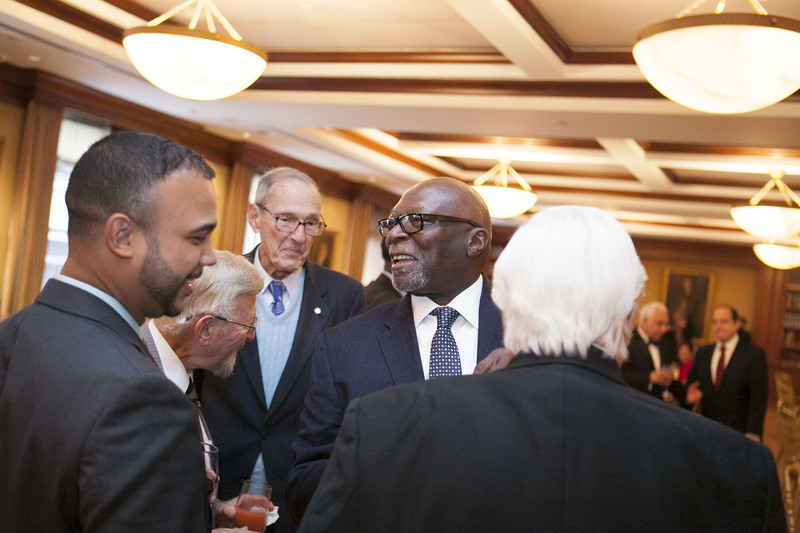 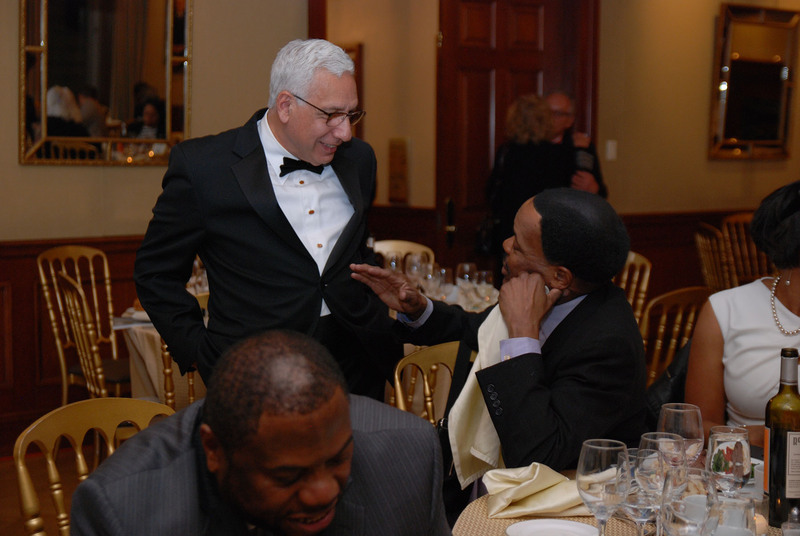 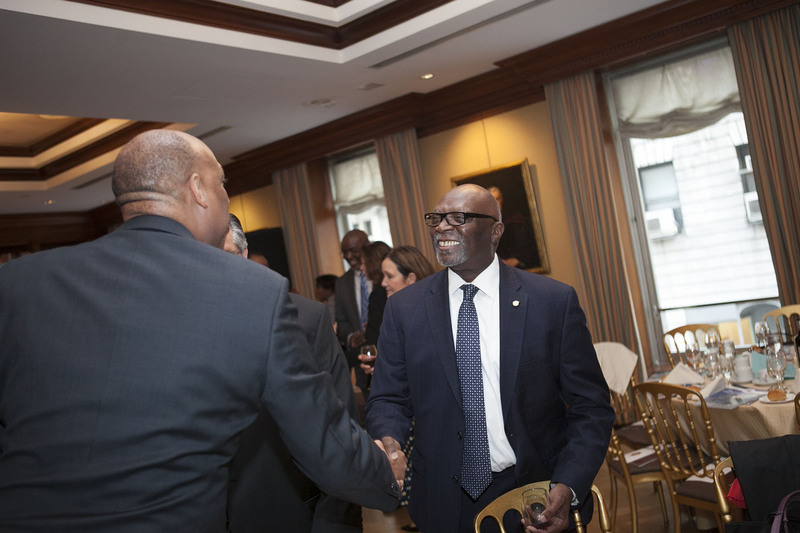 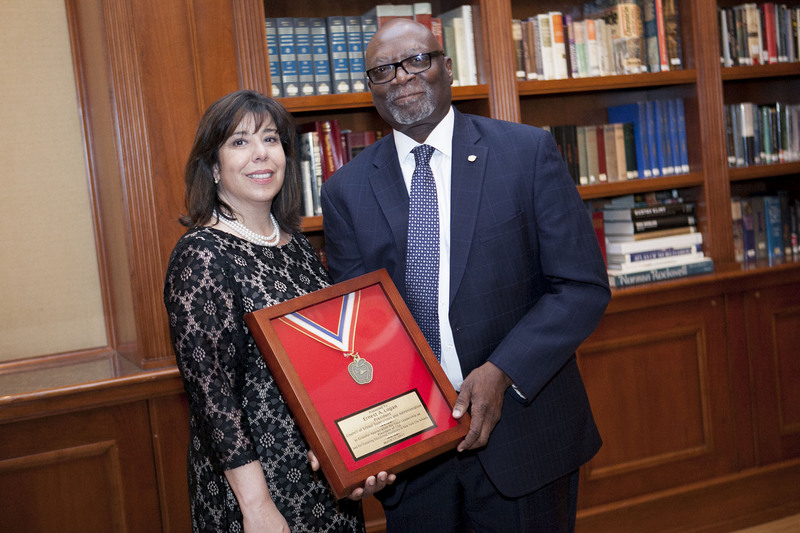 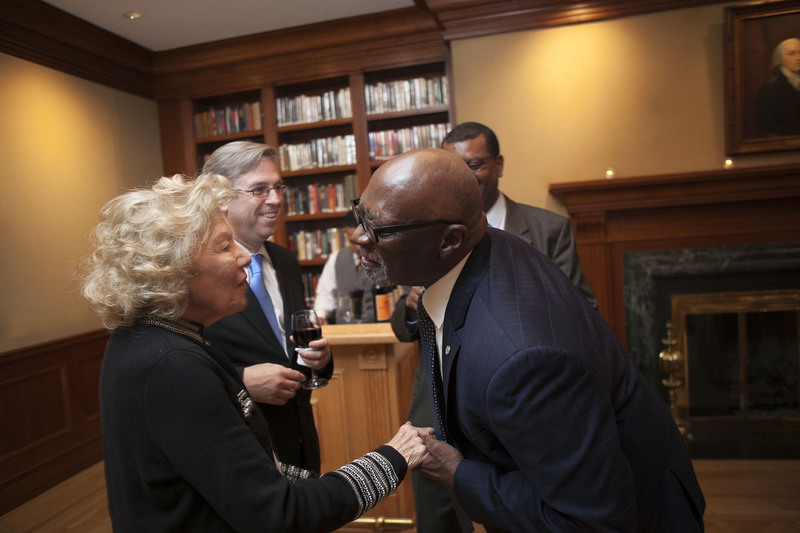 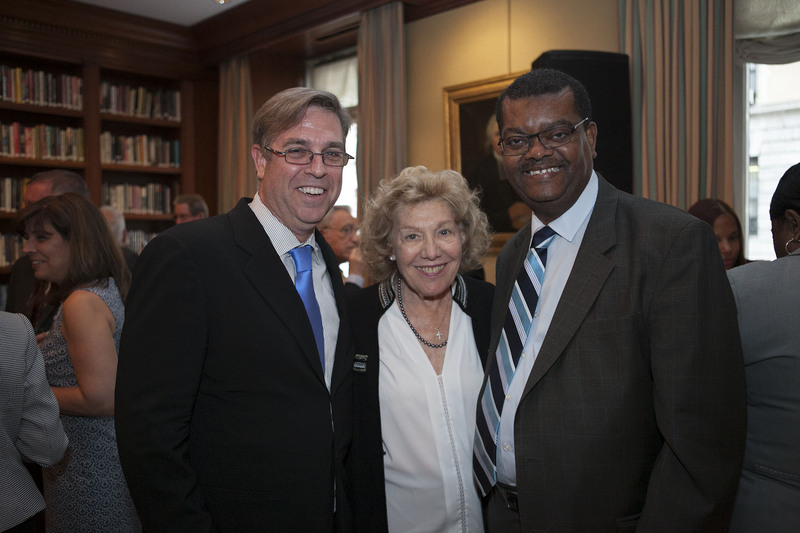 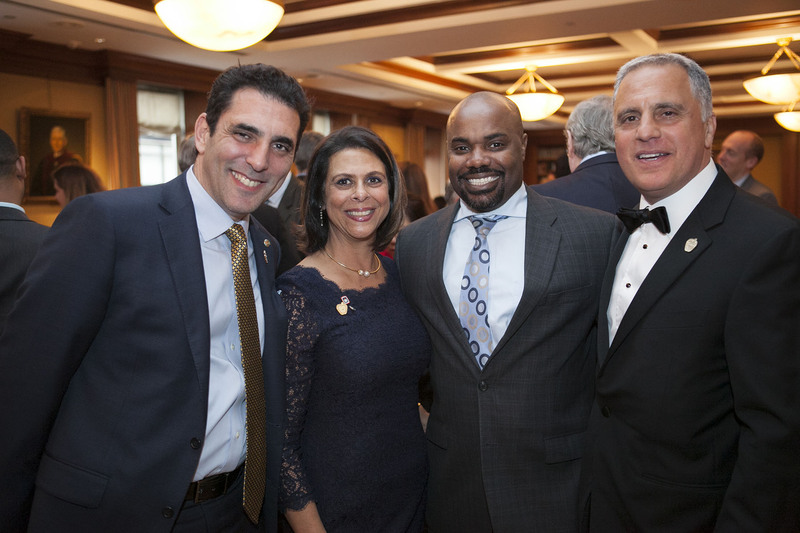 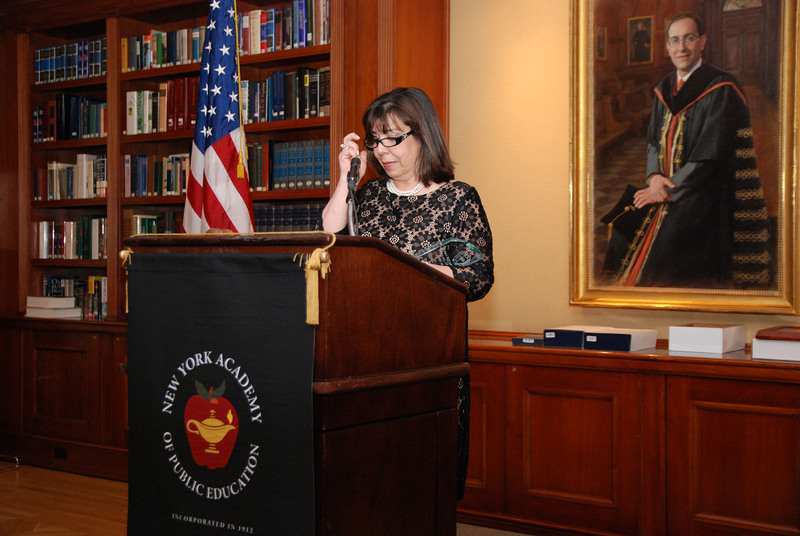 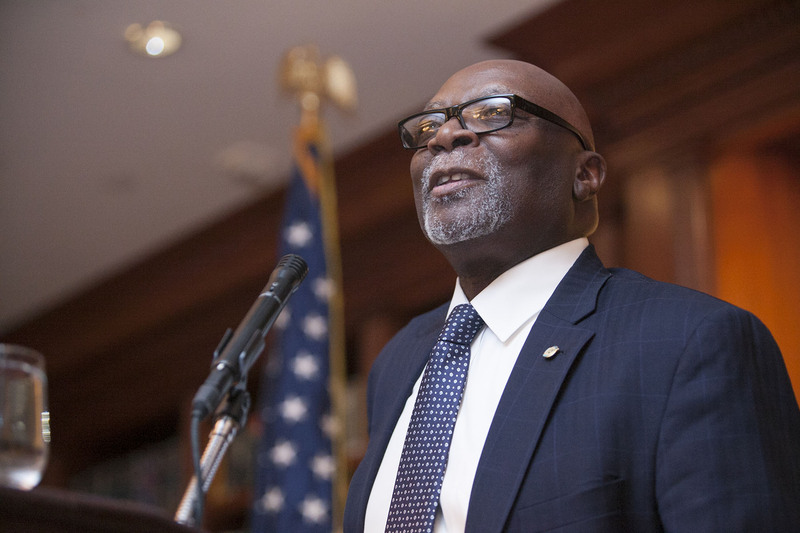 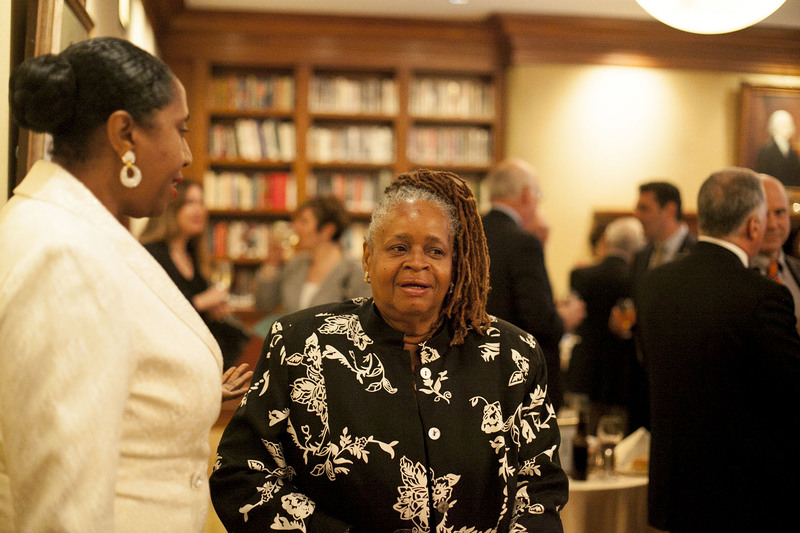 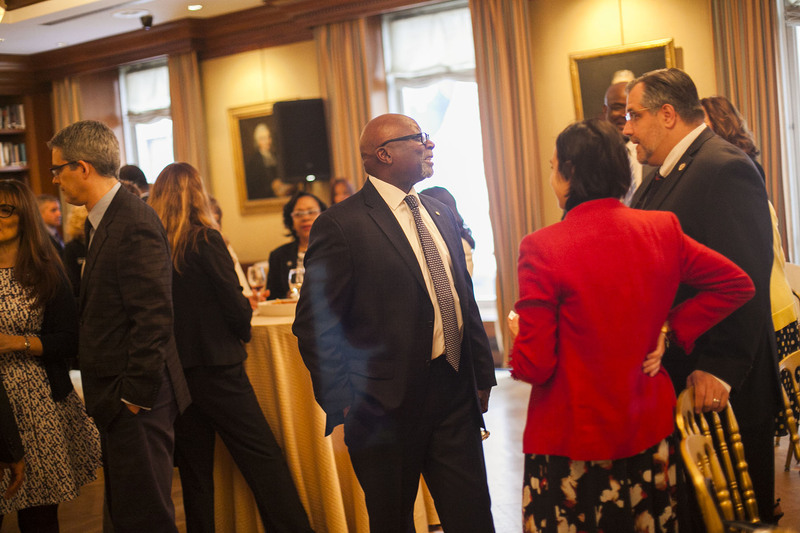 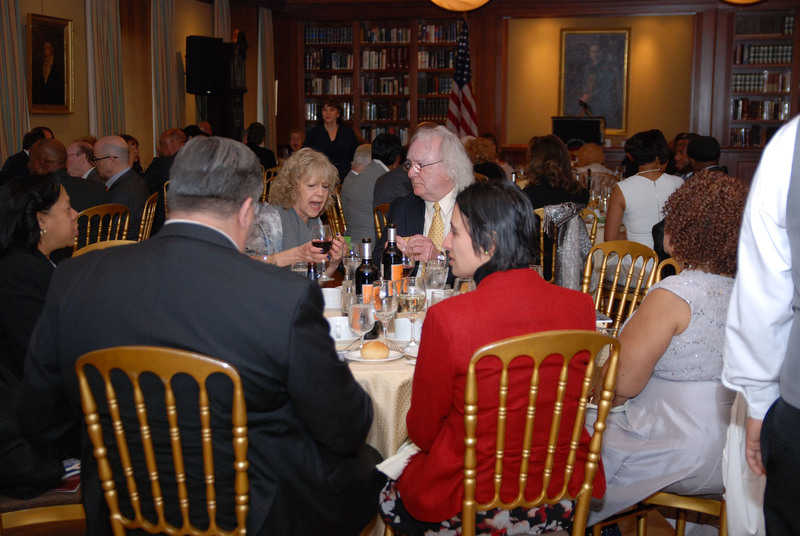 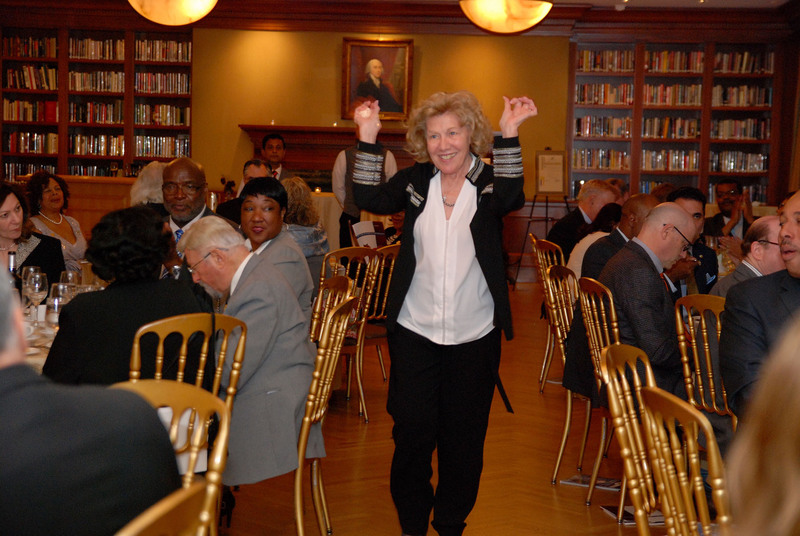 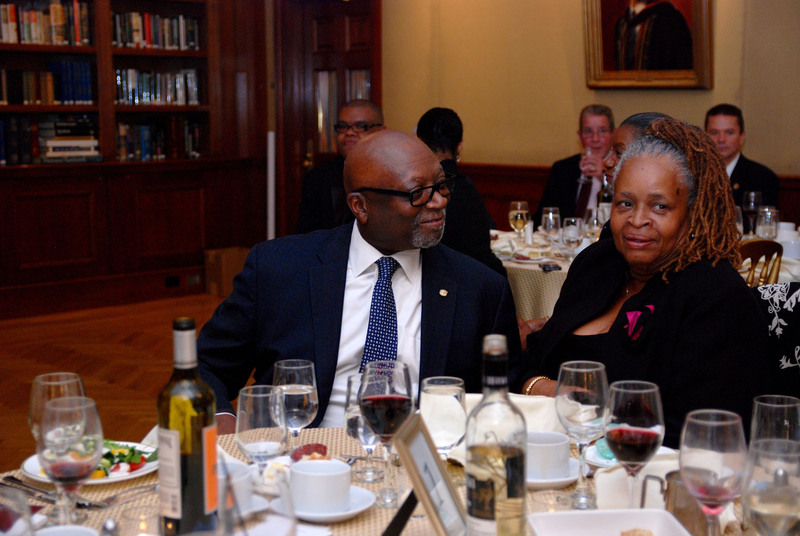 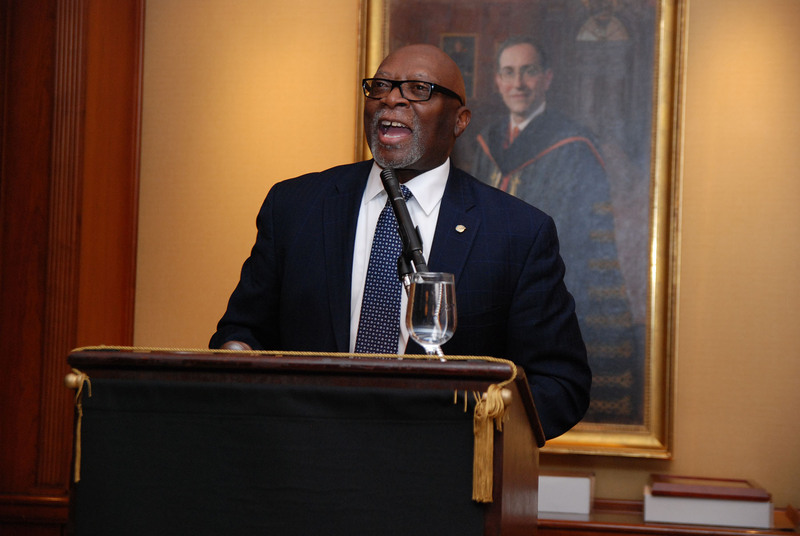 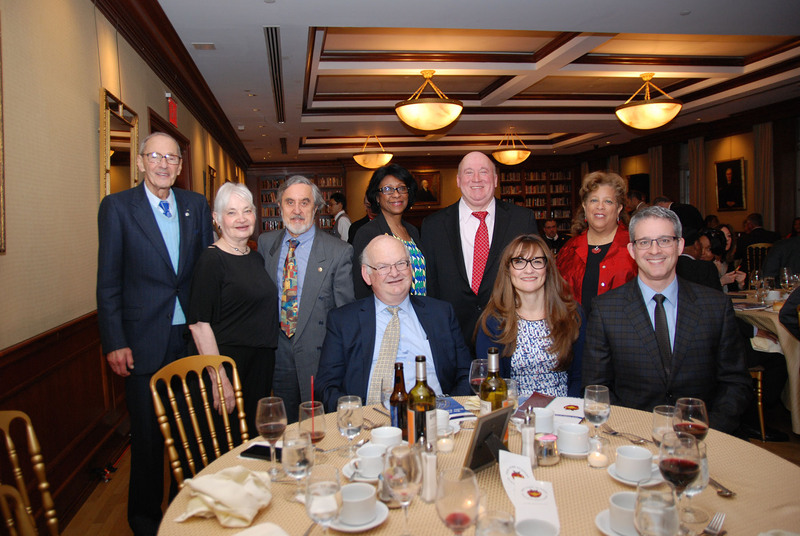 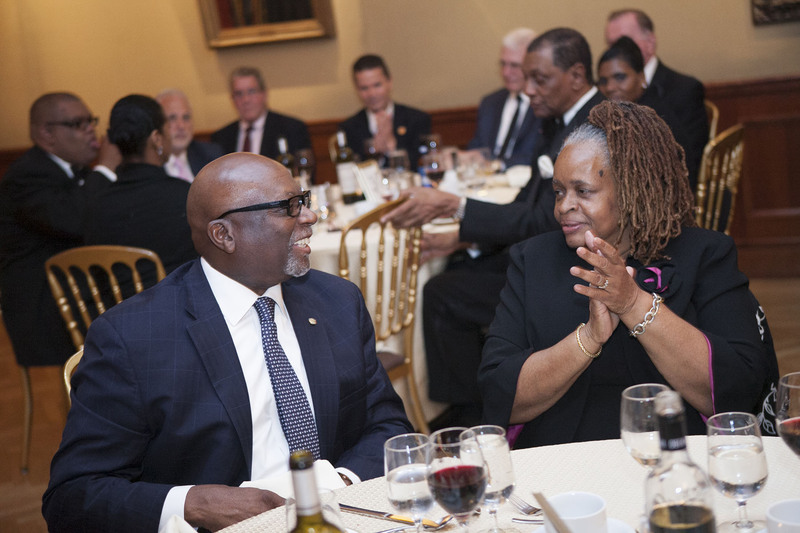 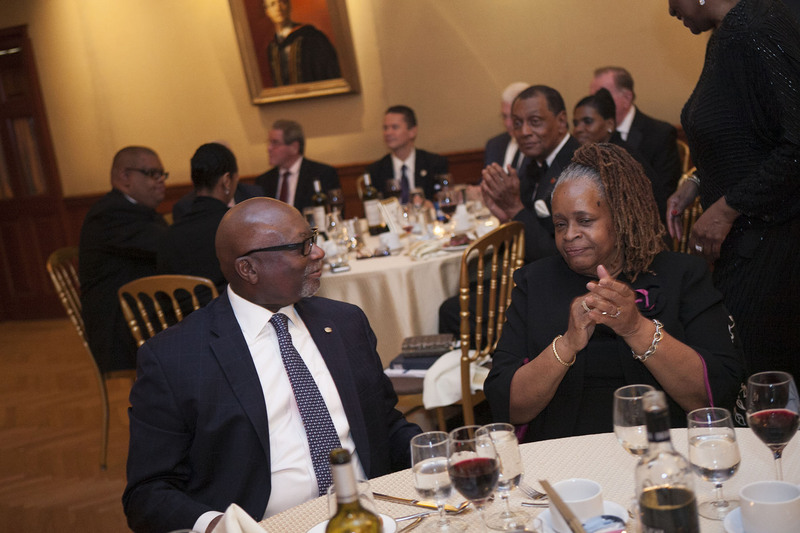 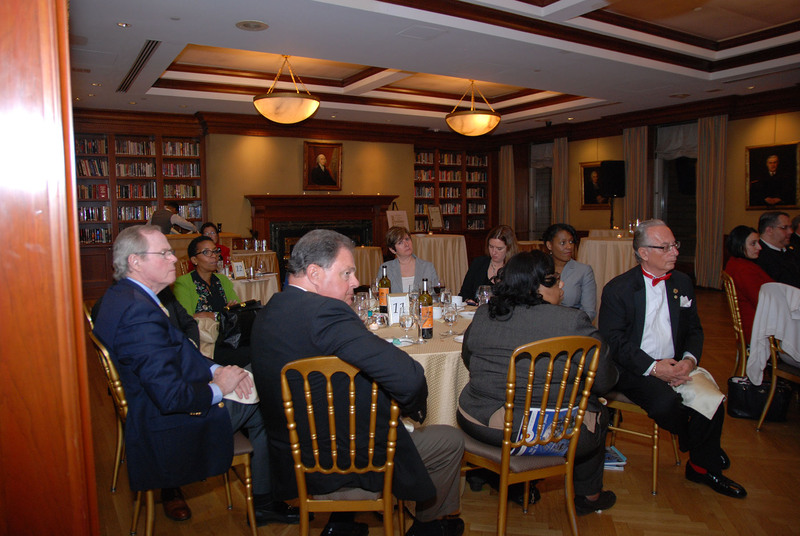 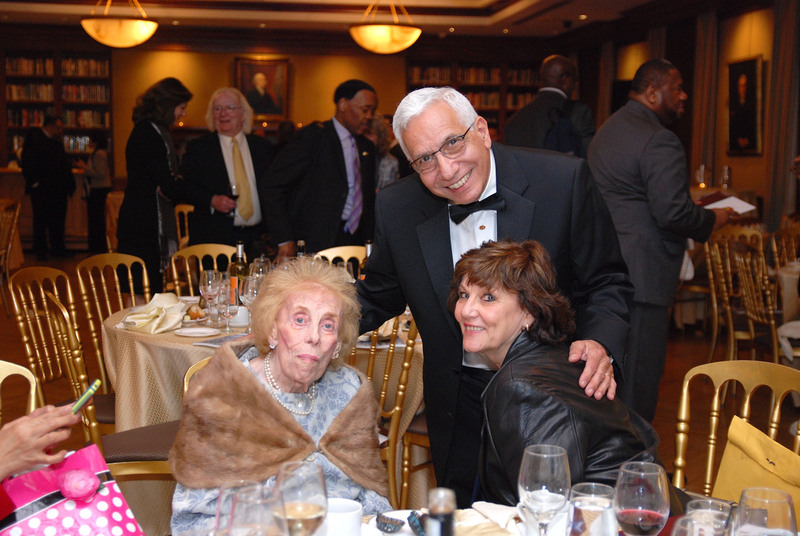 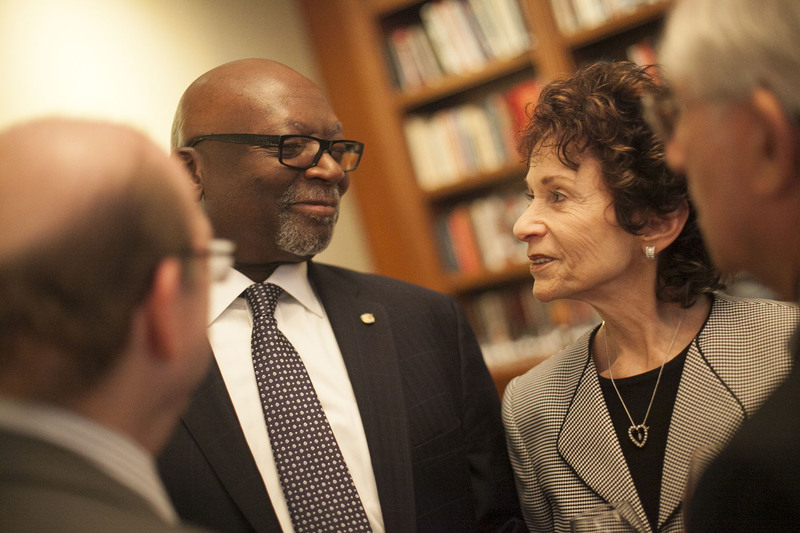 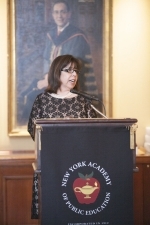 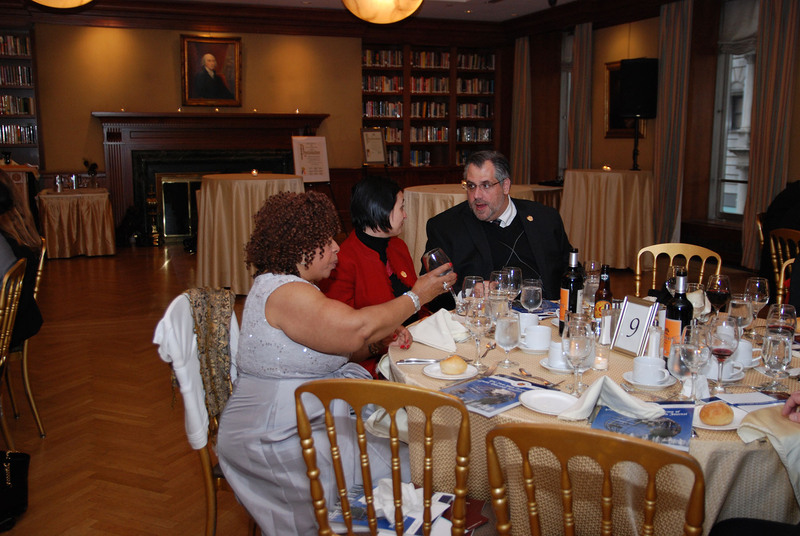 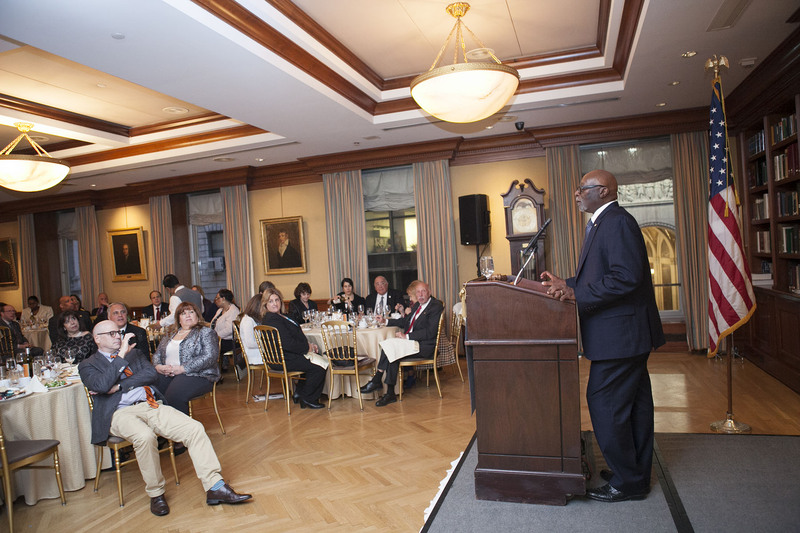 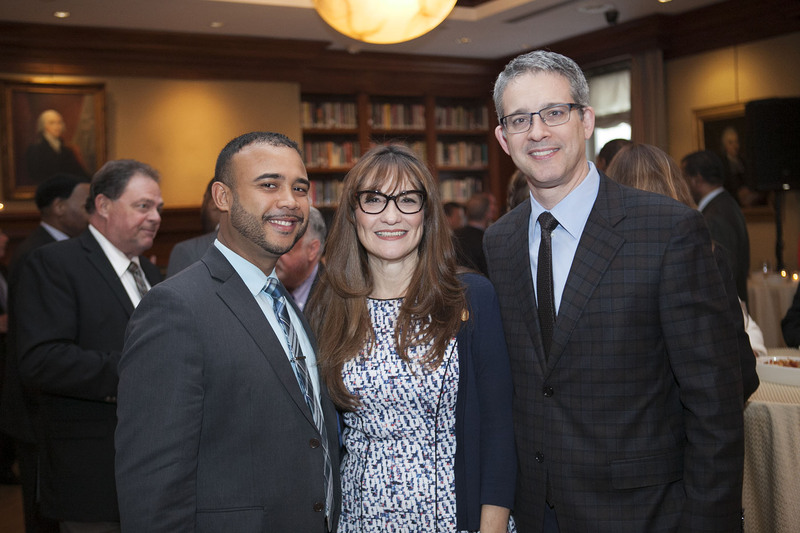 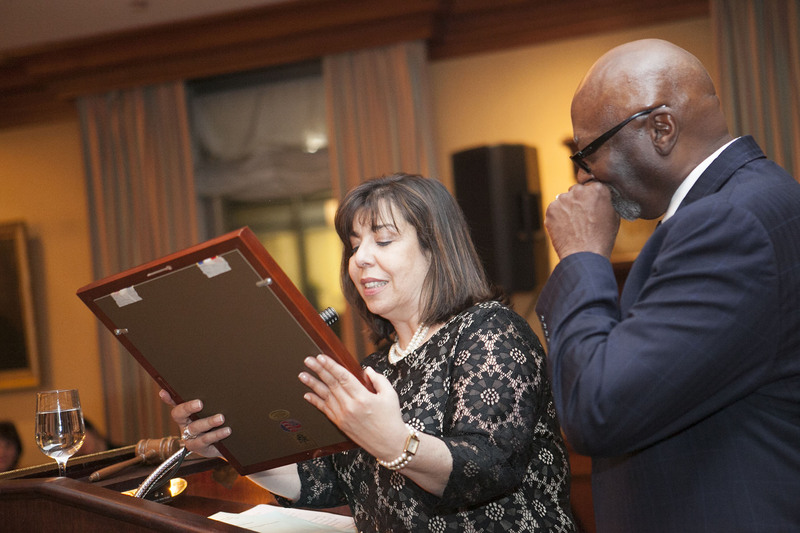 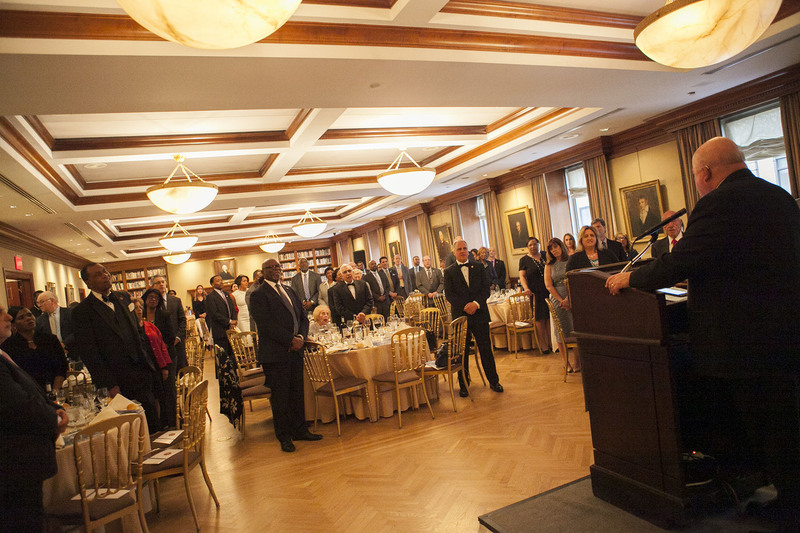 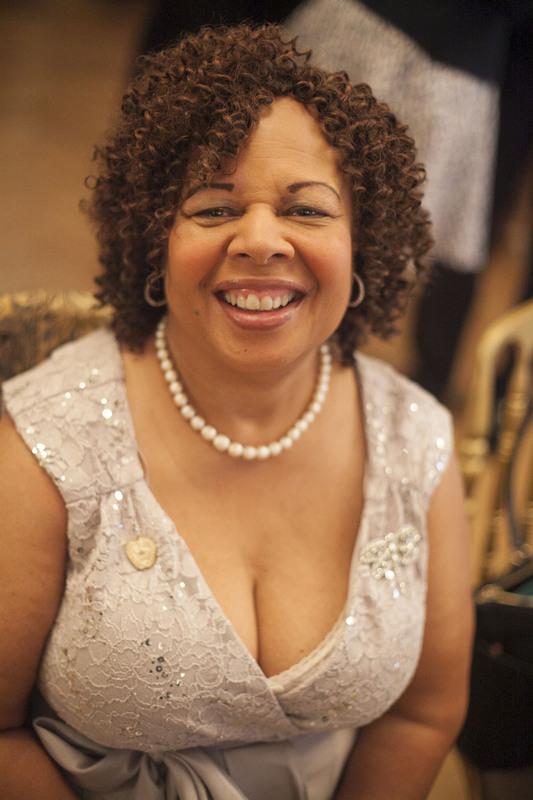 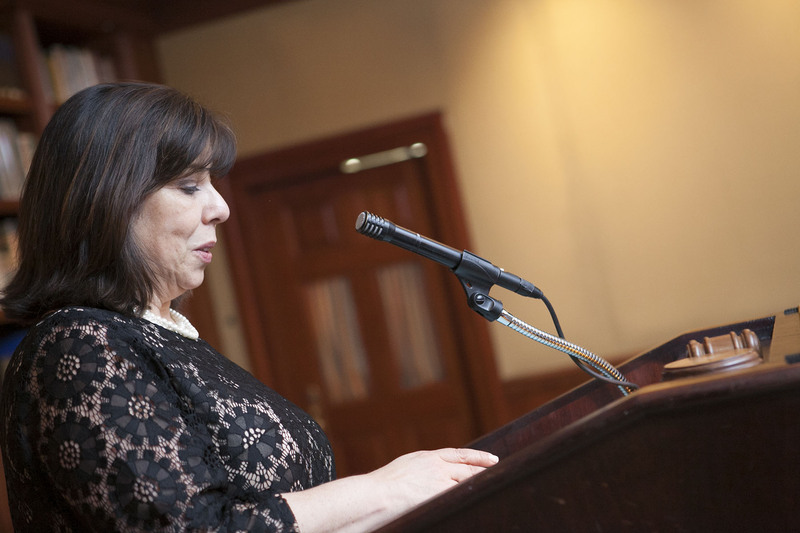 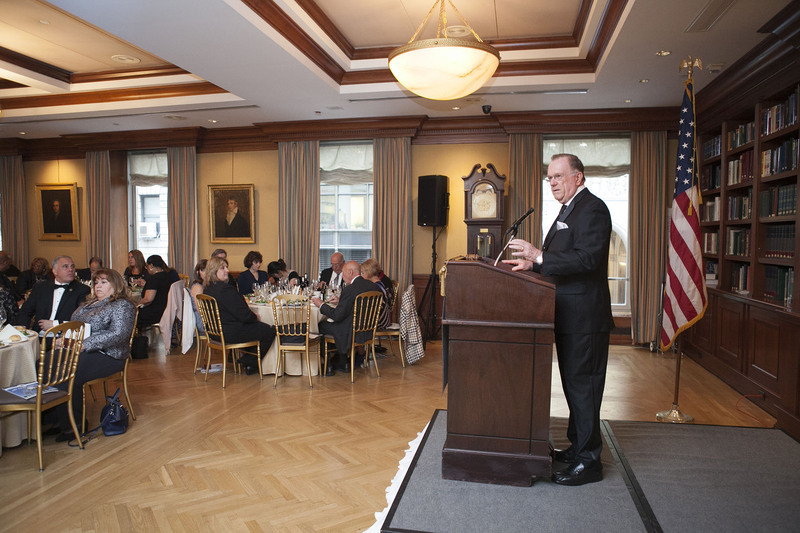 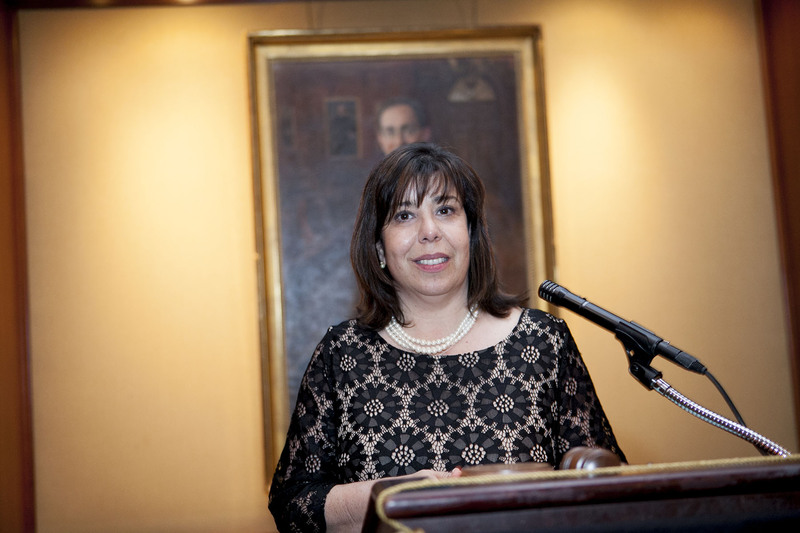 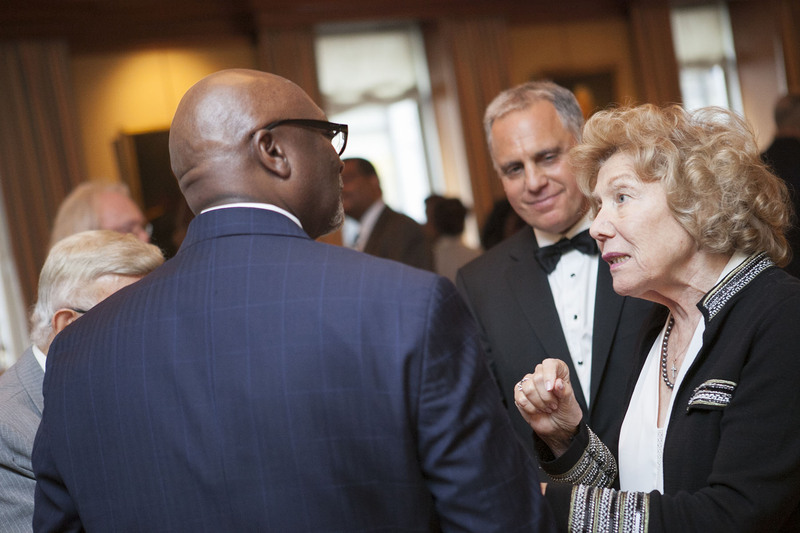 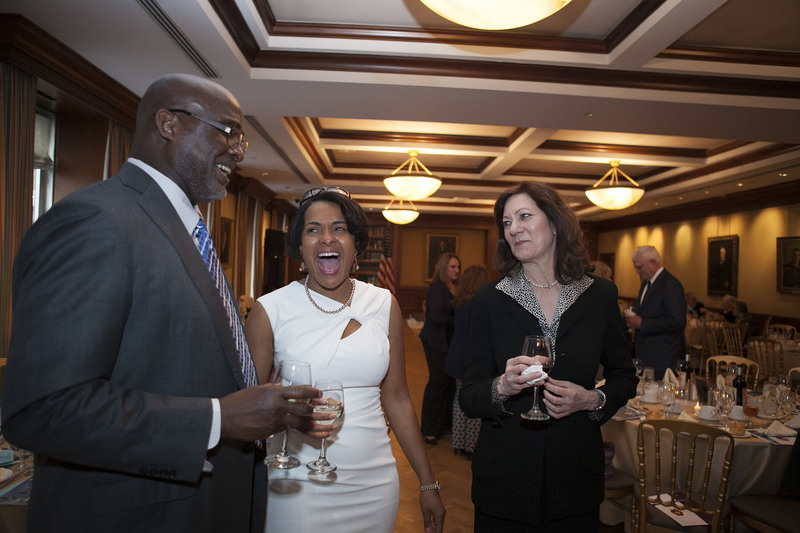 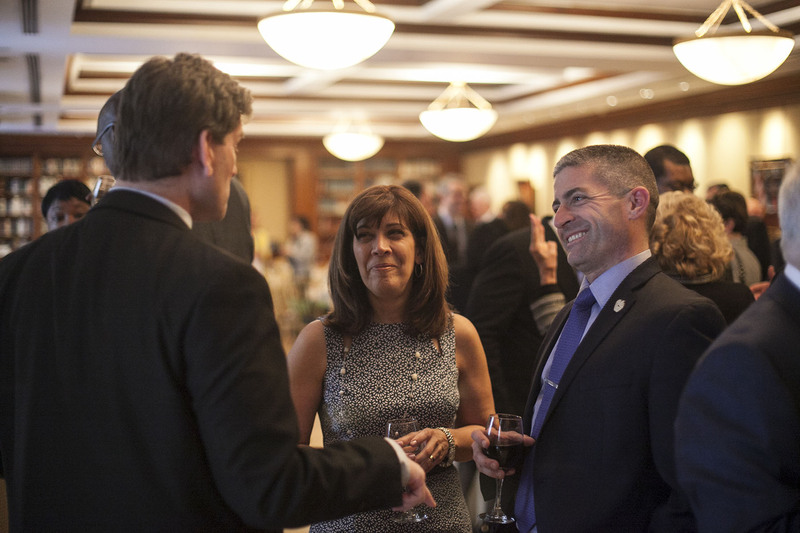 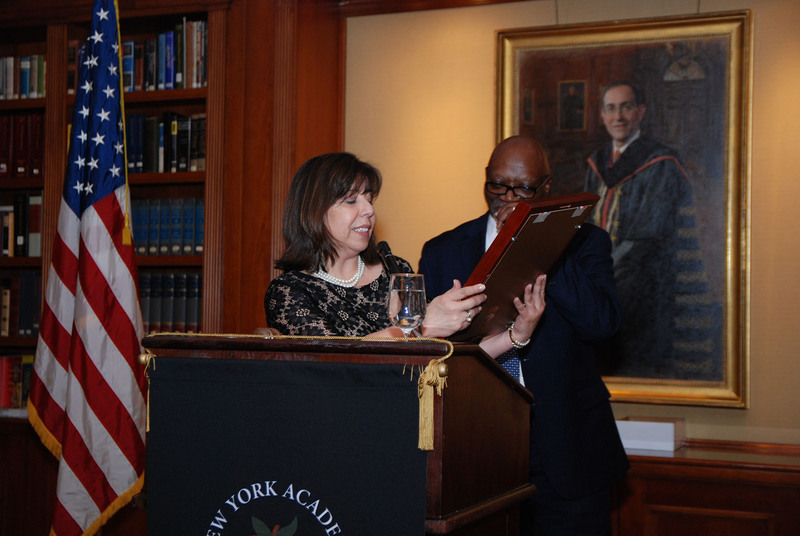 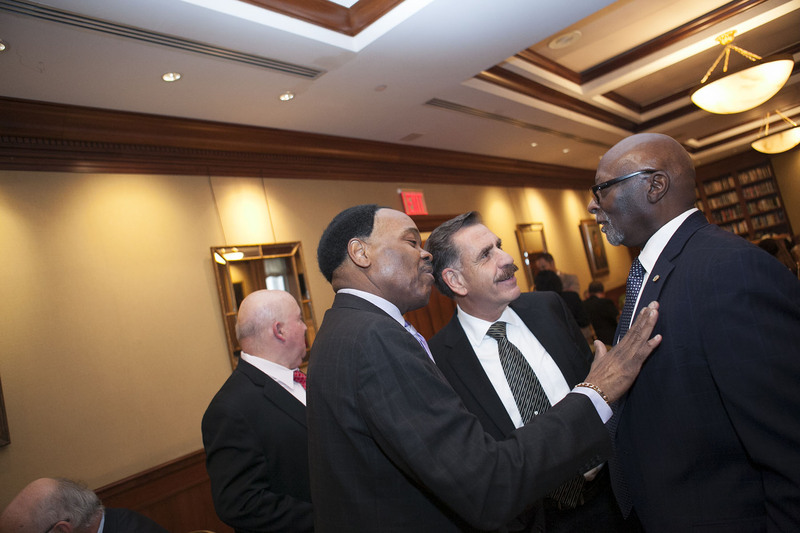 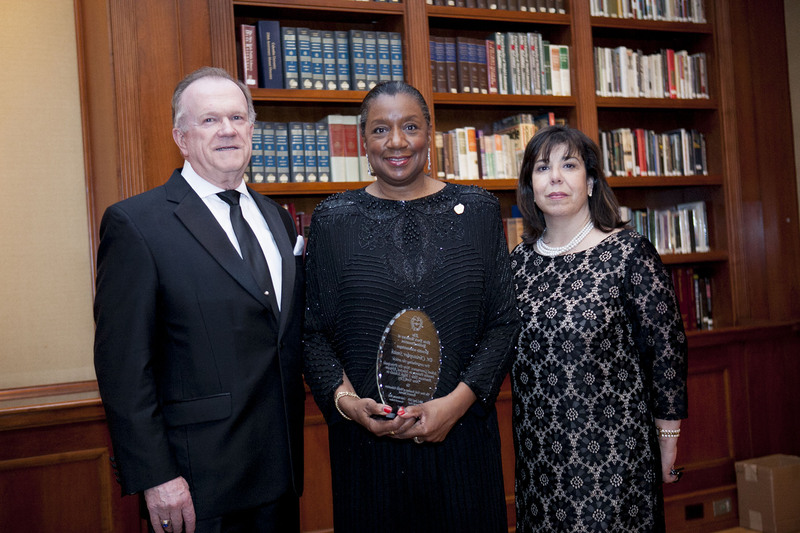 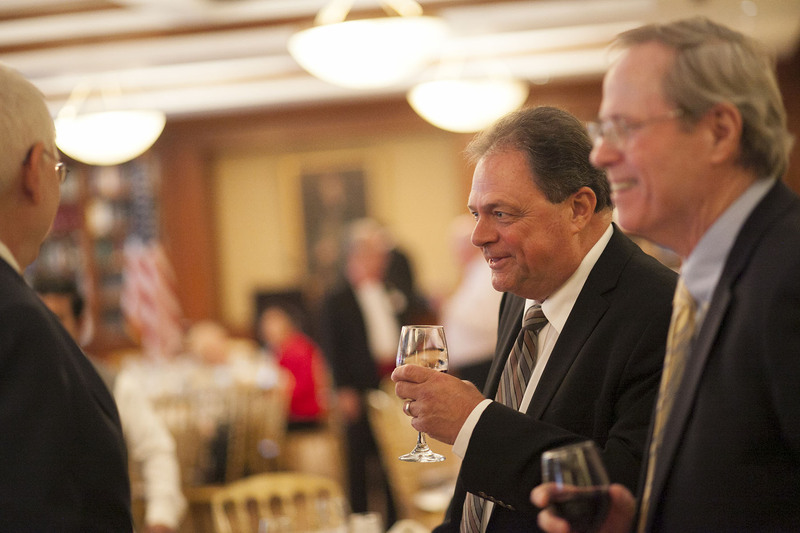 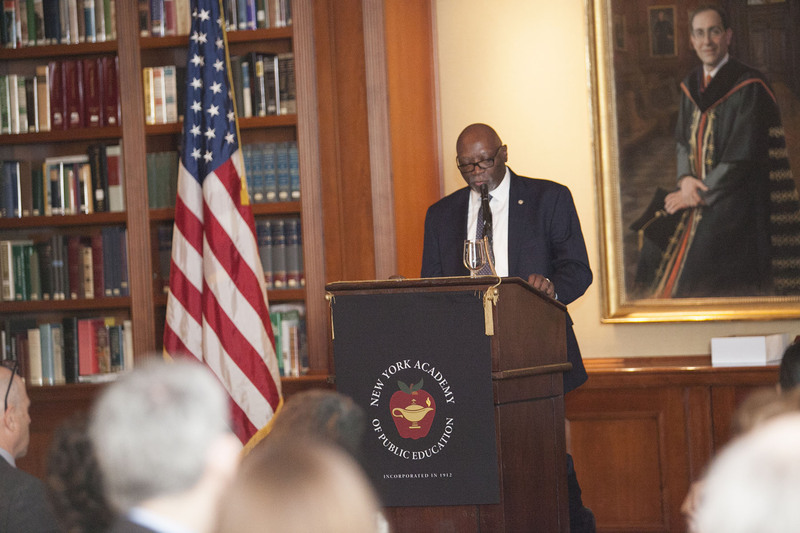 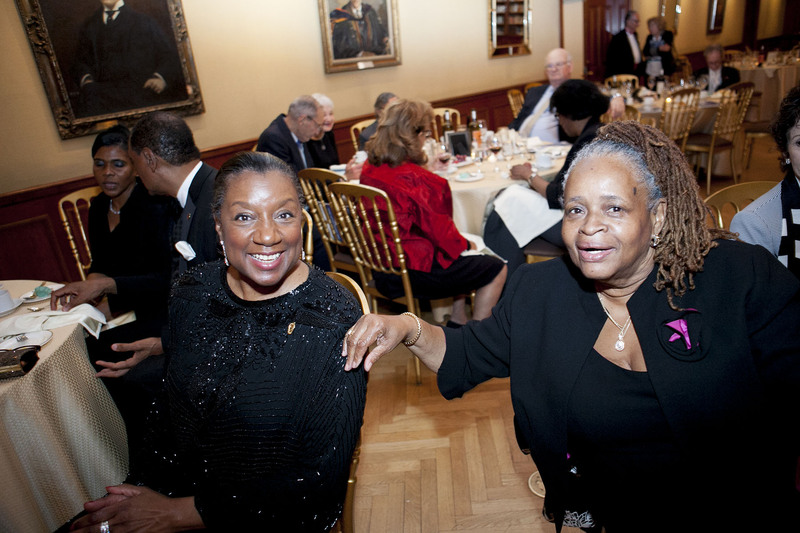 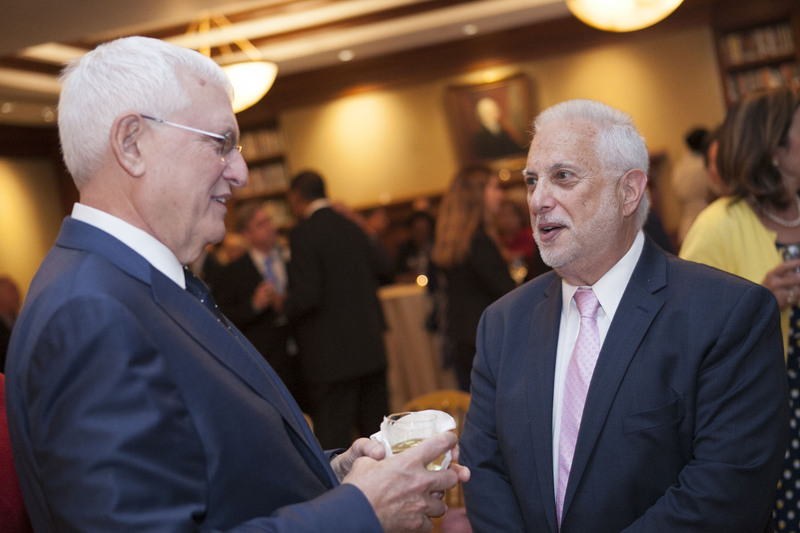 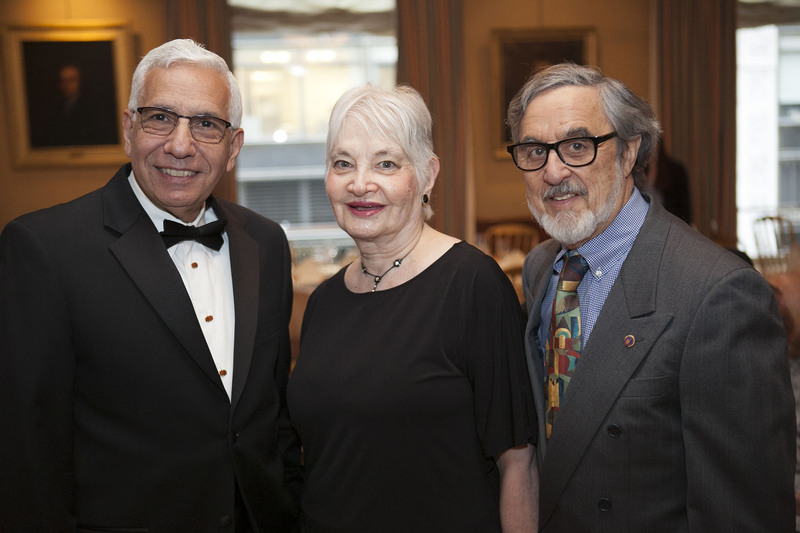 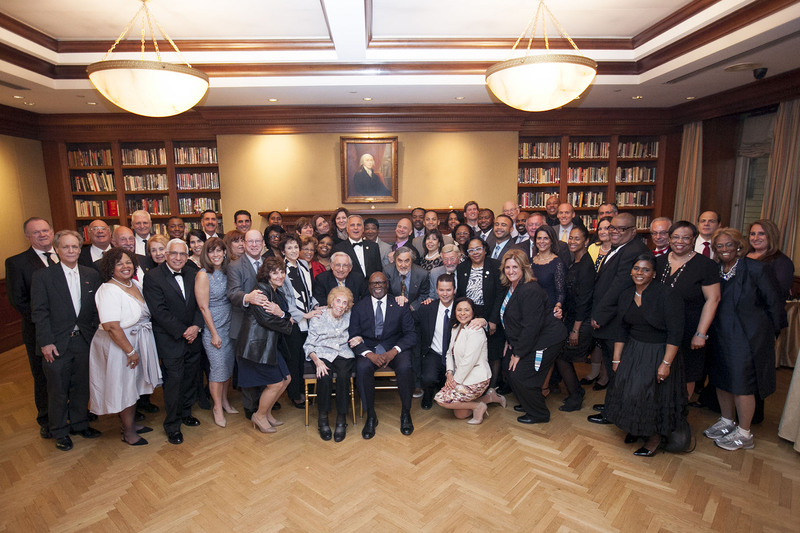 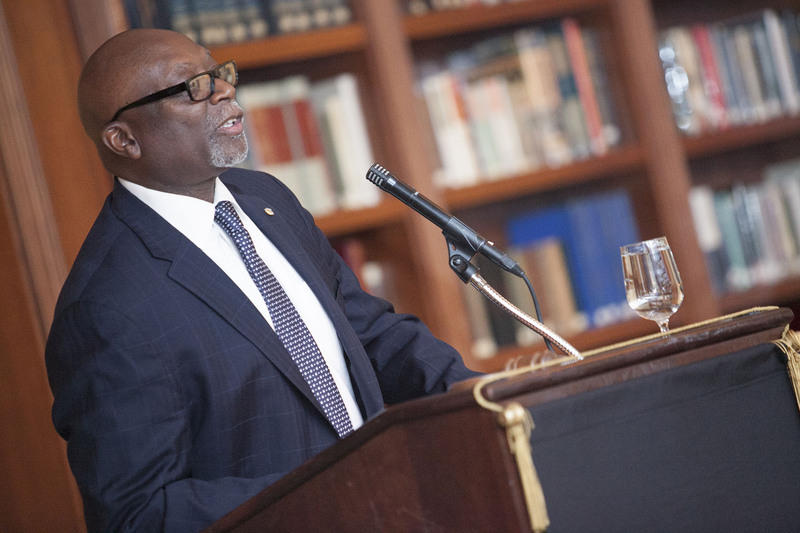 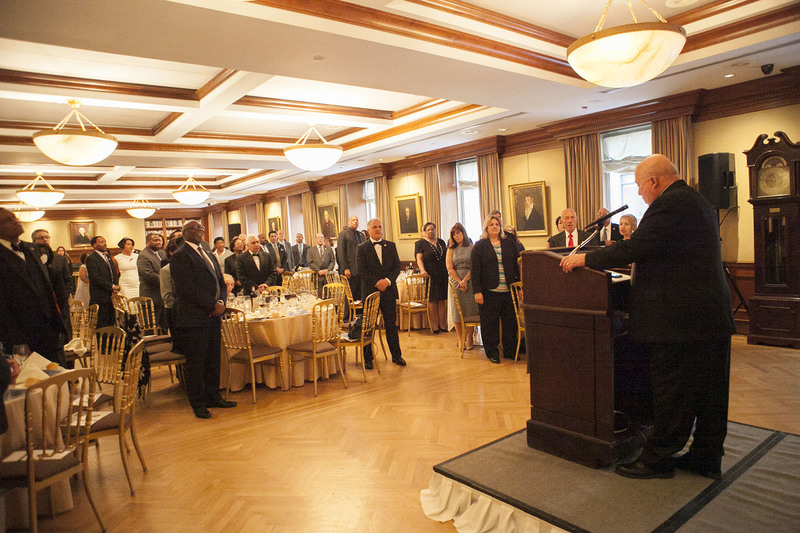 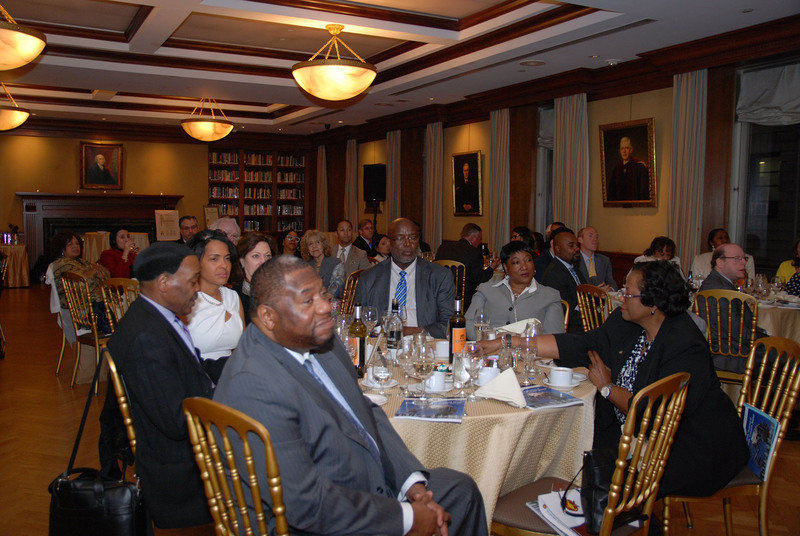 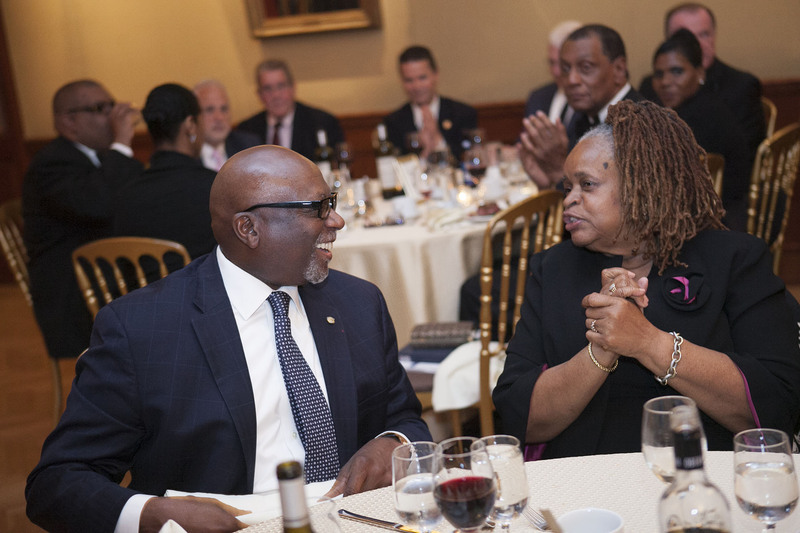 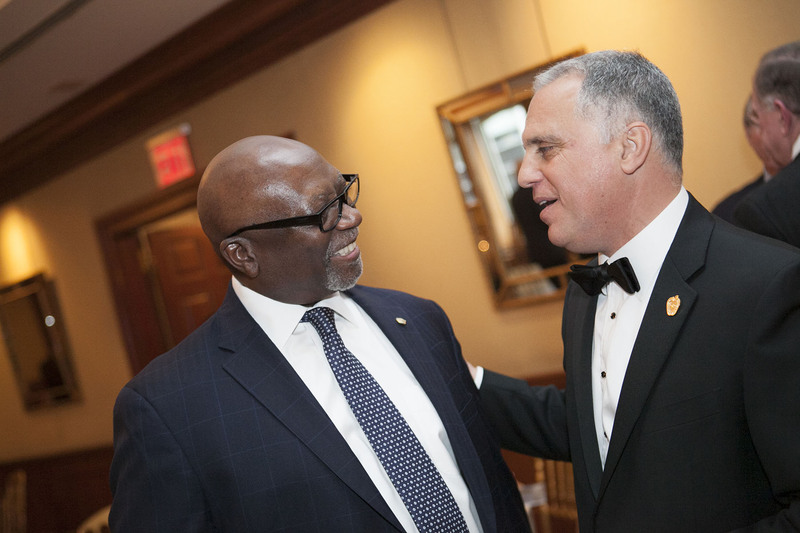 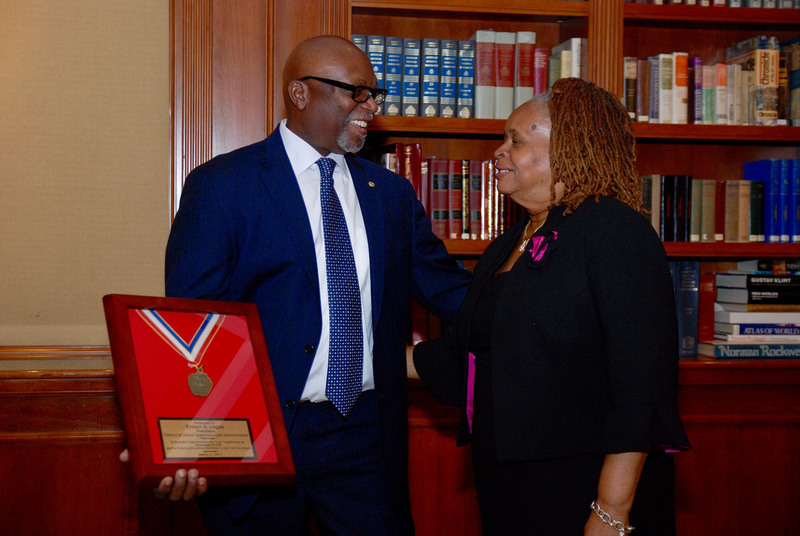 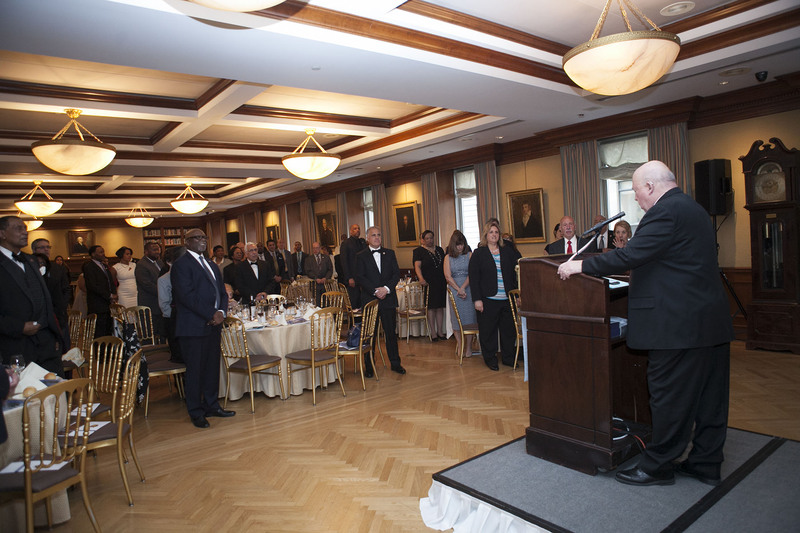 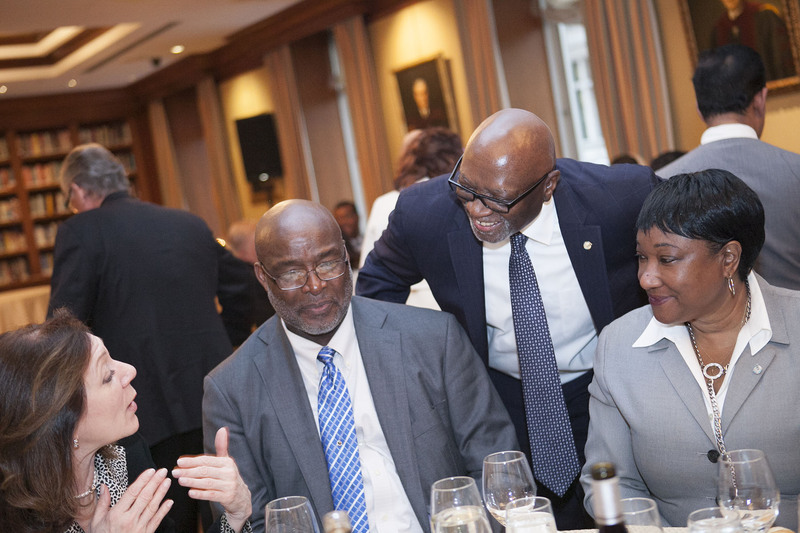 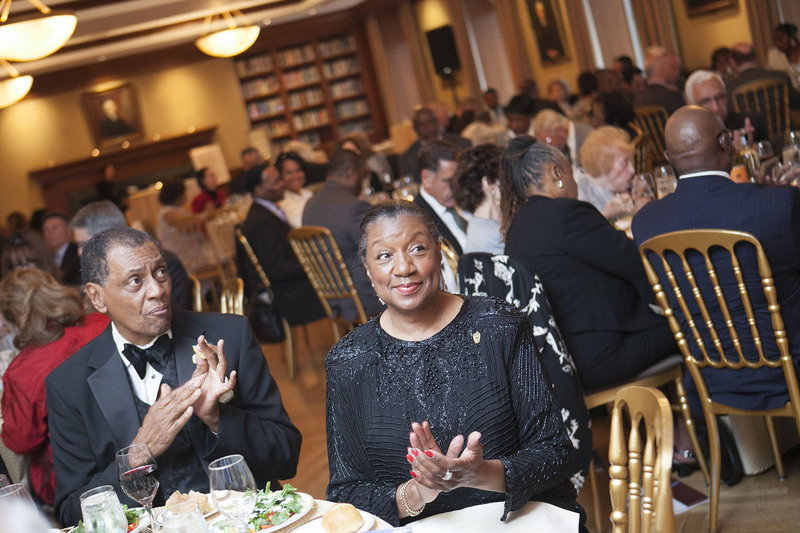 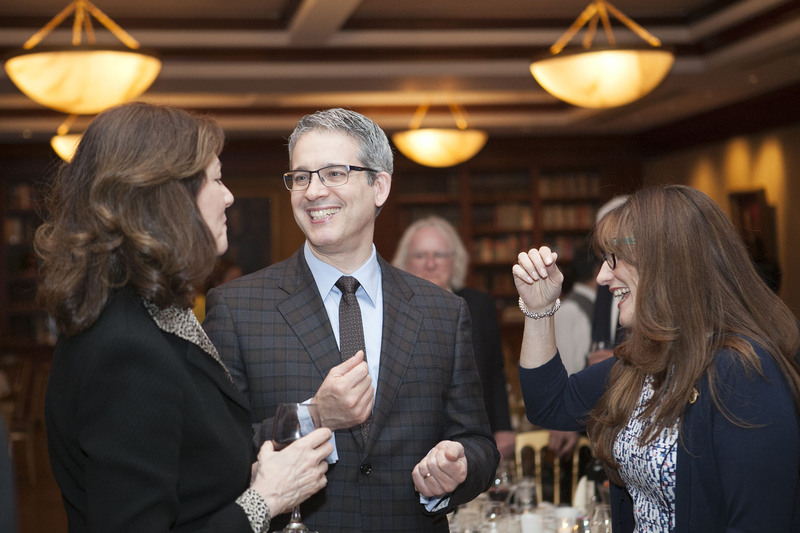 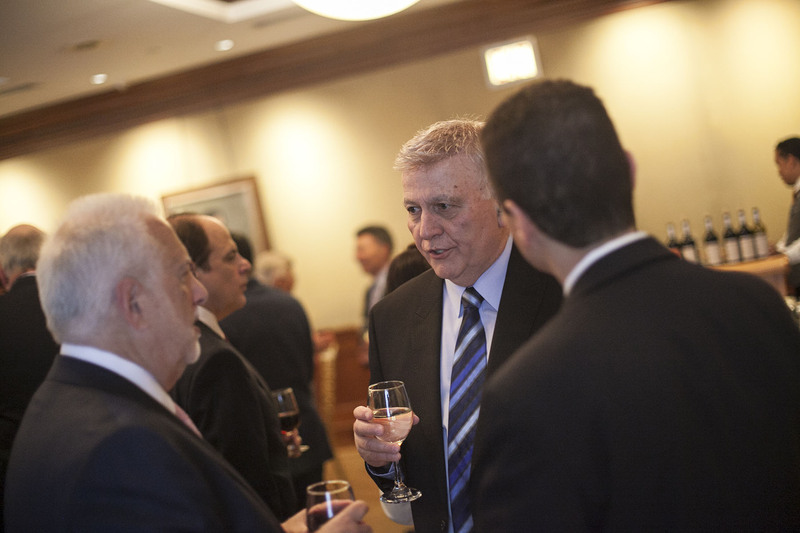 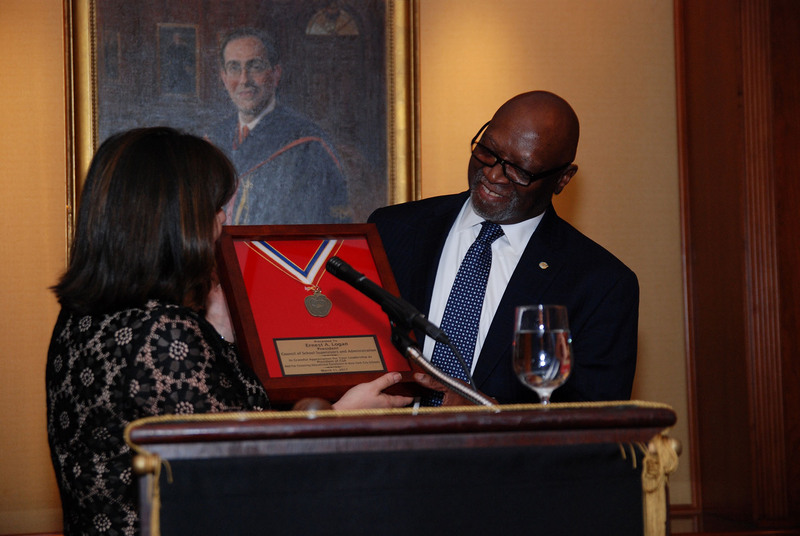 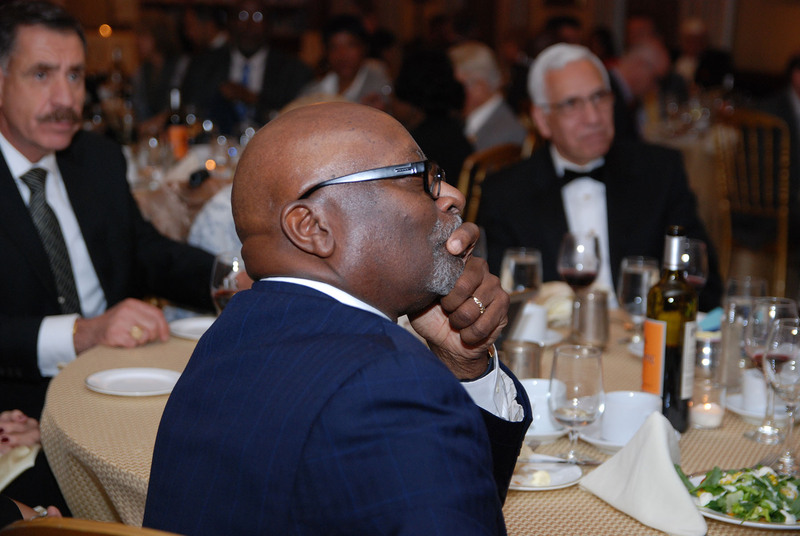 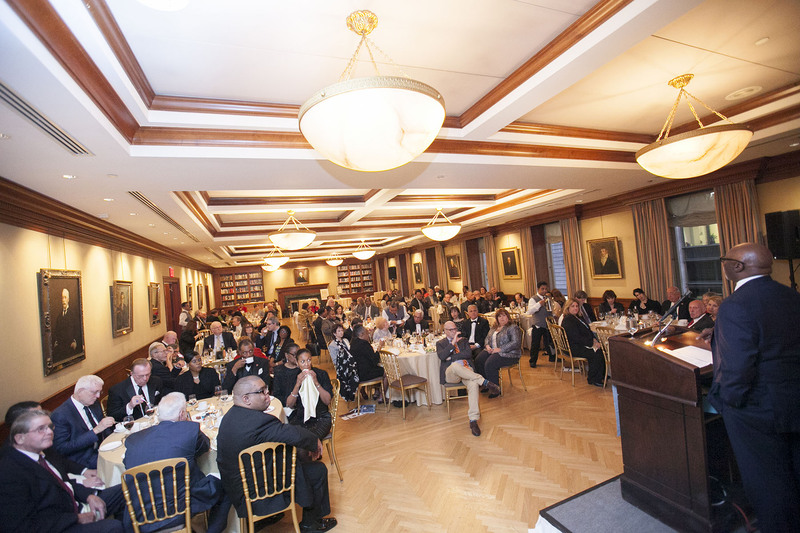 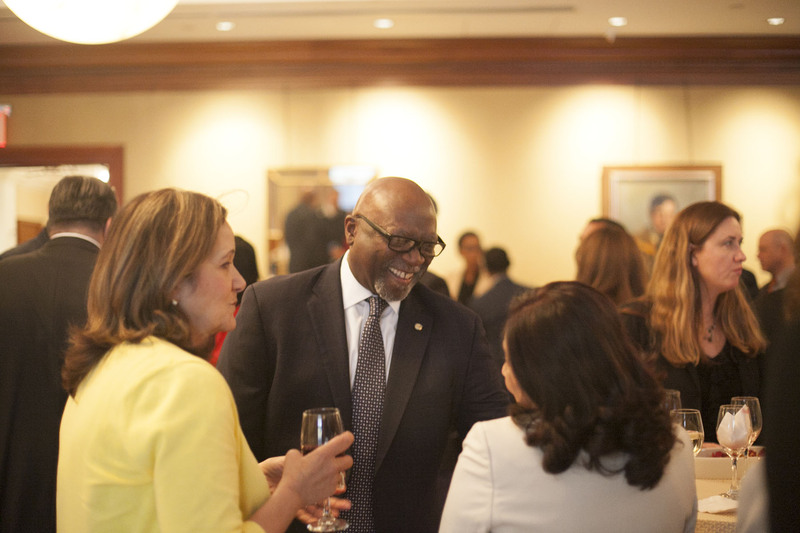 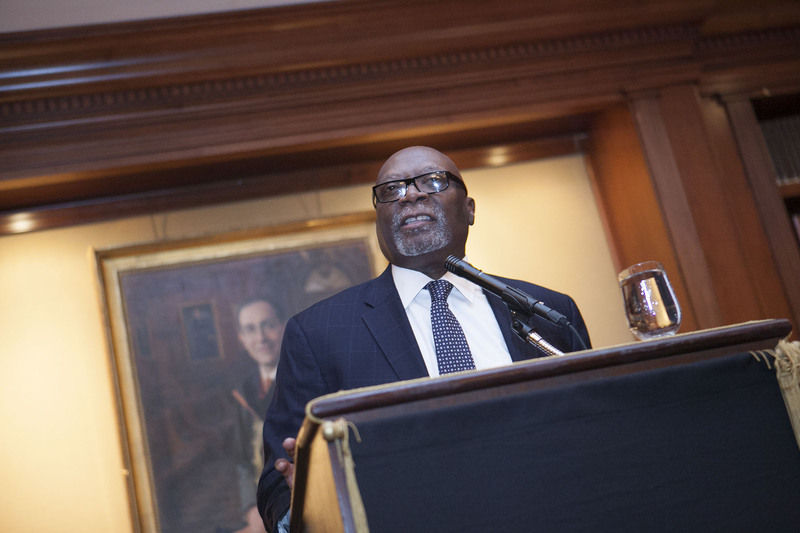 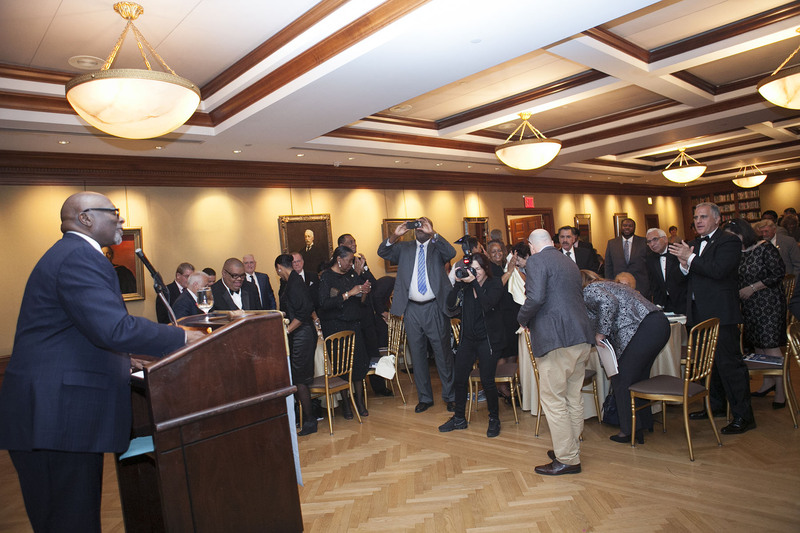 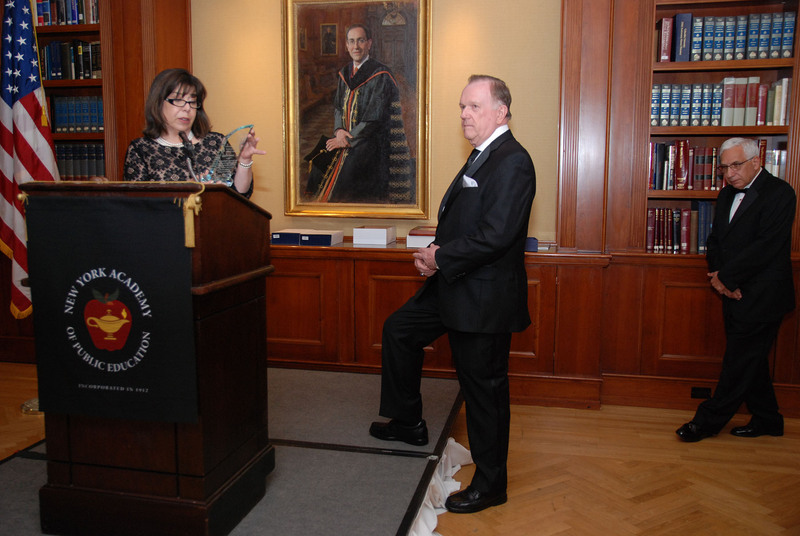 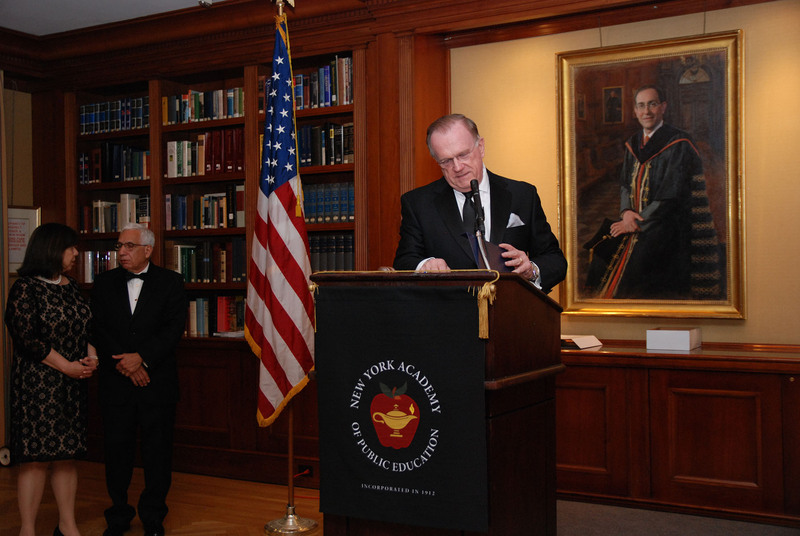 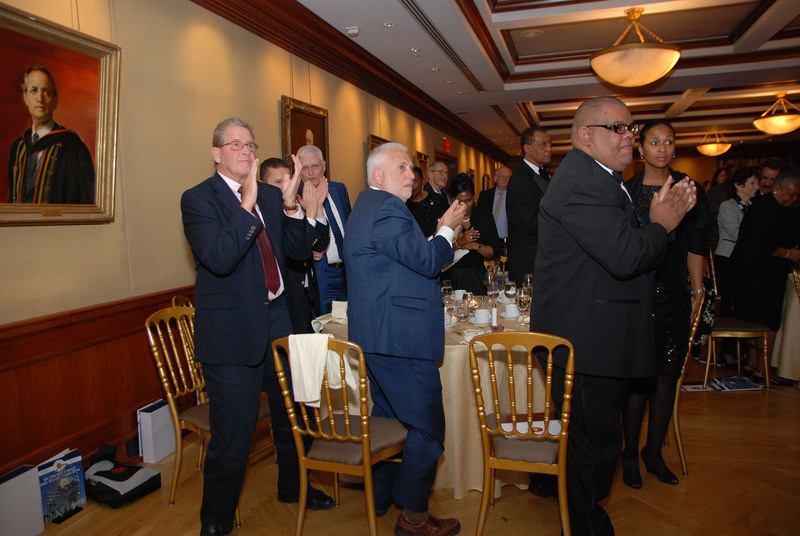 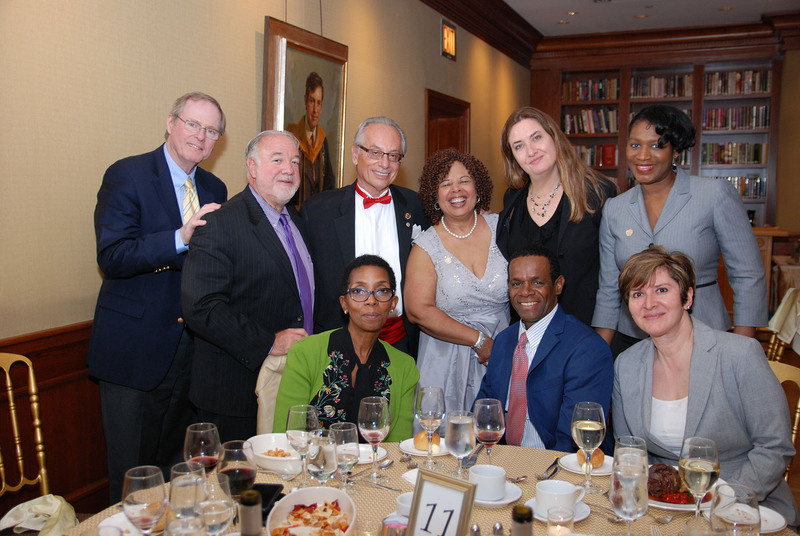 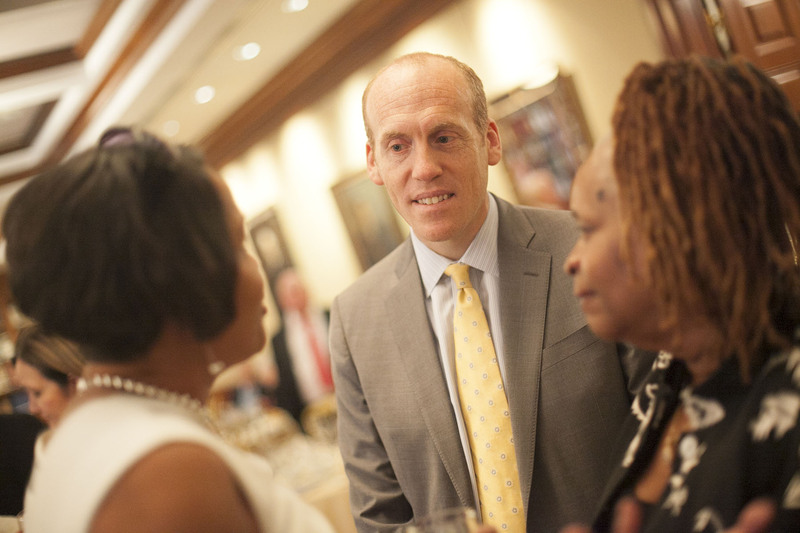 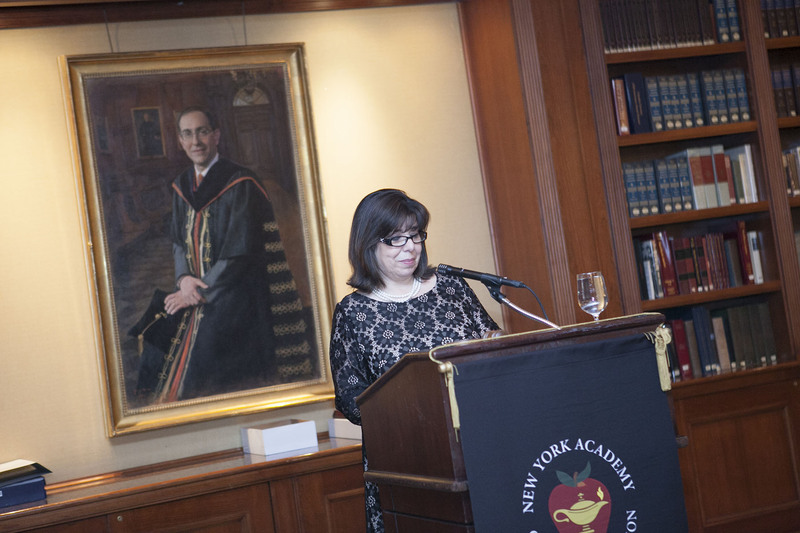 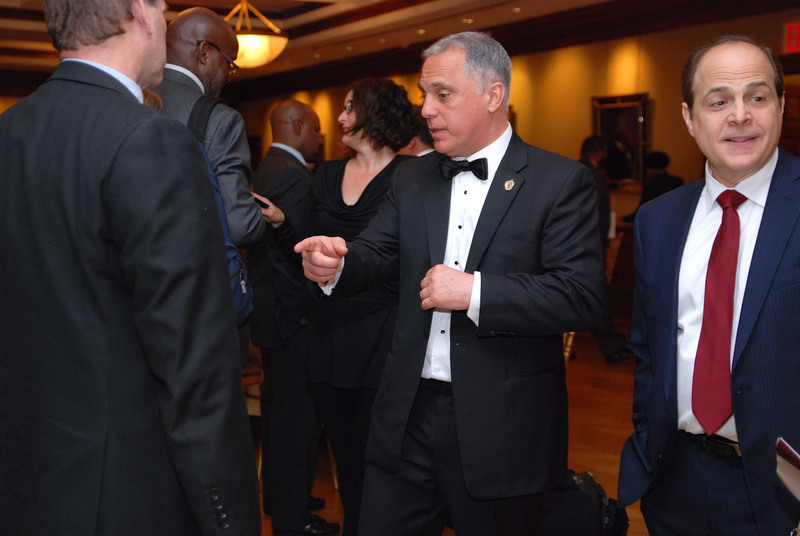 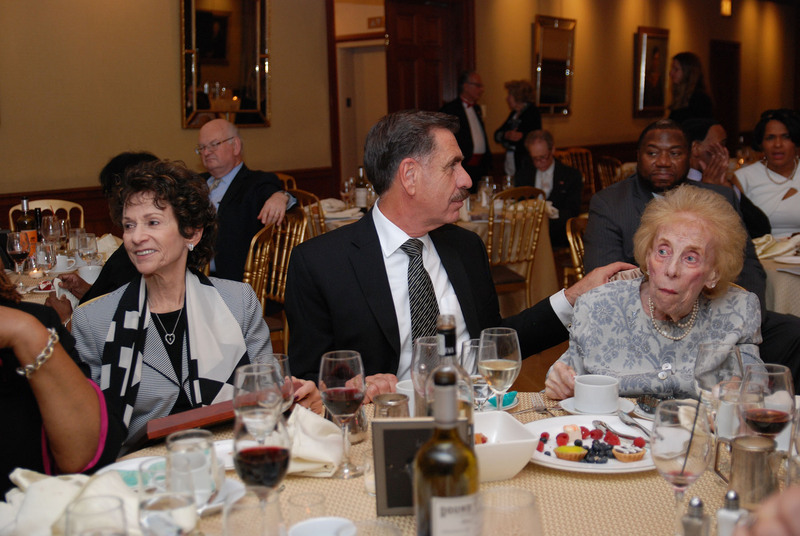 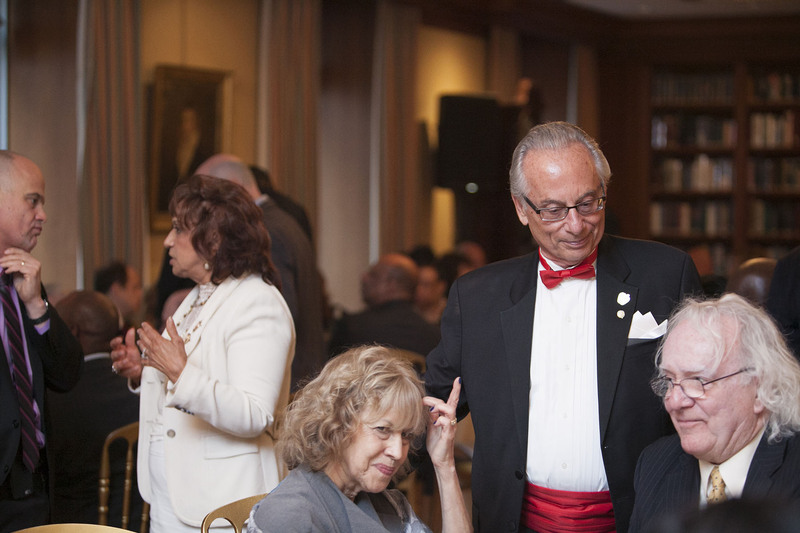 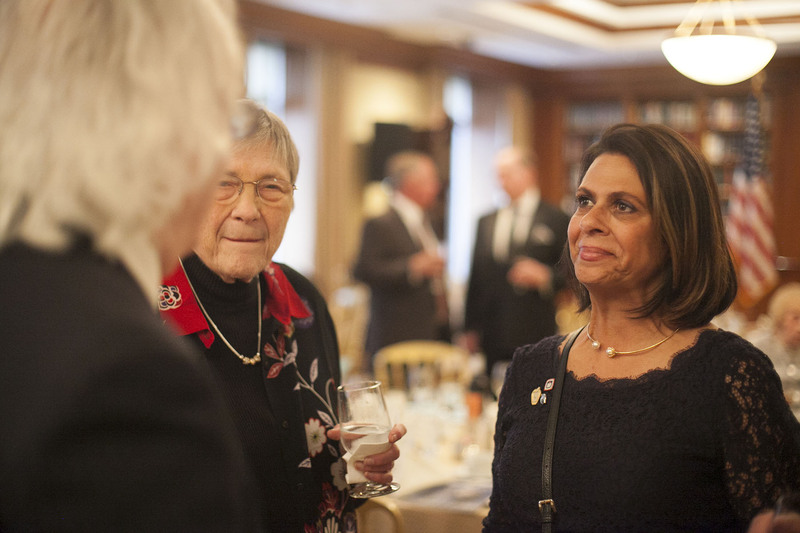 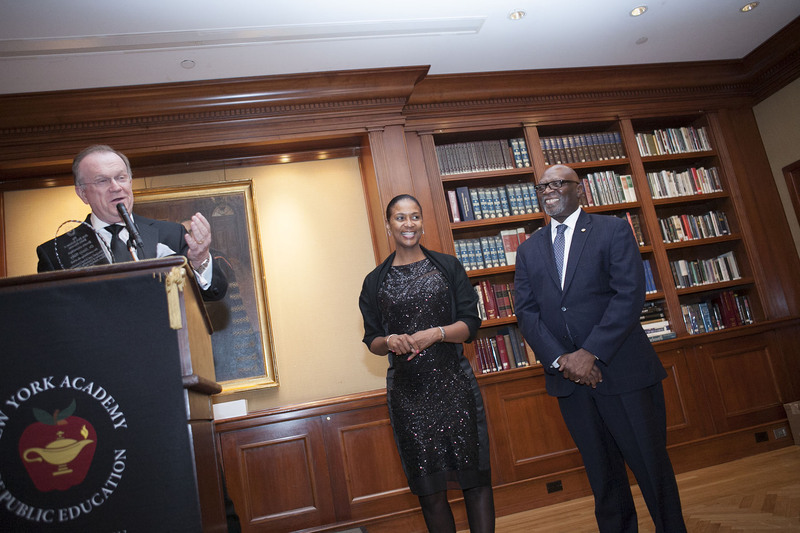 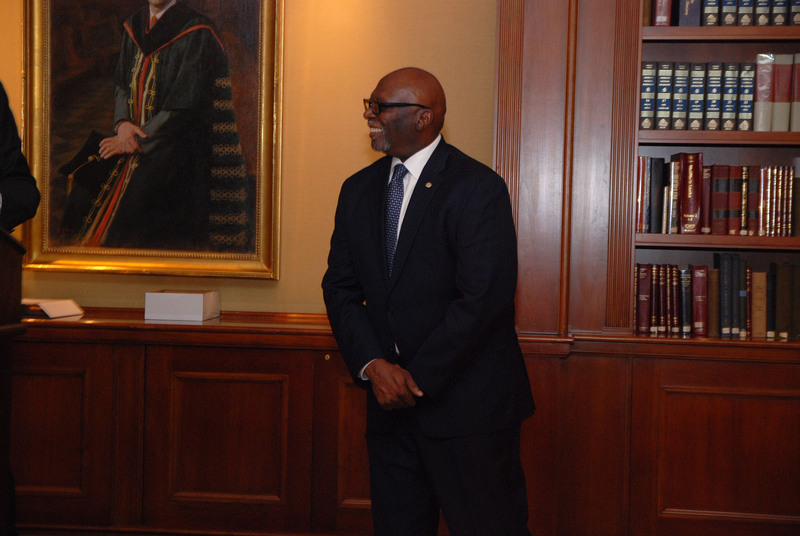 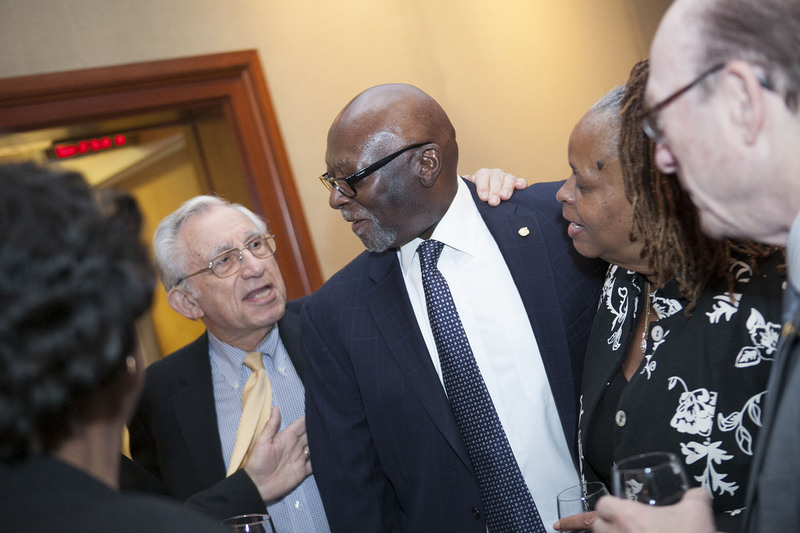 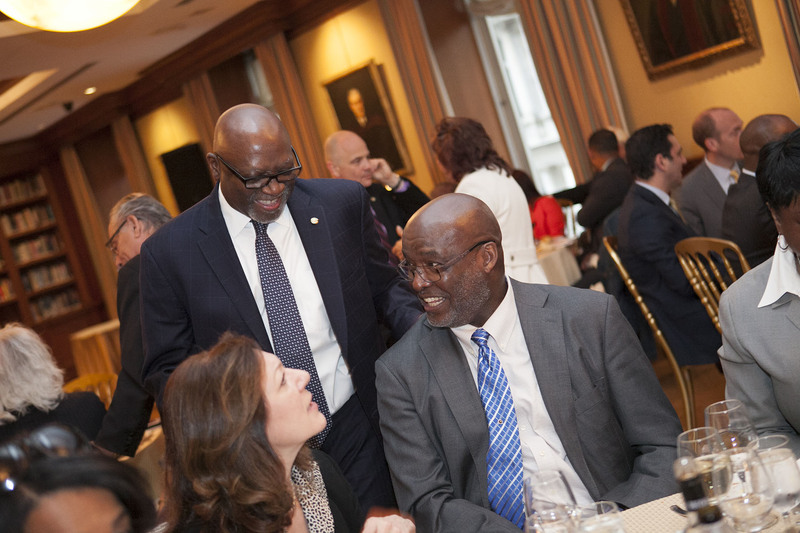 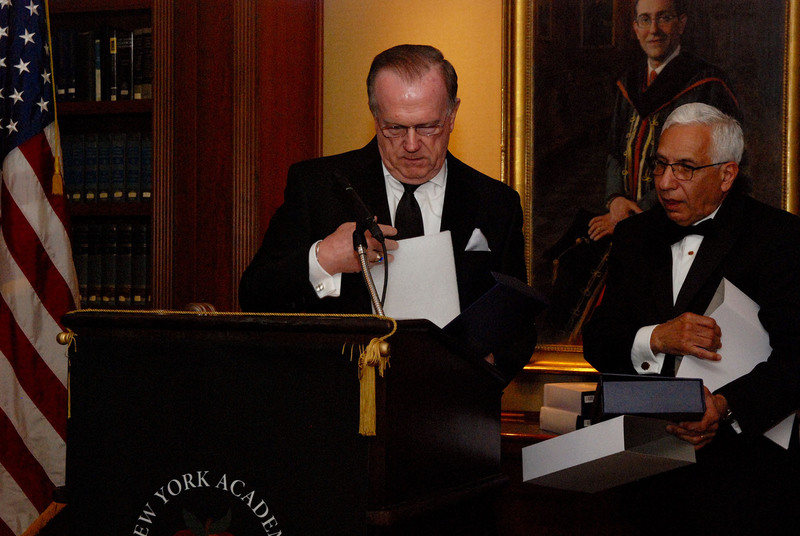 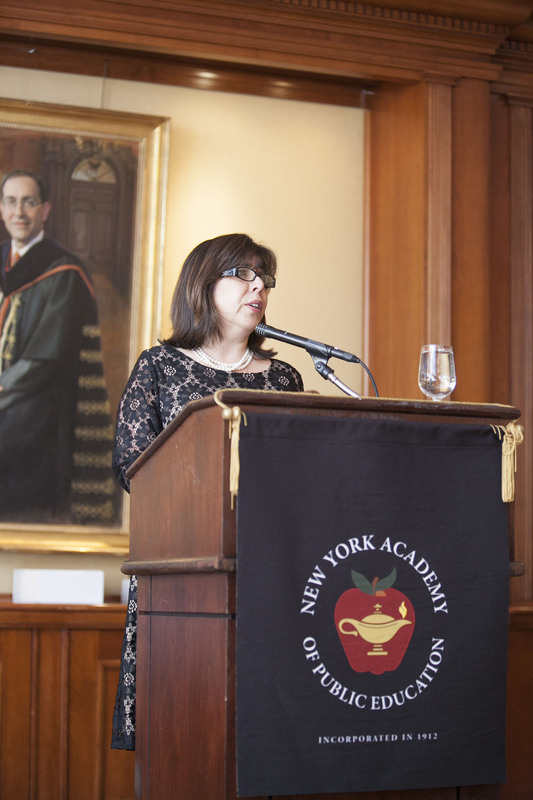 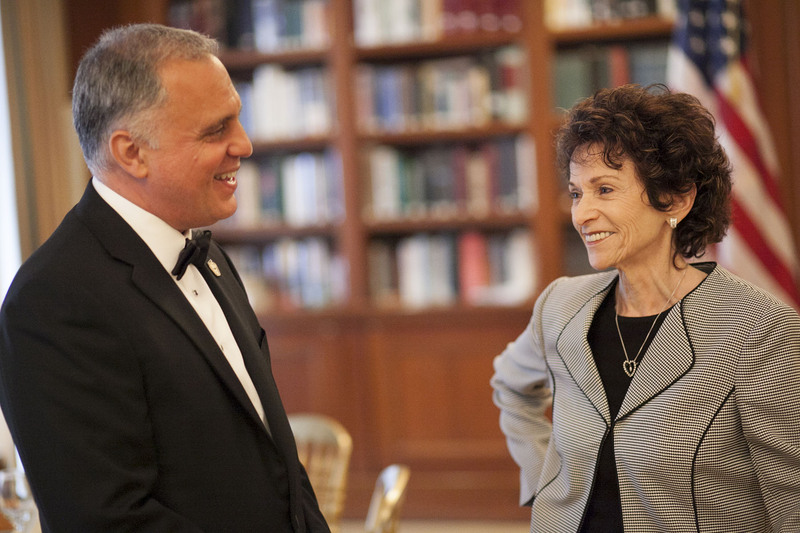 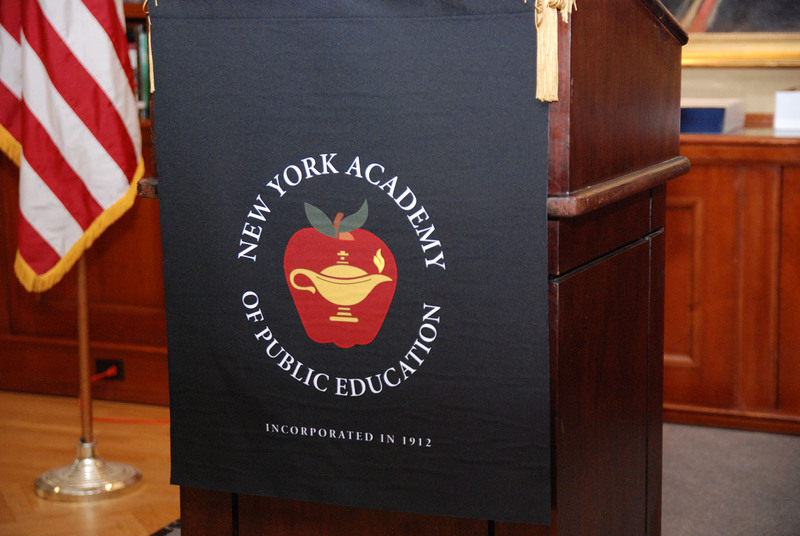 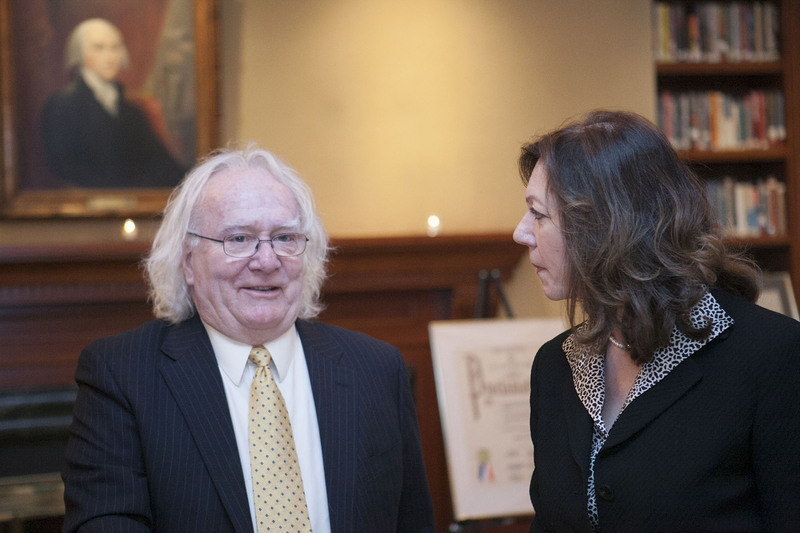 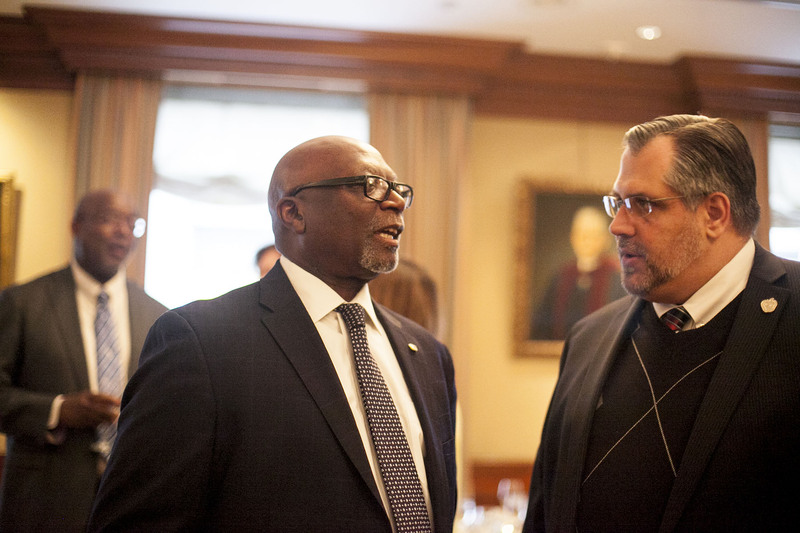 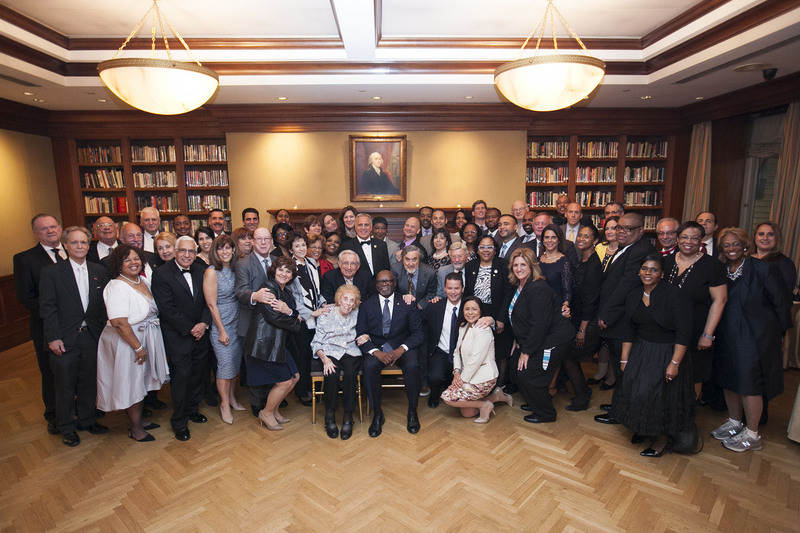 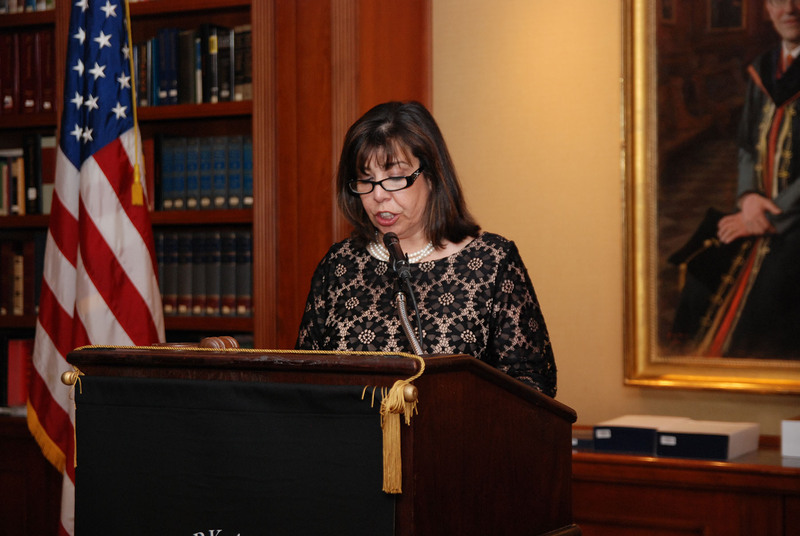 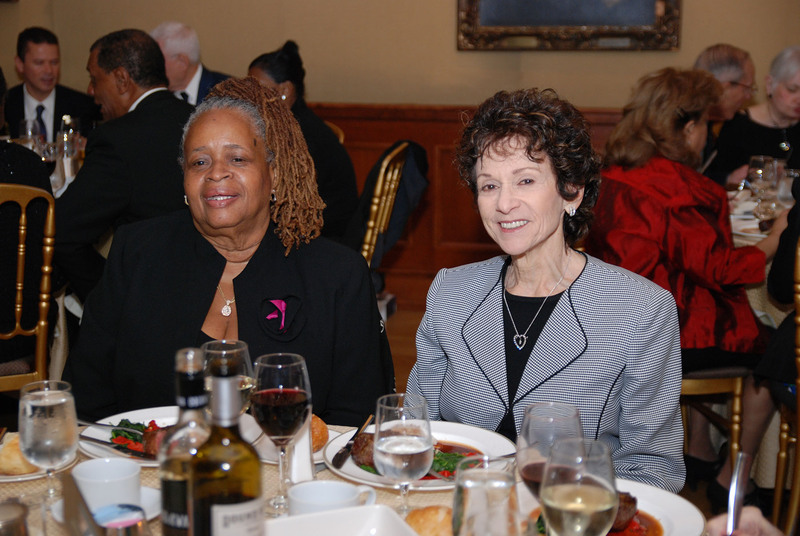 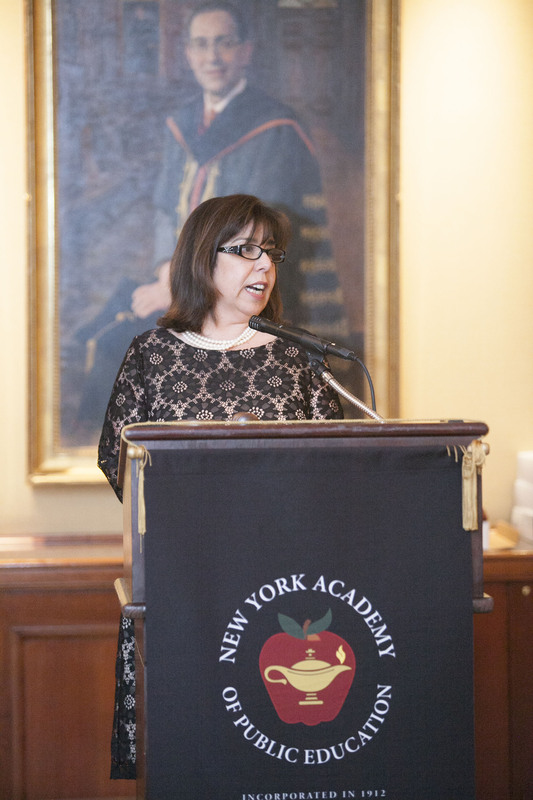 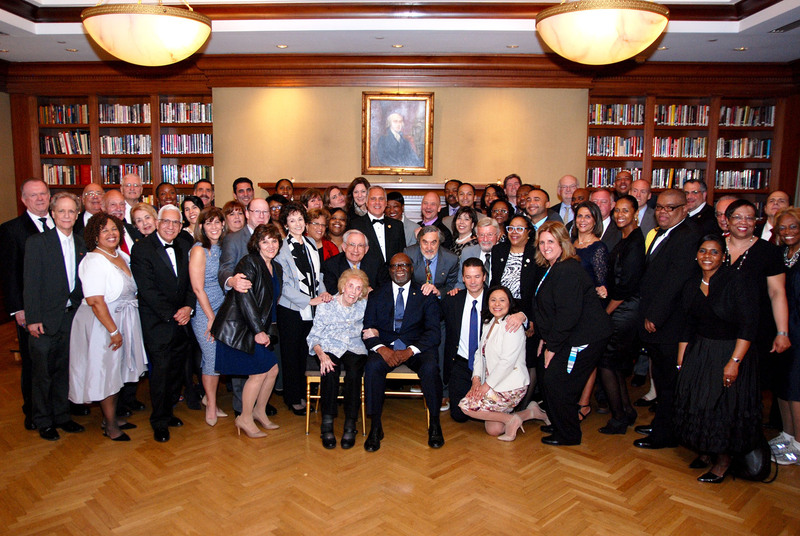 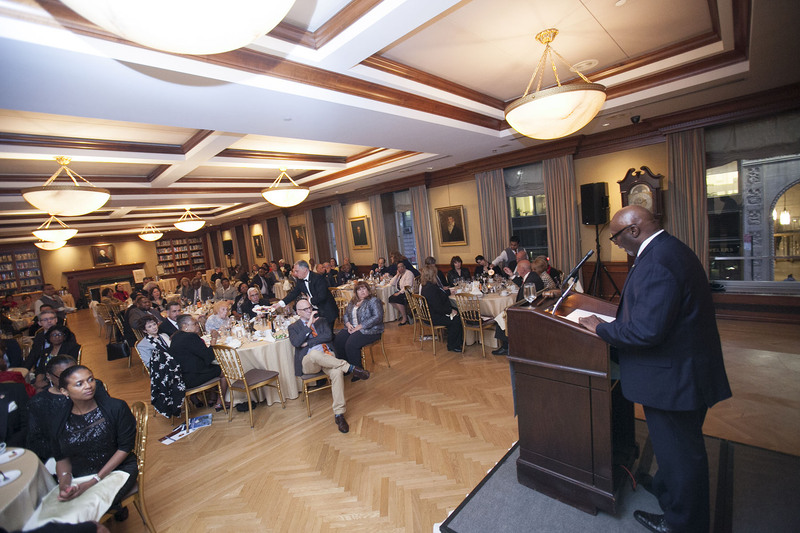 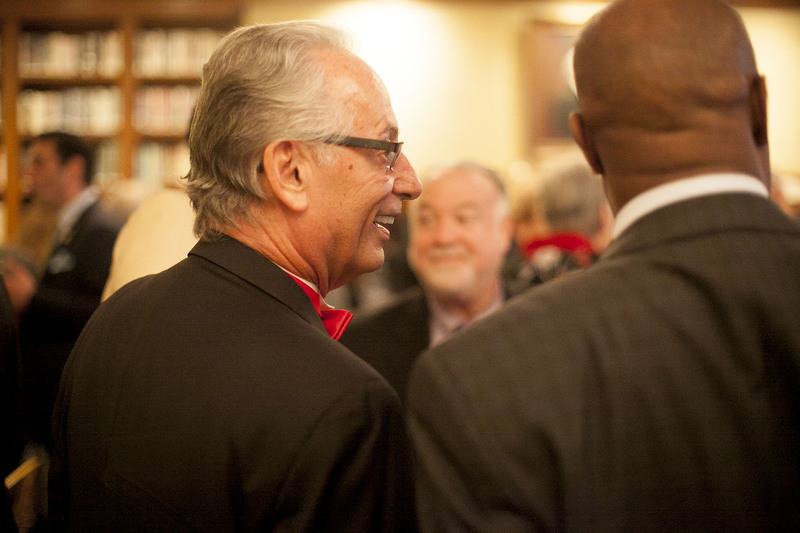 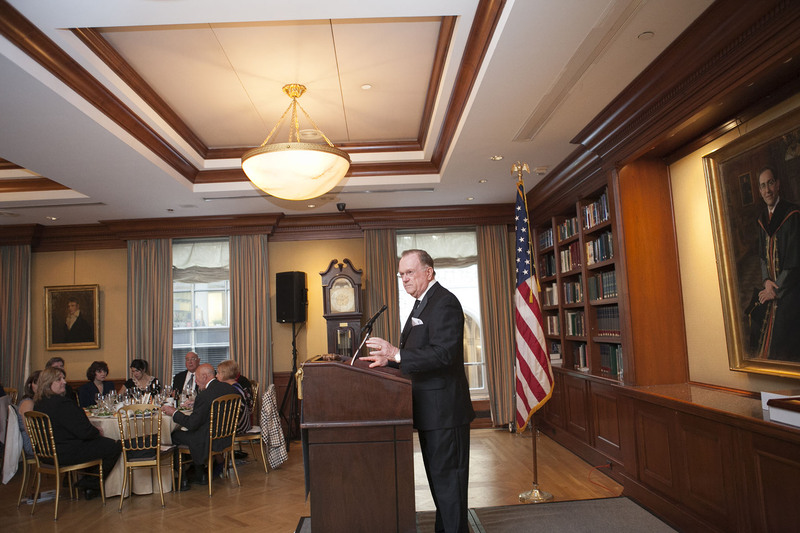 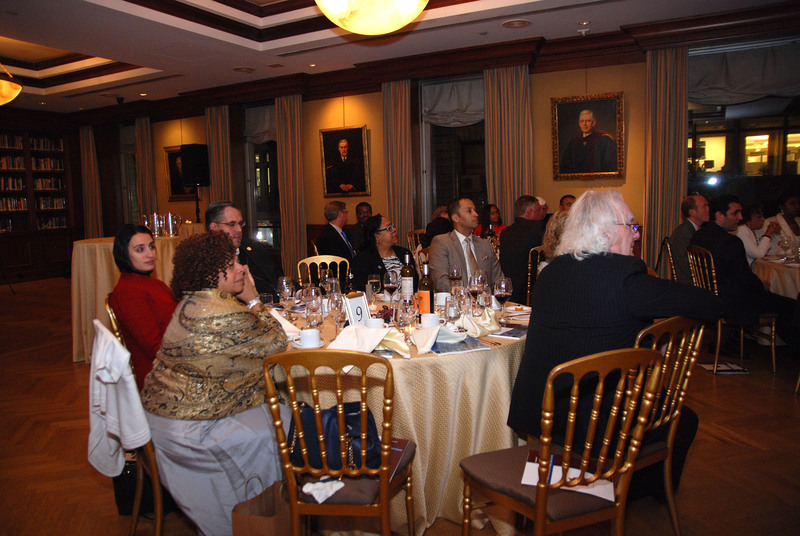 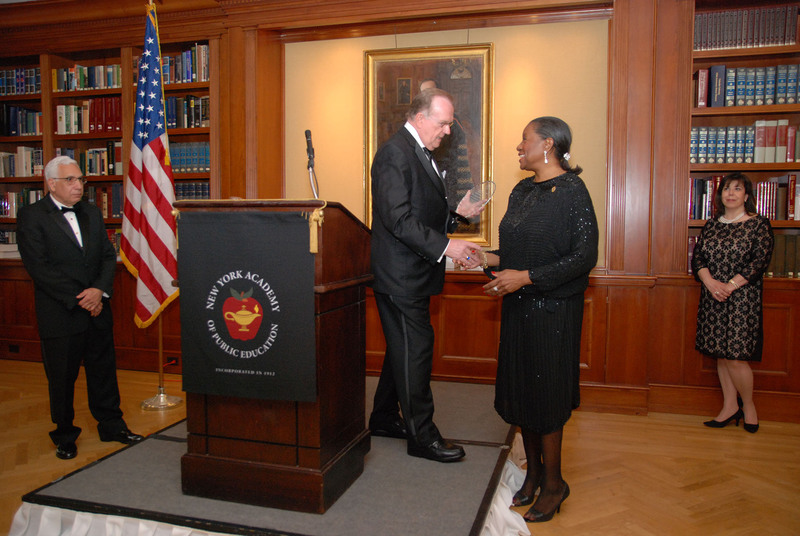 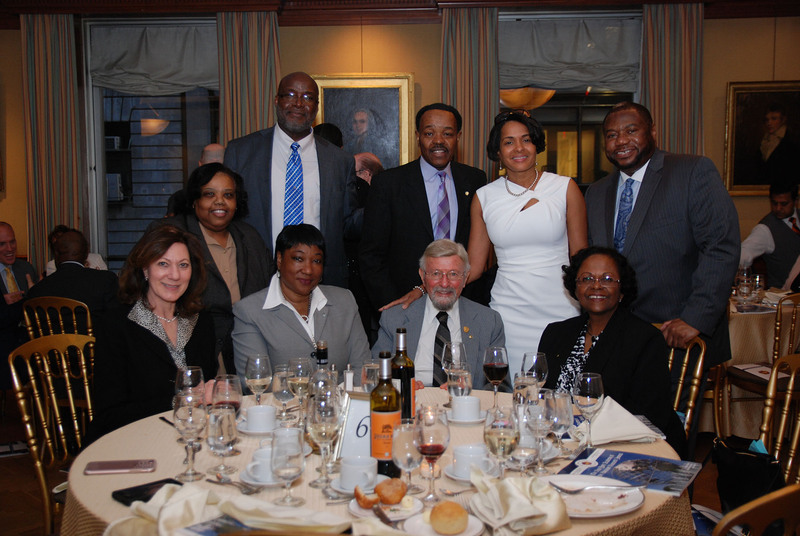 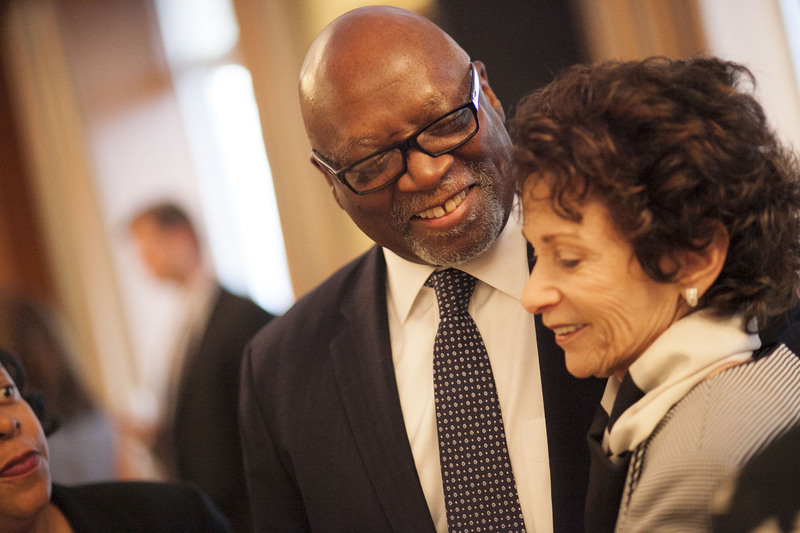 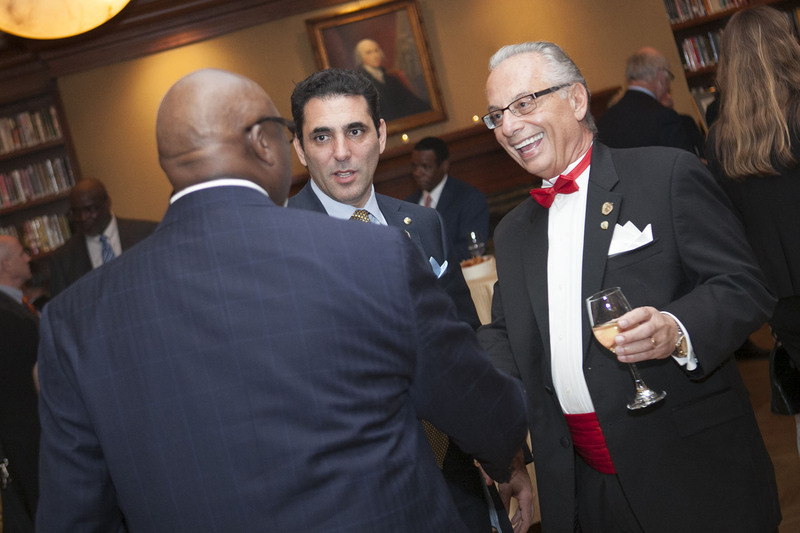 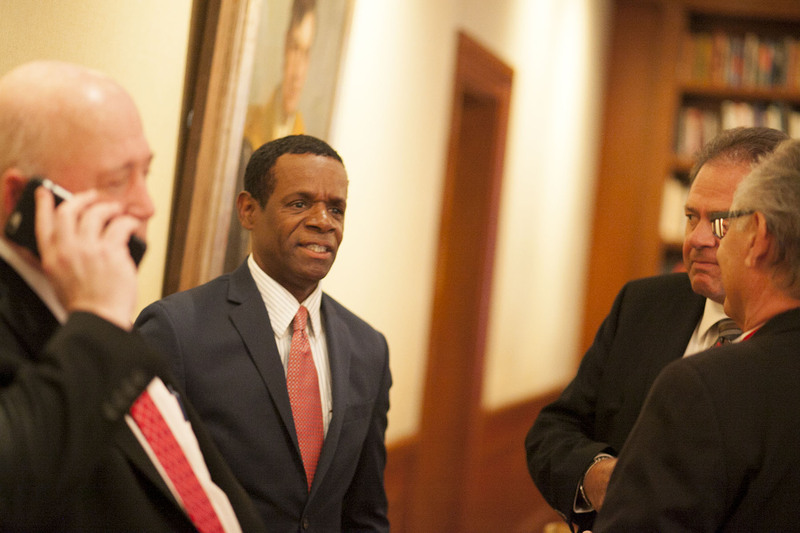 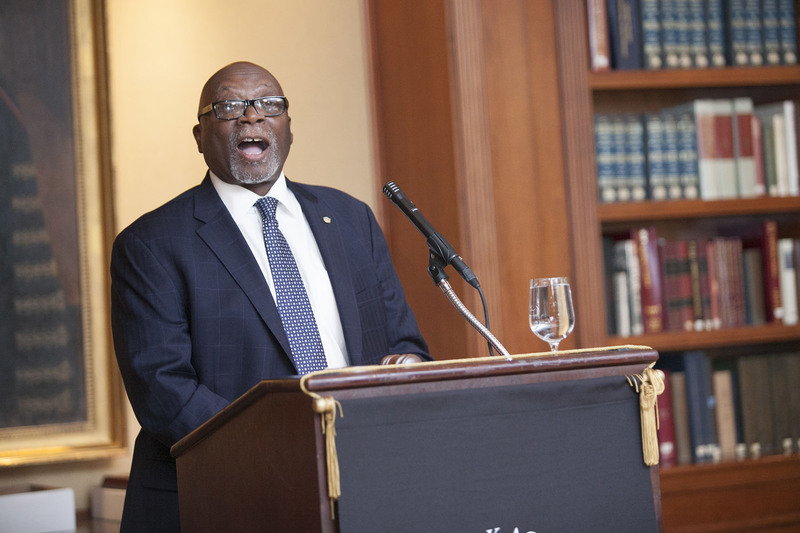 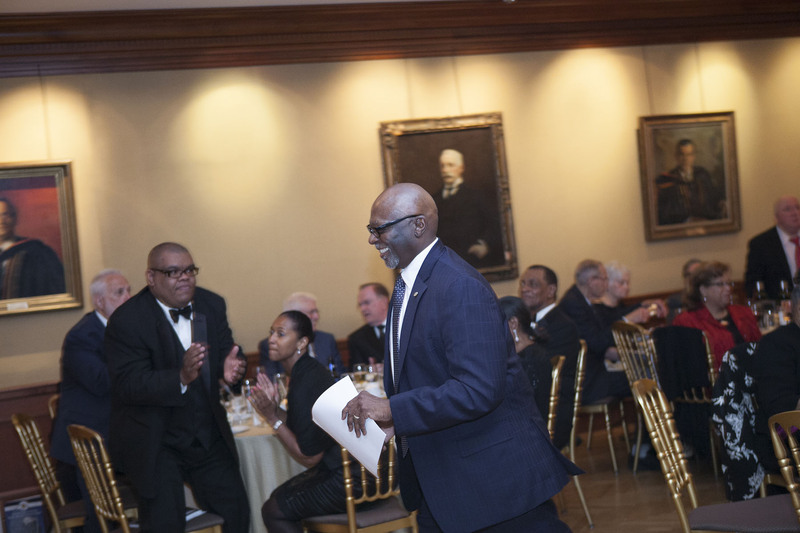 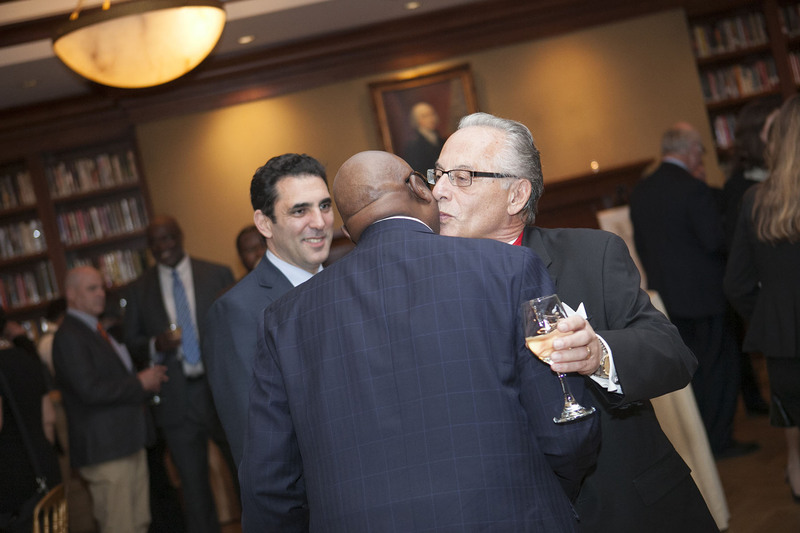 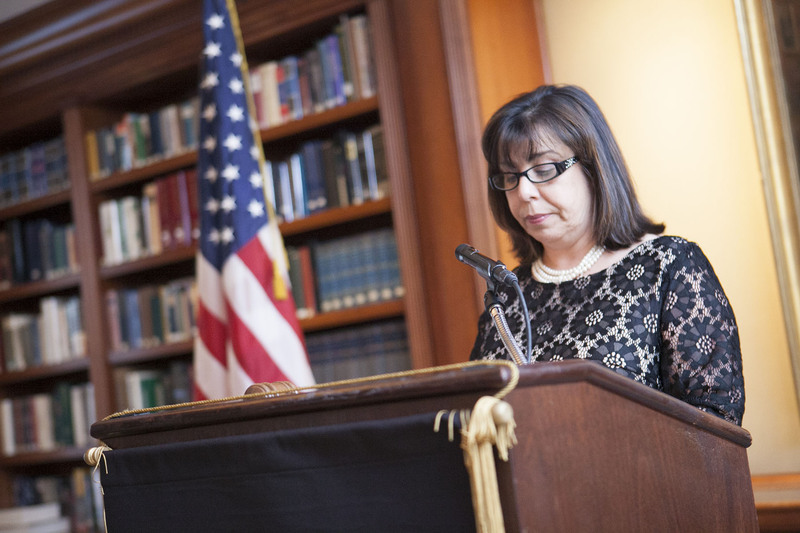 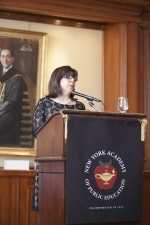 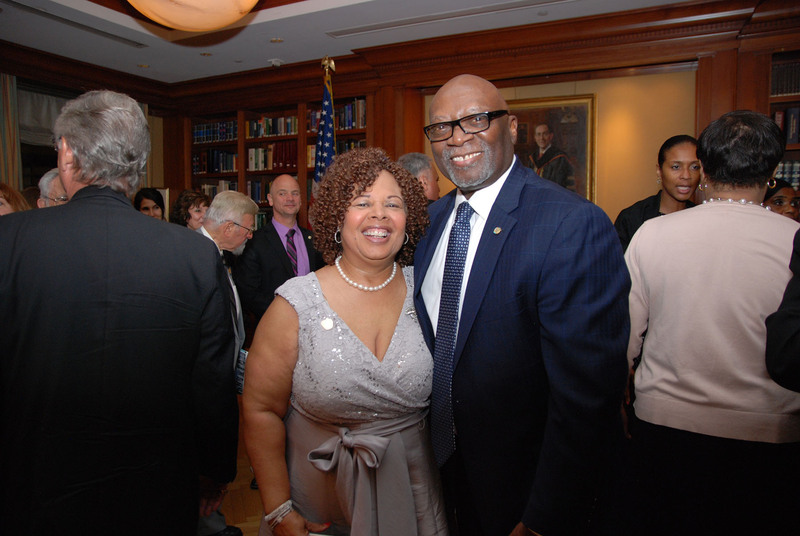 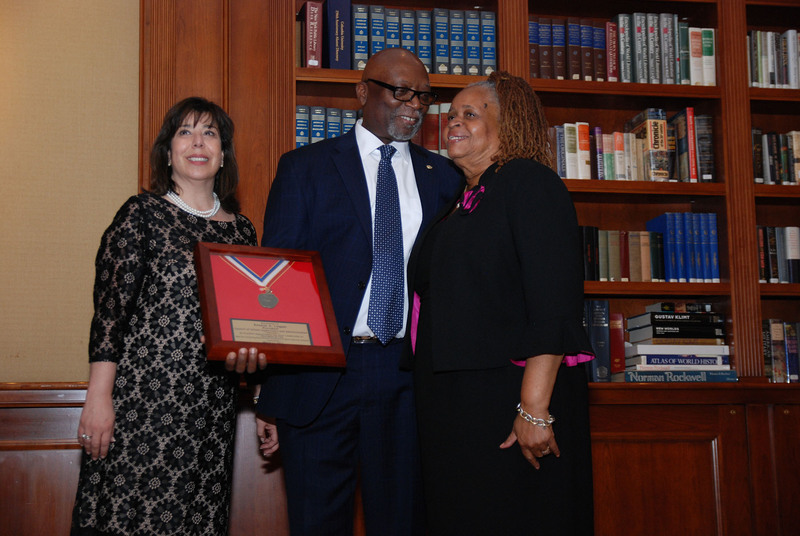 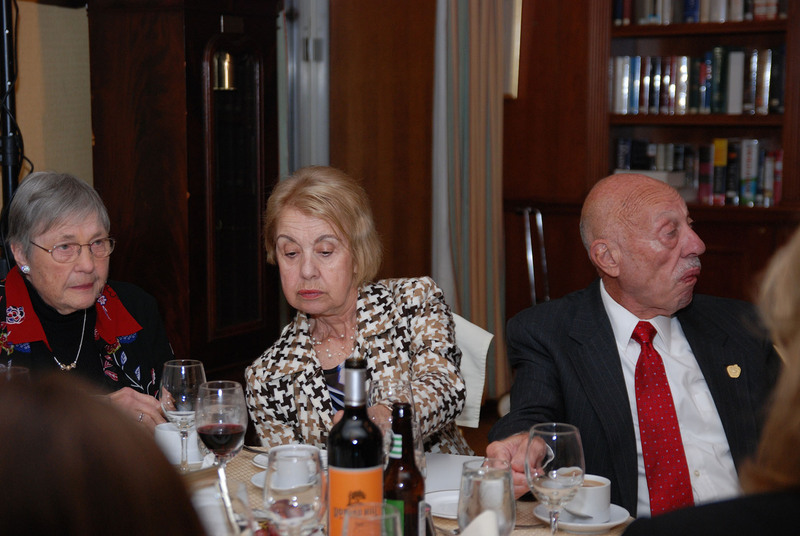 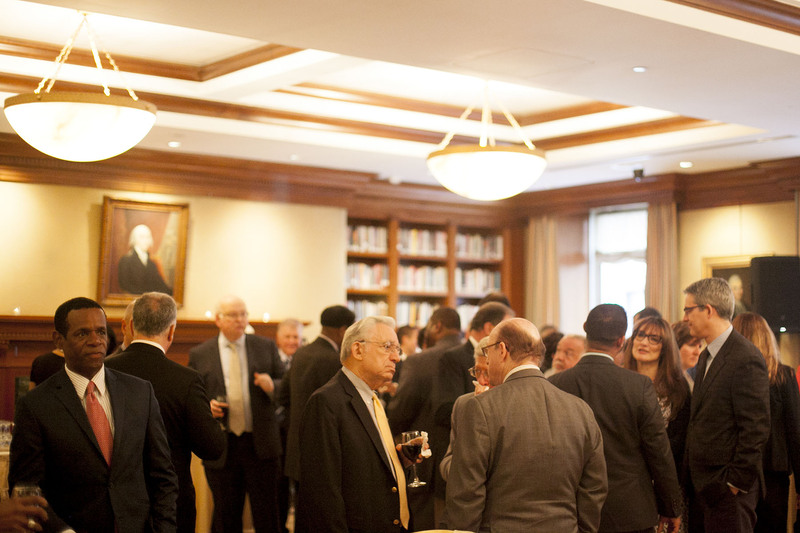 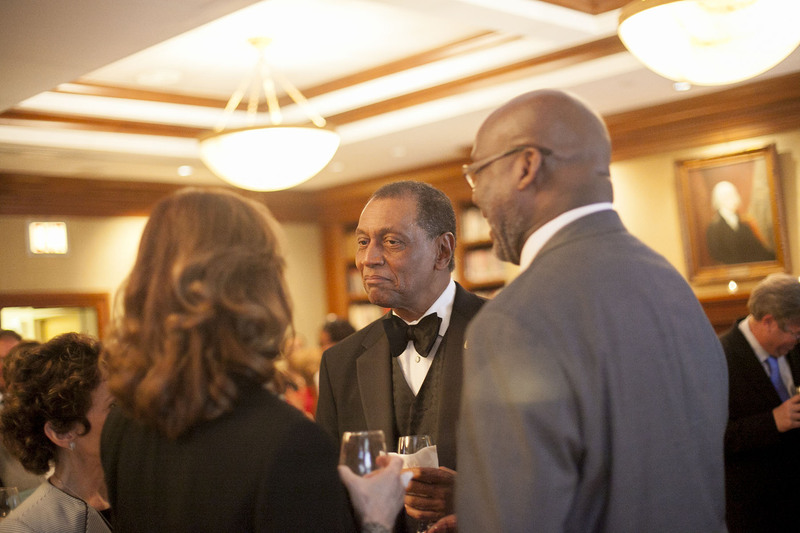 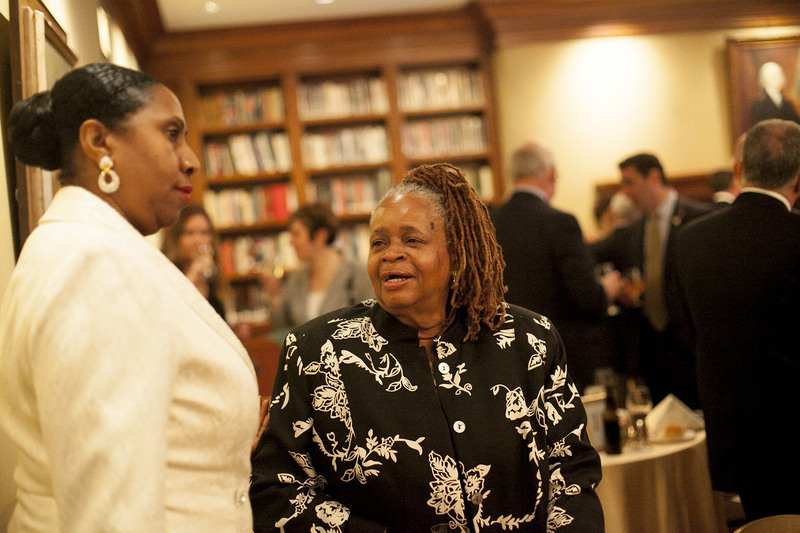 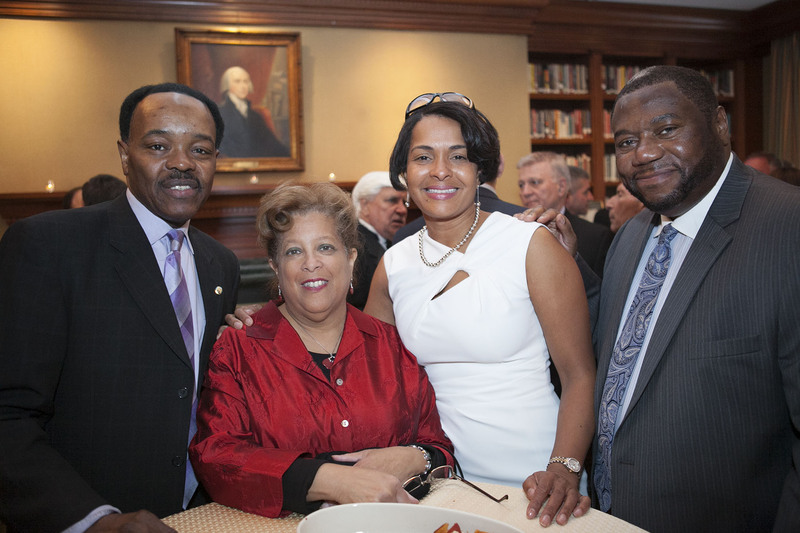 Location: The Princeton Club Thursday May 11, 2017 Guest of Honor: Ernest Logan, President of Council of Schools Supervisors and Administration Four-term CSA President Ernest Logan has worked as a New York City public school teacher, principal, and administrator over the course of his more than forty-year career as an educator. 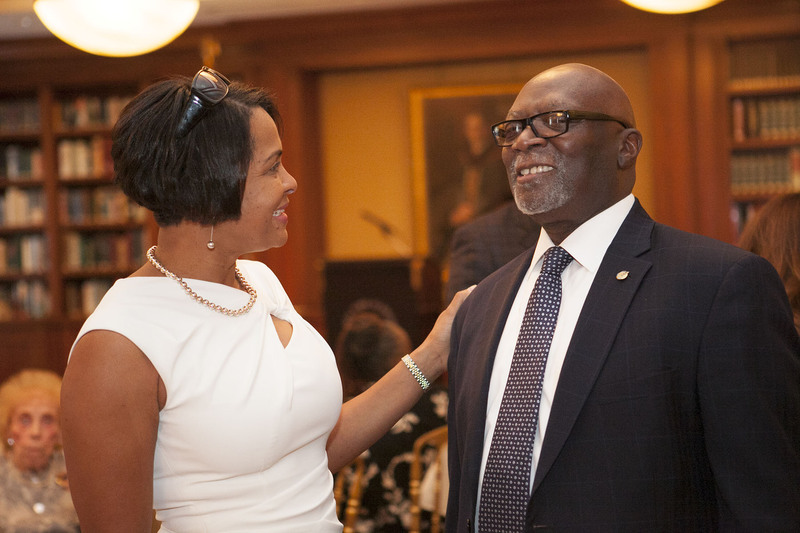 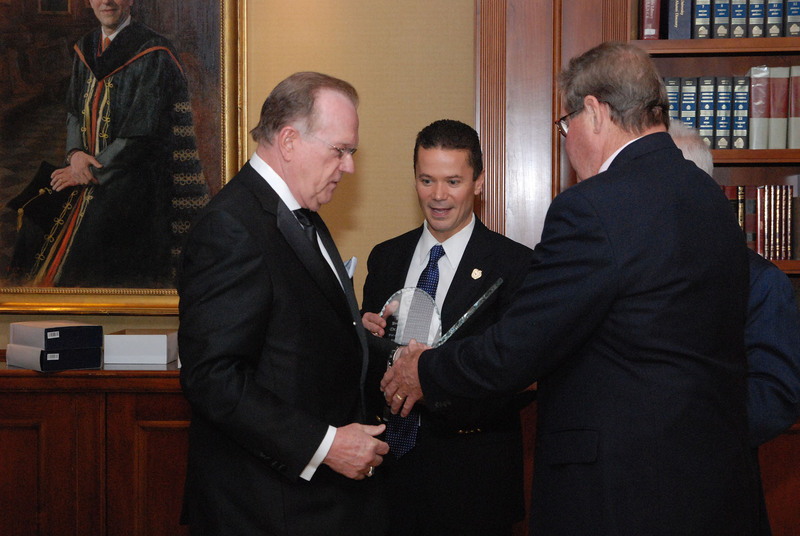 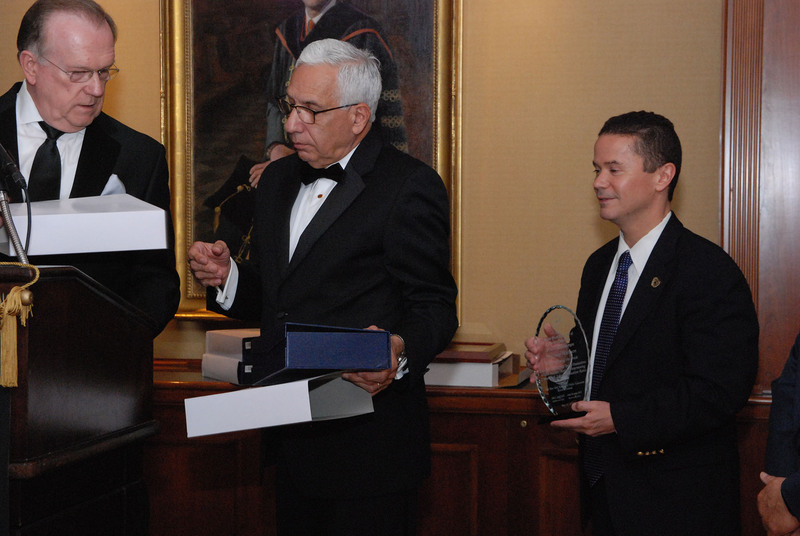 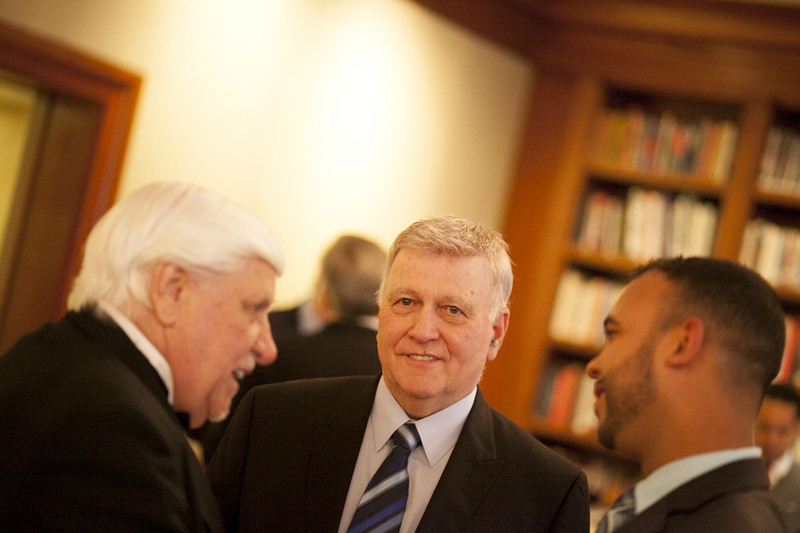 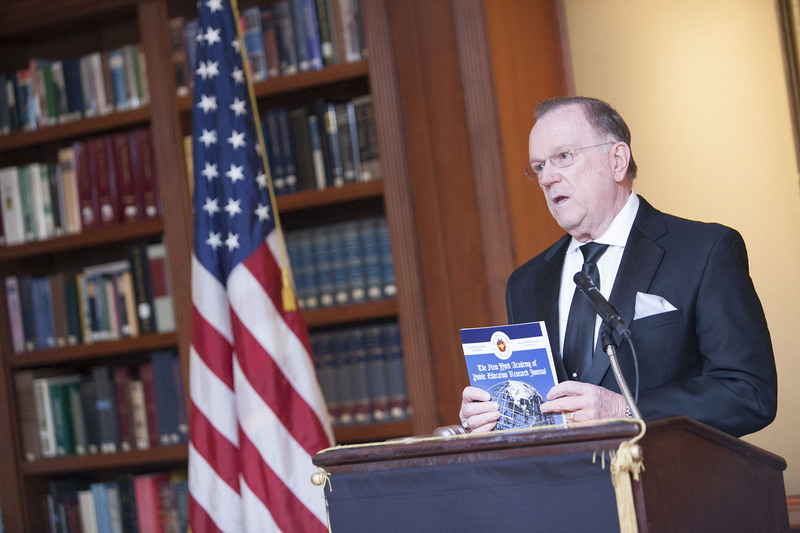 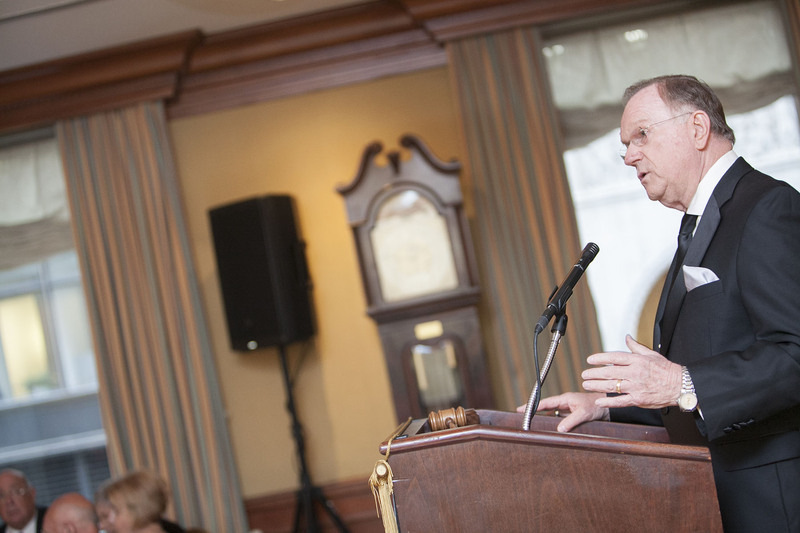 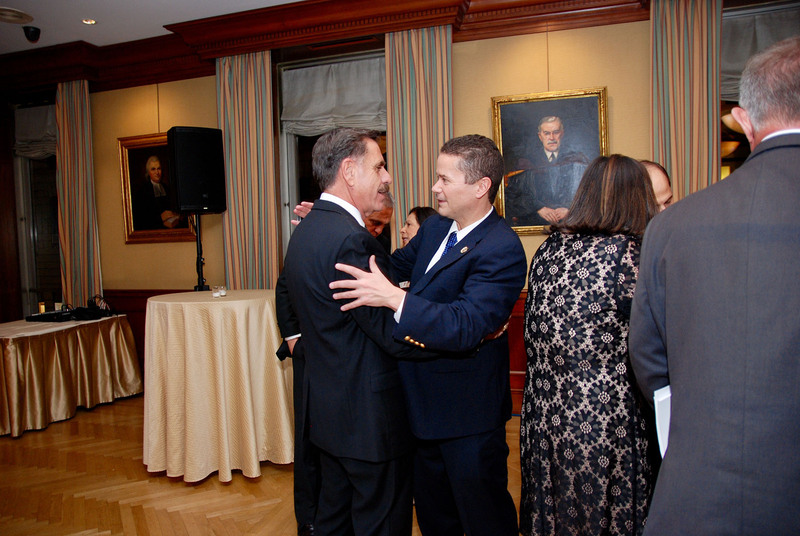 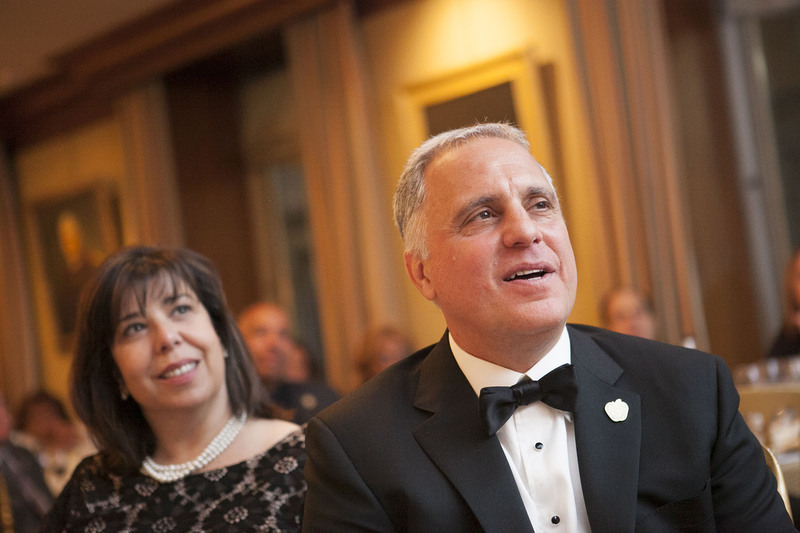 He was elected CSA's 13th President in Nov. 2006 and re-elected in 2009, 2012, and 2016. 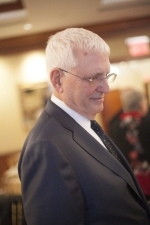 Mr. Logan graduated from Franklin K. Lane High School in 1969 and SUNY Cortland in 1973. 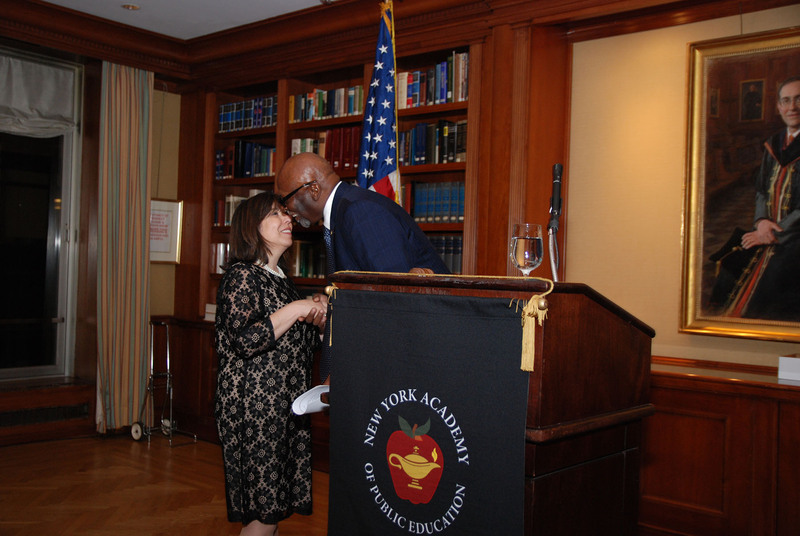 He went on to receive his master’s degree in Education from City University of New York’s Baruch College. 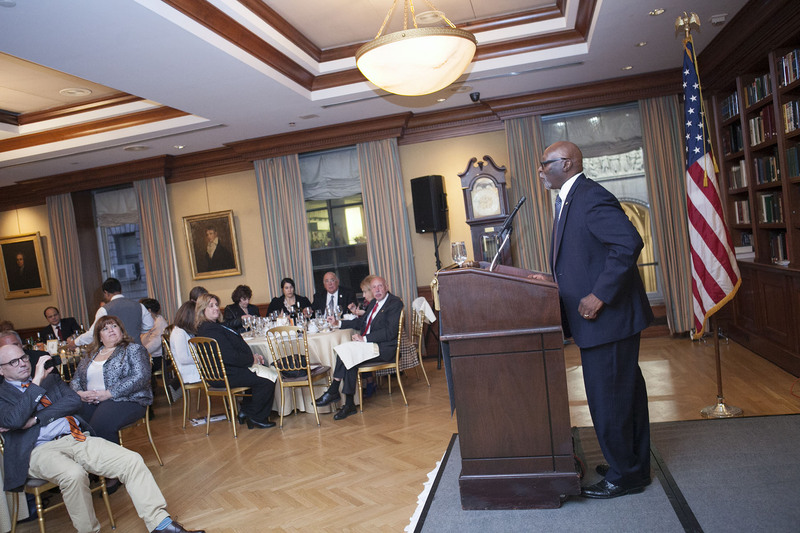 Soon after graduating from SUNY Cortland, Mr. Logan was hired as an English teacher at P.S. 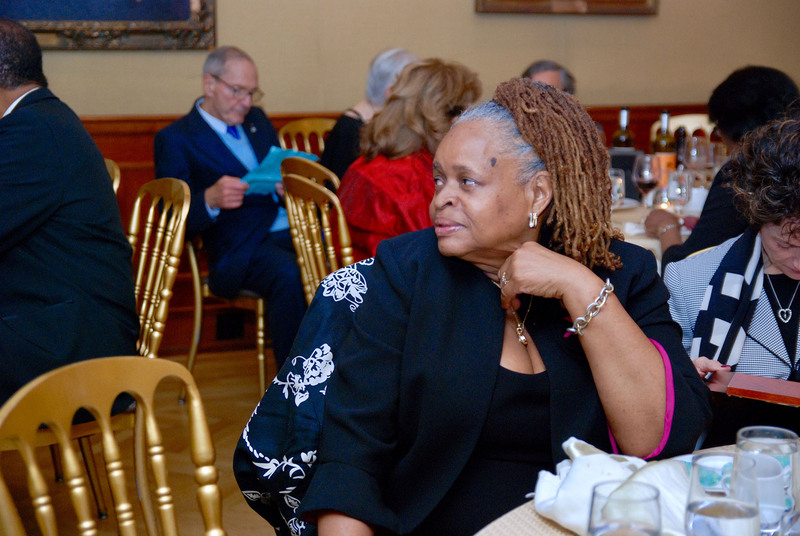 224, Dist-19, in Brooklyn. 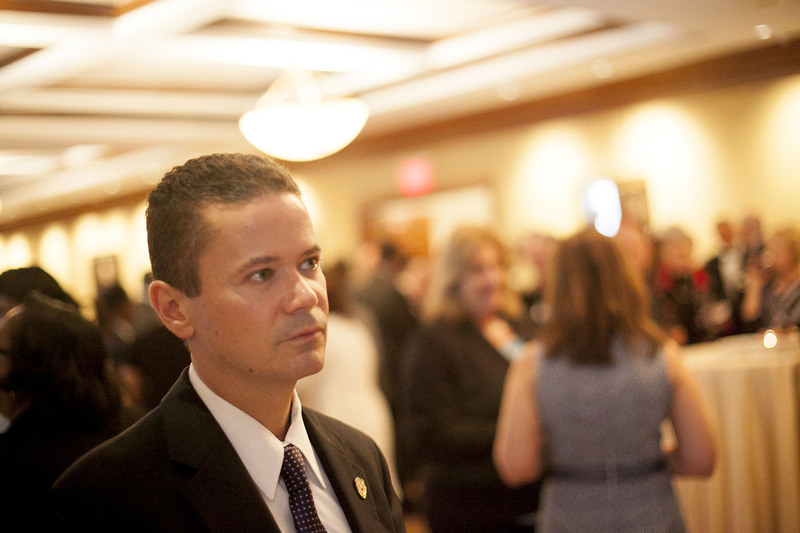 Five years later he was promoted to Curriculum Writer for the Office of Curriculum and Development. 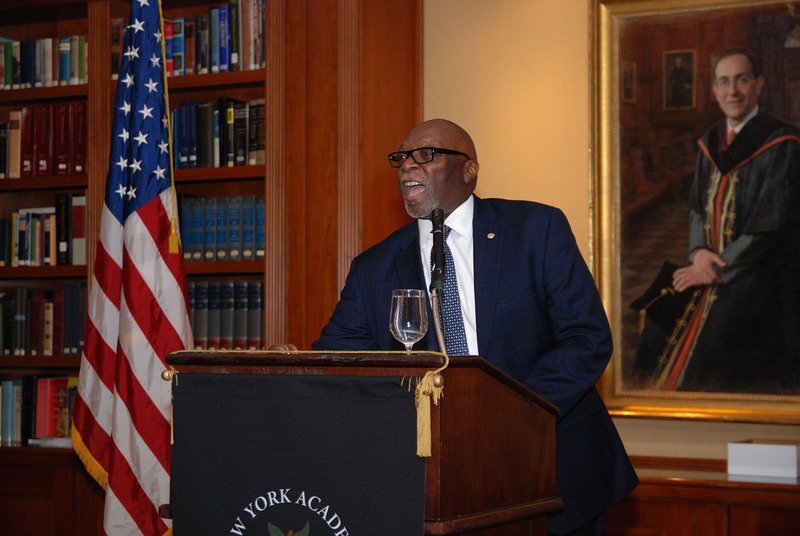 In 1983, Mr. Logan was named Assistant Principal at JHS 263, Dist-23, Brooklyn, and in 1991, was appointed Principal of I.S. 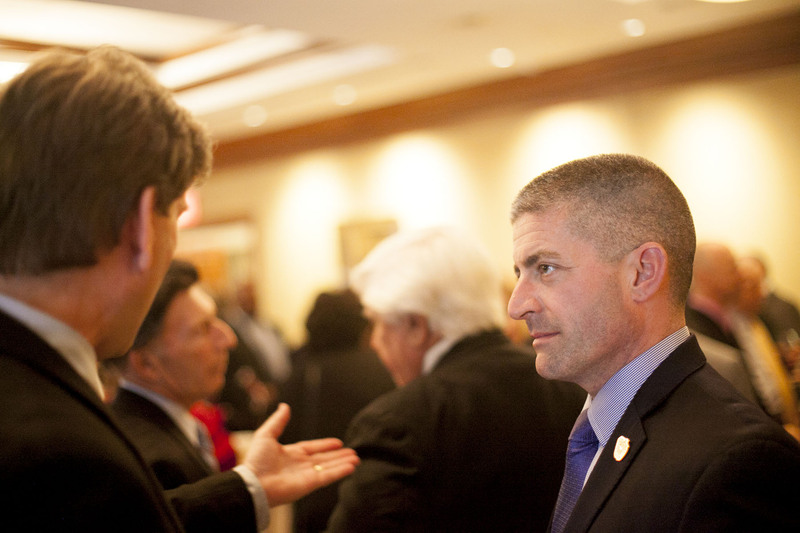 55, also Dist-23. 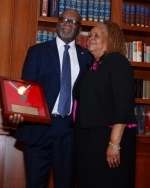 As Principal, Mr. Logan served his CSA colleagues as Dist-23 Chairman from 1993 until Fall 1997, when he took a leave of absence to join the CSA staff as Director of Community School Districts, a position in which he worked in the field protecting his colleagues' legal rights under their union contract. 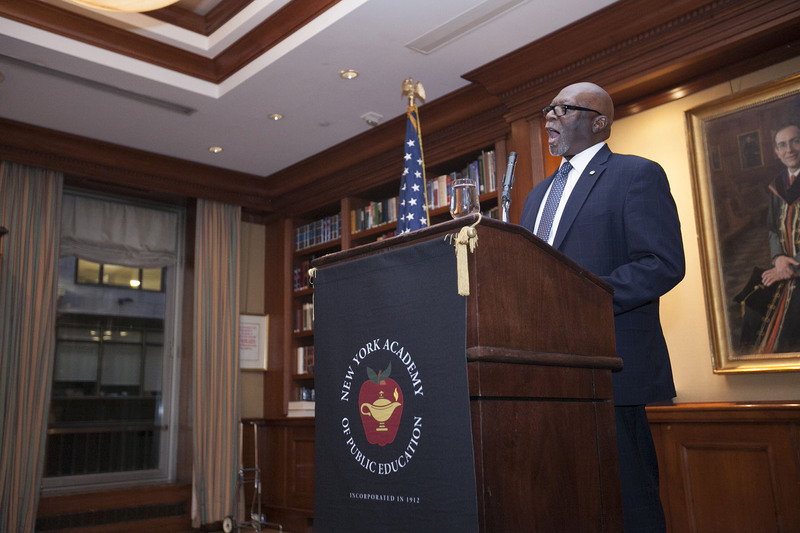 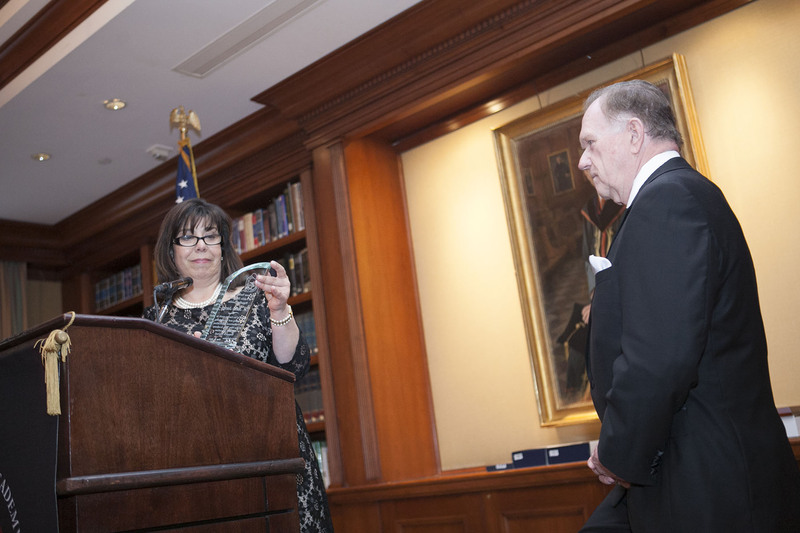 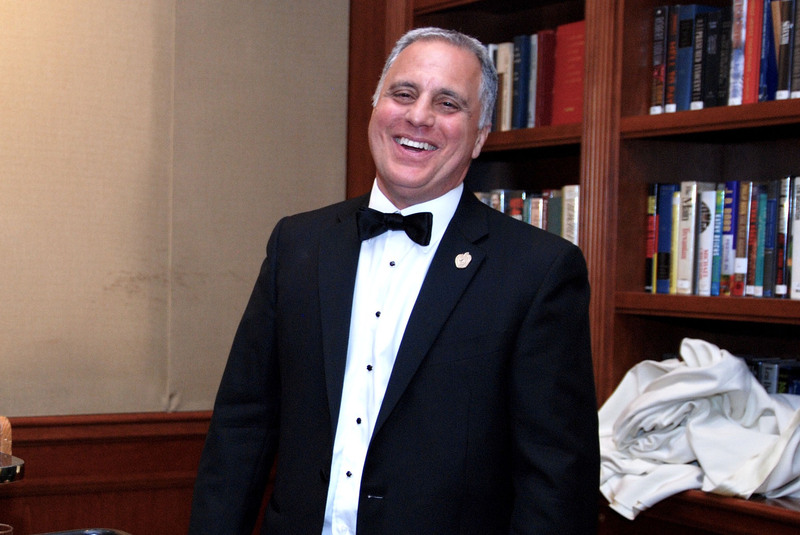 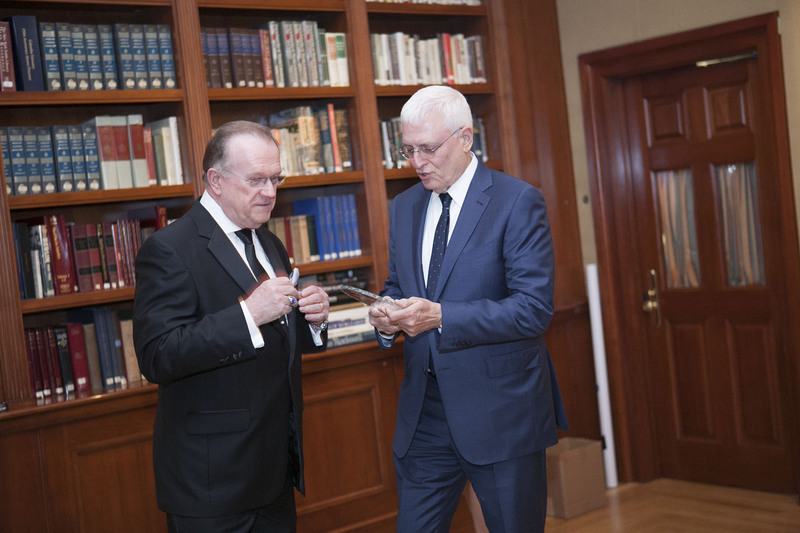 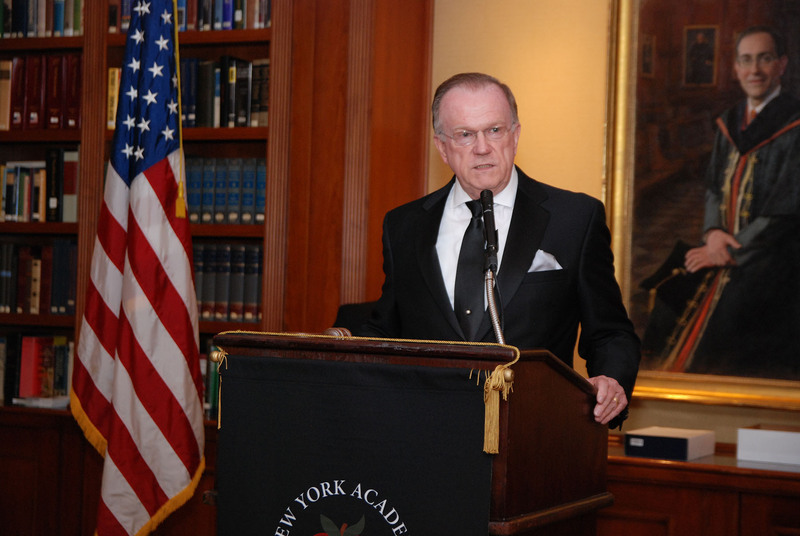 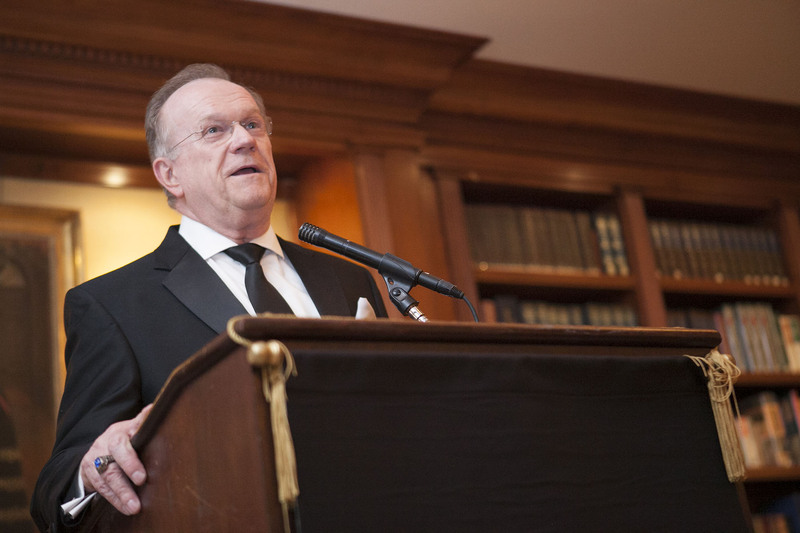 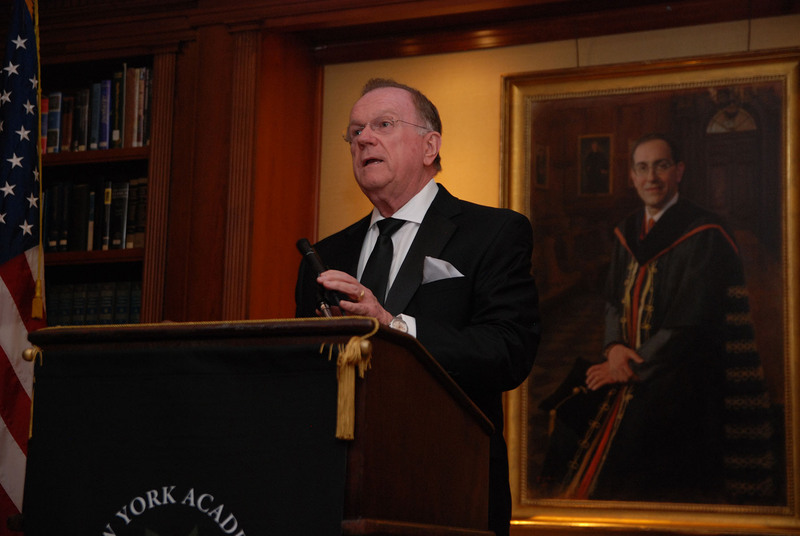 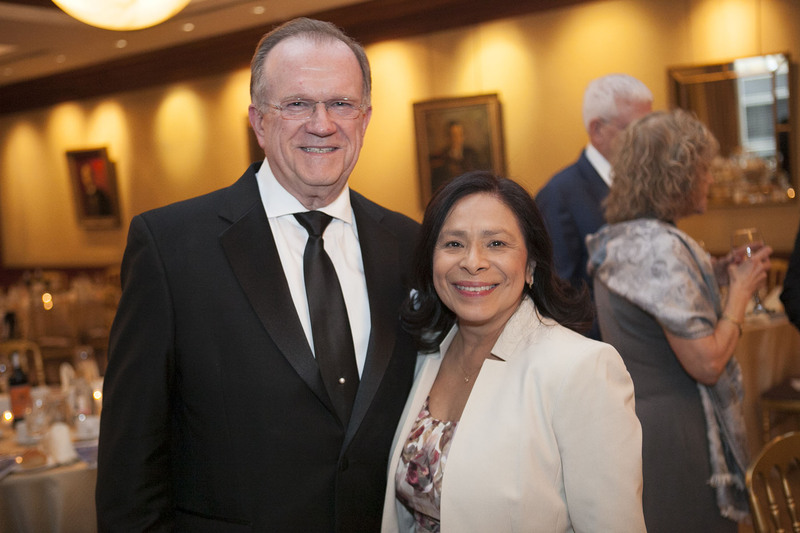 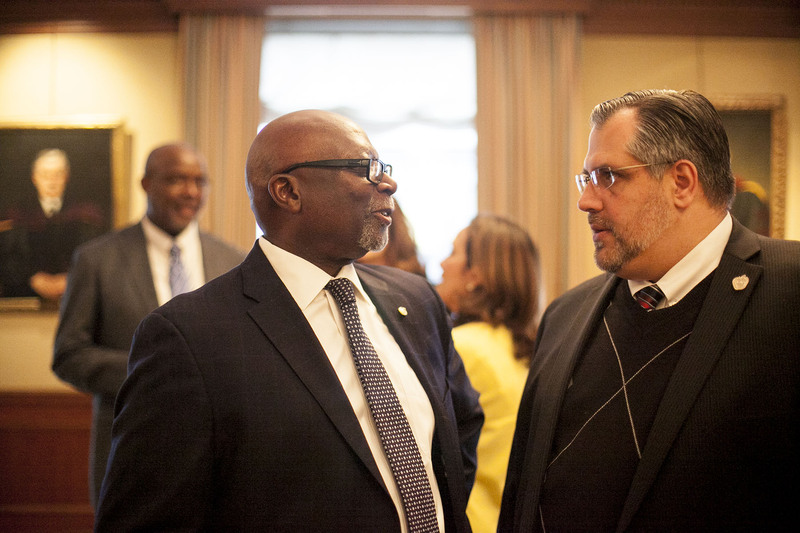 In March 2000, the Executive Board chose Mr. Logan as First Vice President to fill a vacancy created when Donald Singer, then-President of CSA, moved to work full-time at the American Federation of School Administrators (AFSA). 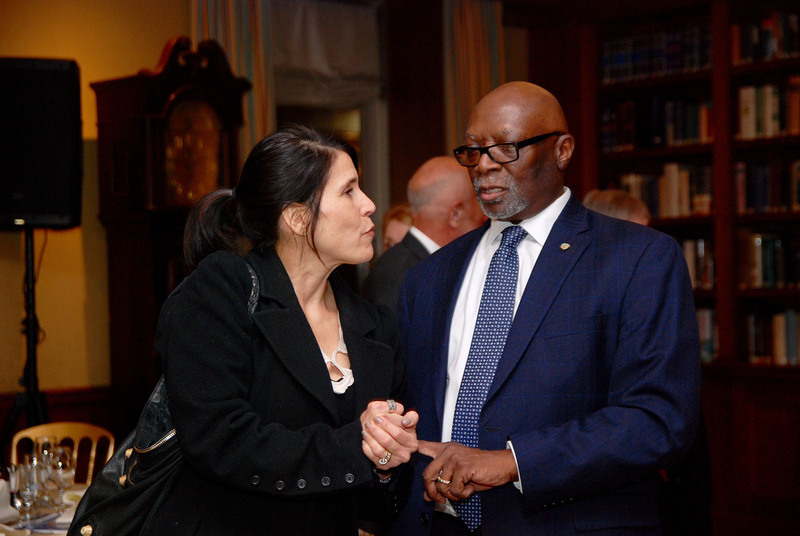 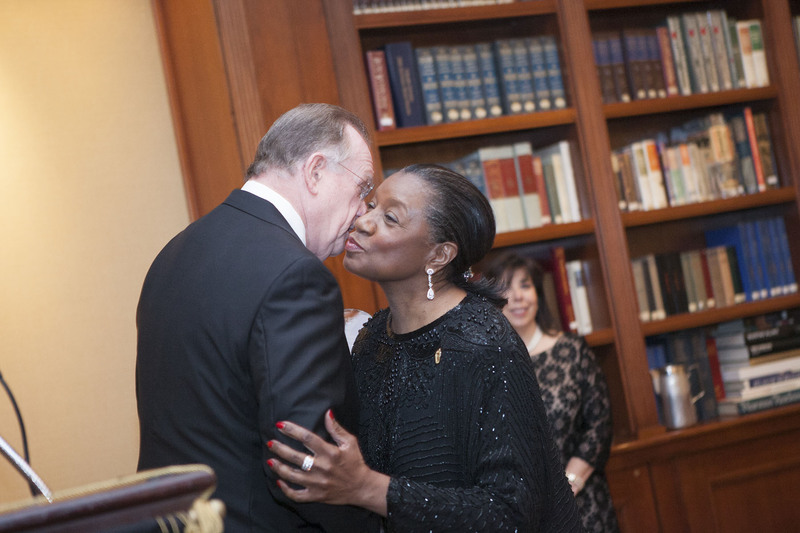 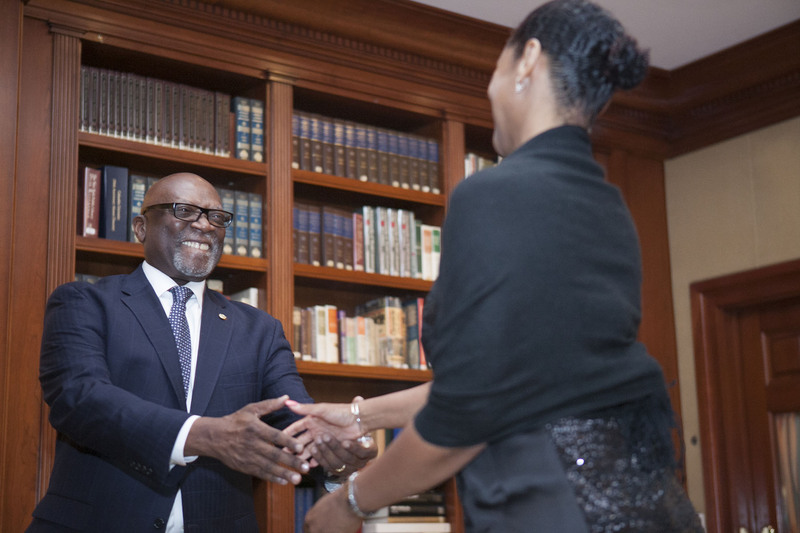 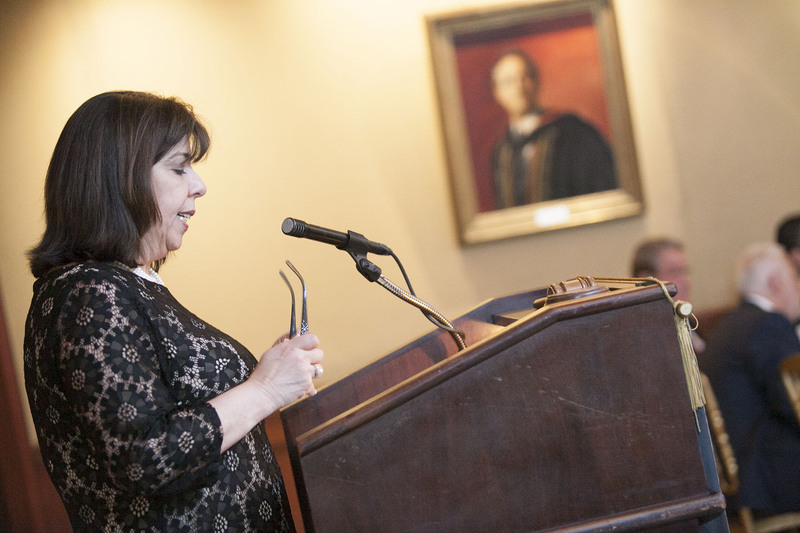 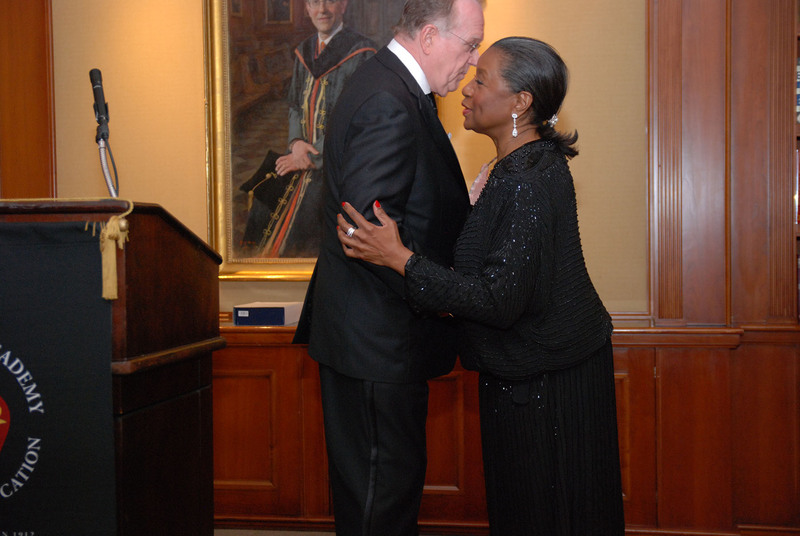 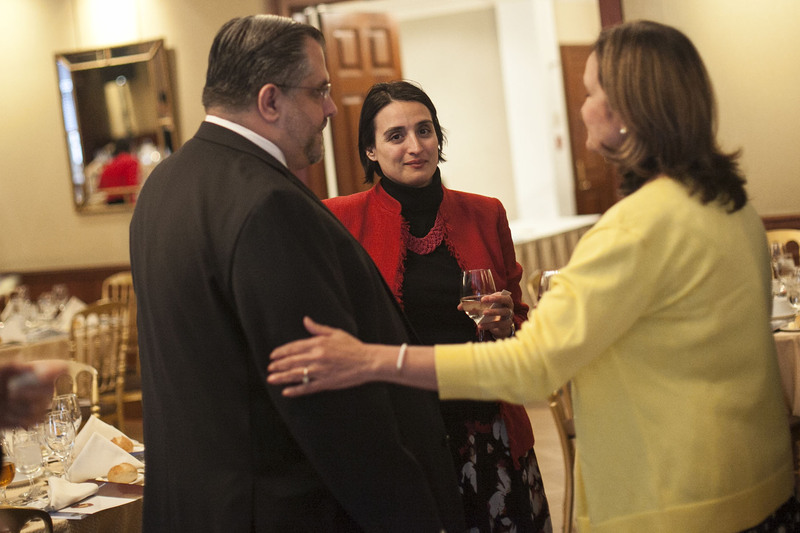 A few months later, running with then CSA President Jill Levy, Mr. Logan was elected Executive Vice President, a position he retained through the 2003 election. 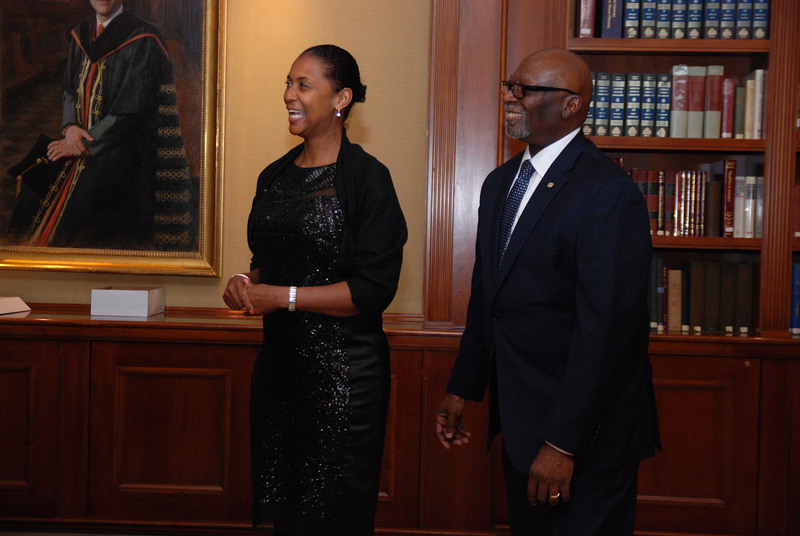 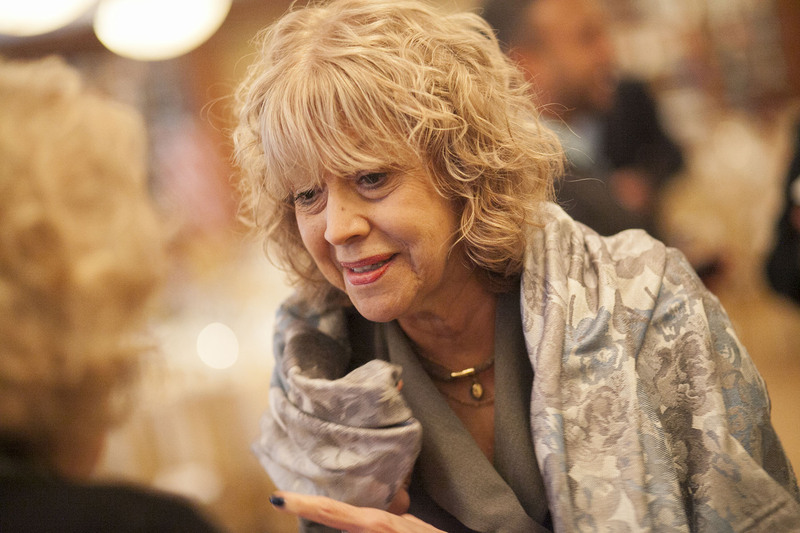 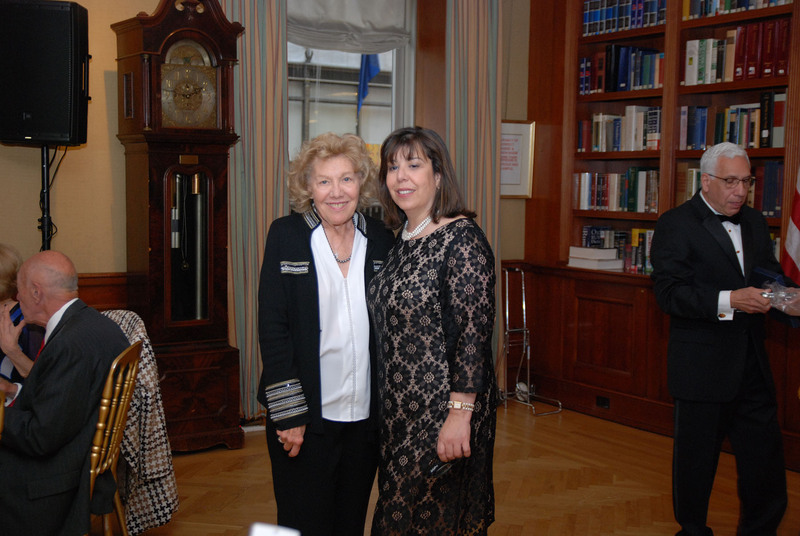 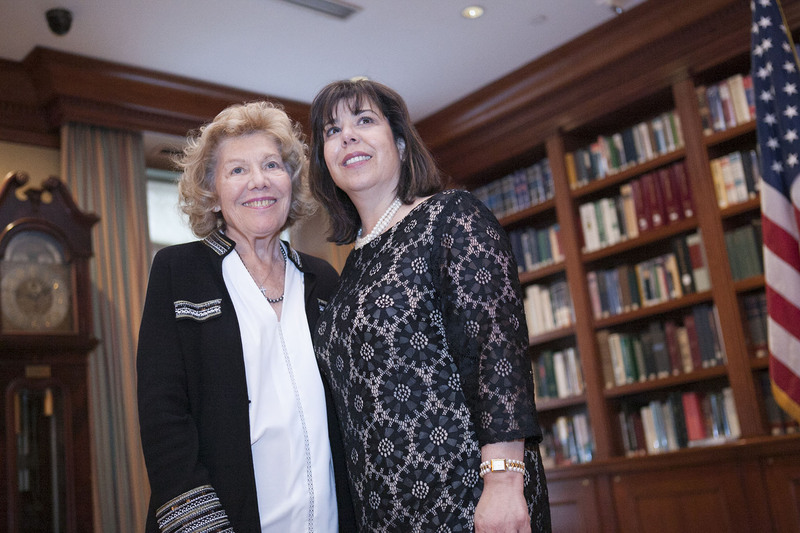 Ms. Levy chose not to run in 2006 and Mr. Logan won the CSA Presidency in an unopposed election. 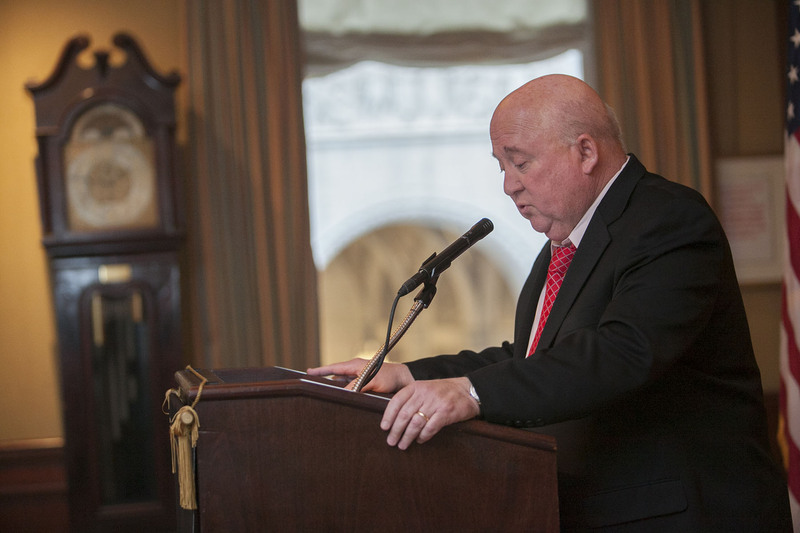 As CSA President, Mr. Logan and his leadership team have negotiated several labor contracts with the Department of Education that have provided substantial salary increases and work improvements, including retroactive pay for new CSA members leaving teaching positions and a career ladder for the union's 760 Education Administrators. 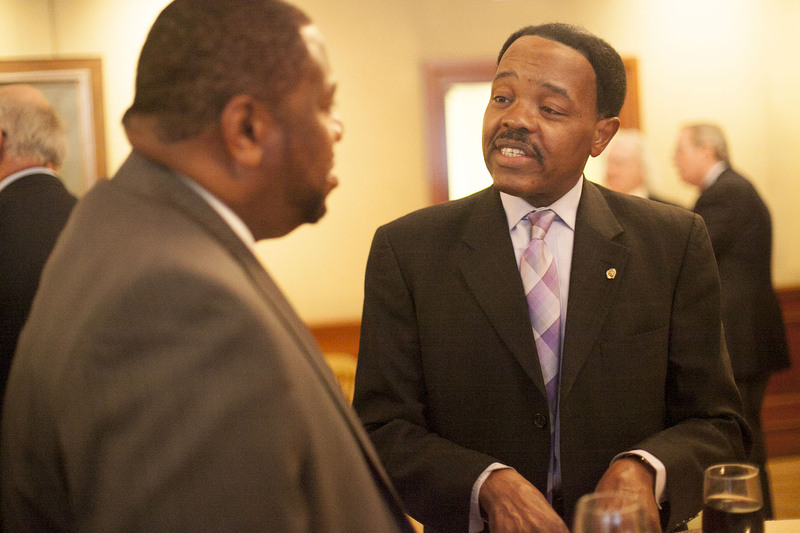 These and other benefits were achieved through Mr. Logan’s steady leadership during often difficult negotiations with the City. 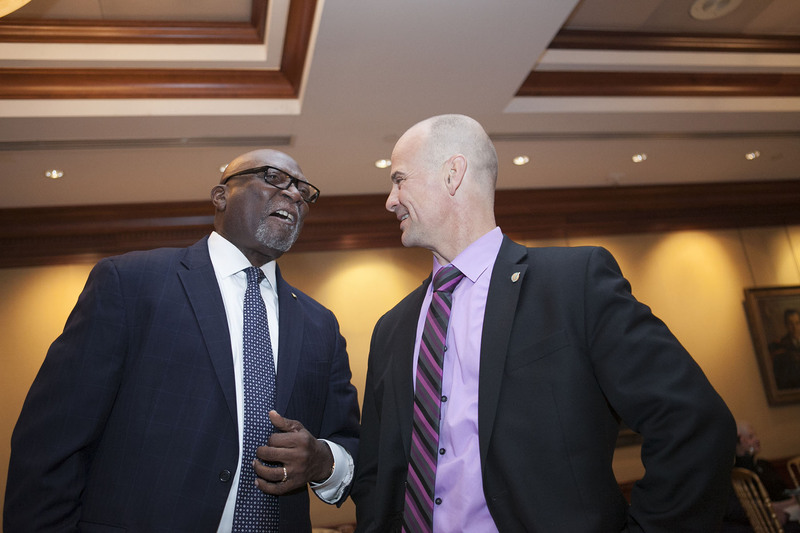 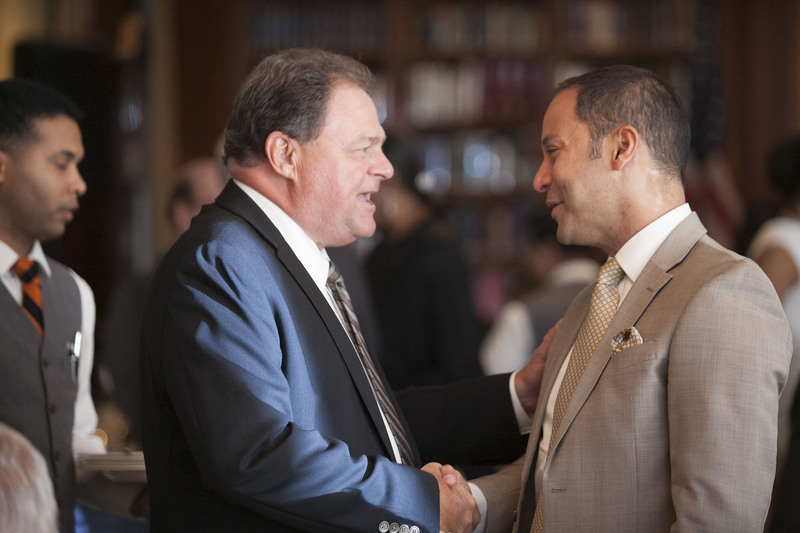 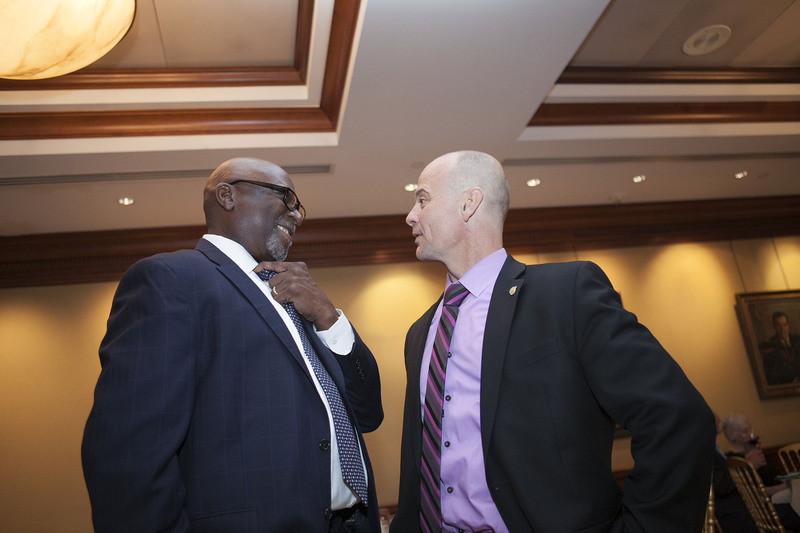 Mr. Logan has forged relationships with city and state officials, and understands the importance of "bridge building" in order to secure legislation, funding, resources and policies that enable CSA members to perform their professional duties. 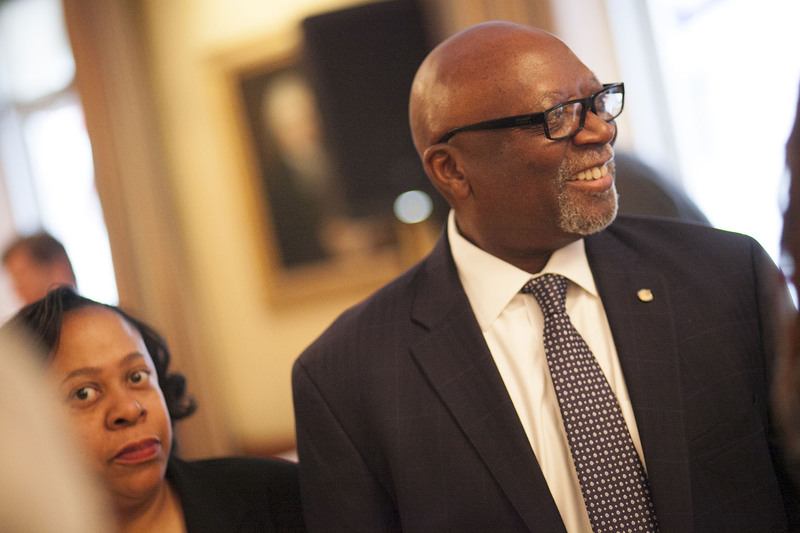 Just as he demands the city live up to its contract, Mr. Logan also believes in high standards and accountability from his members. 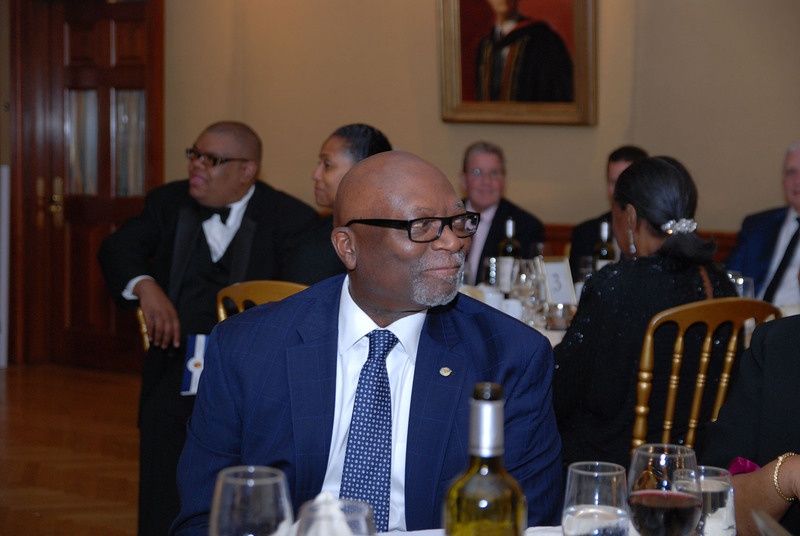 In addition to his responsibilities at CSA, Mr. Logan is Executive VP of AFSA and serves on its General Executive Board. 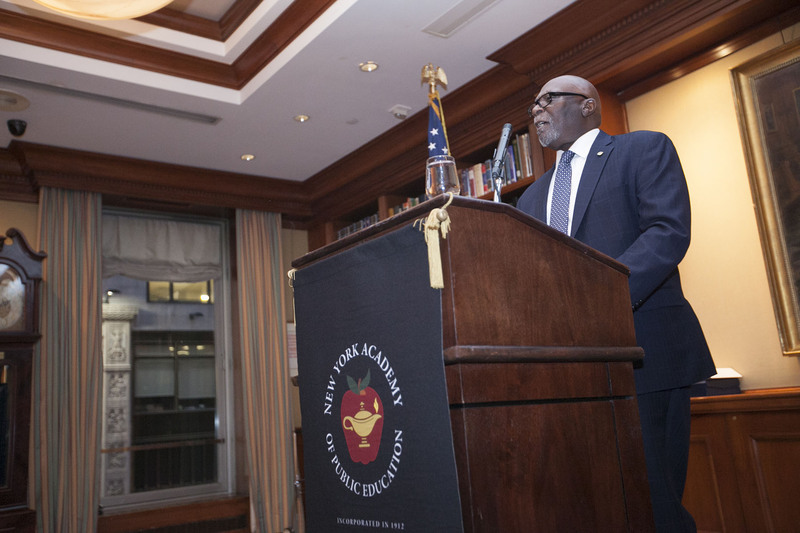 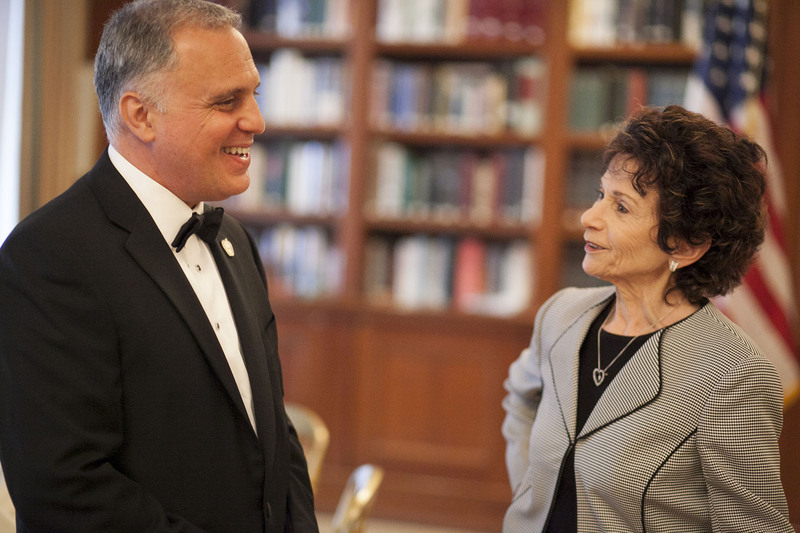 He sits on the Board of Directors for the New Visions for Public Schools, The SUNY-Cortland Foundation, the NY Research Alliance, and on the NYC Independent Budget Office Advisory Board. 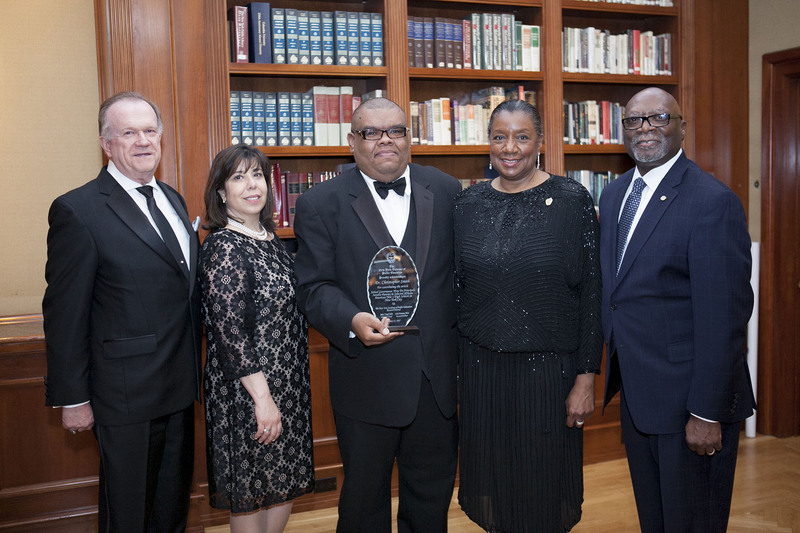 Mr. Logan belongs to numerous organizations including St. John's University's Phi Delta Kappa chapter, the NY Alliance of Black School Educators, the National Association of Secondary School Principals, the NY Academy of Public Education, and 100 Black Men. 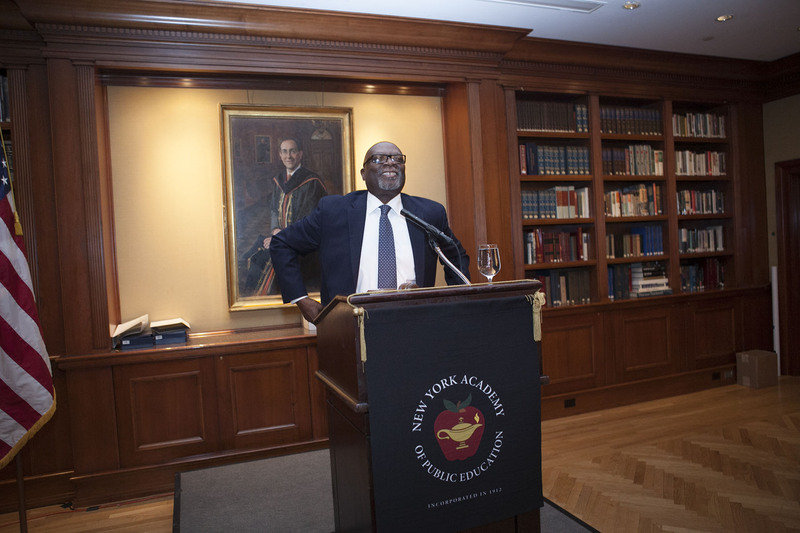 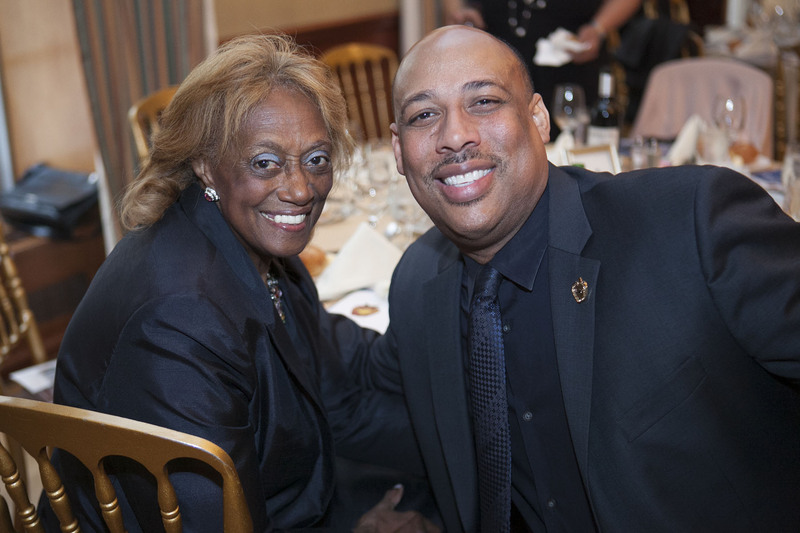 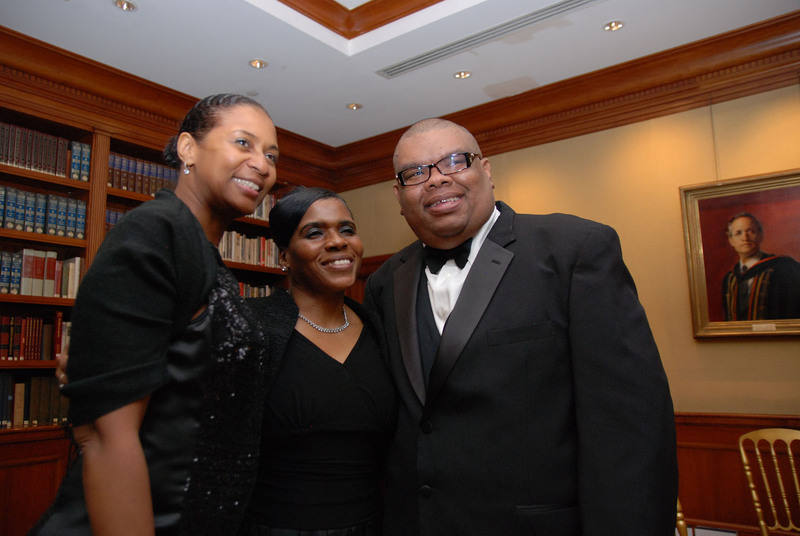 He is a life member of the Association of Black Educators of NY. 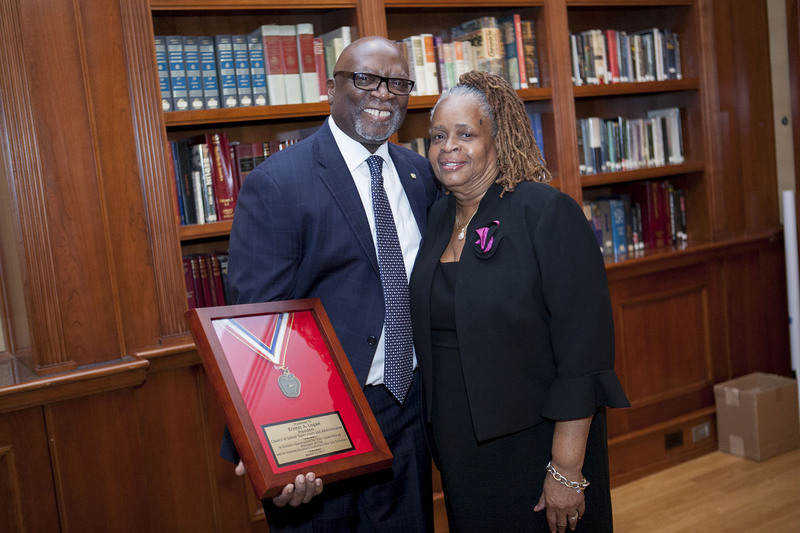 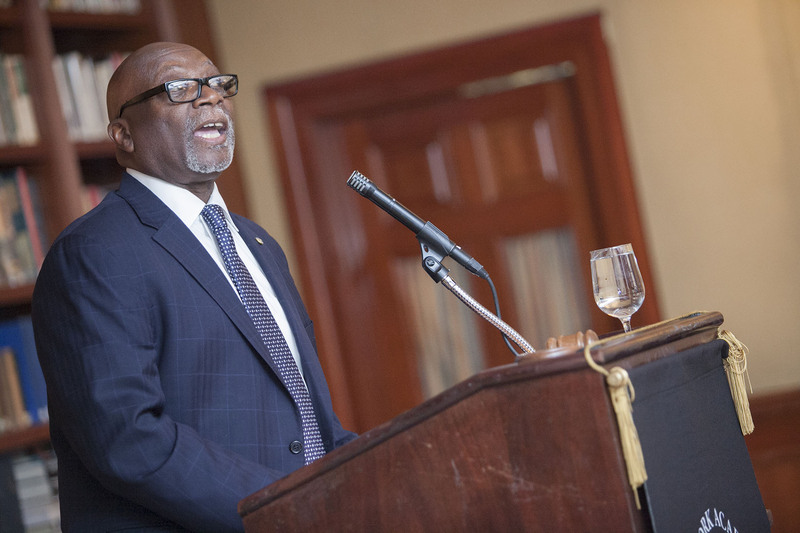 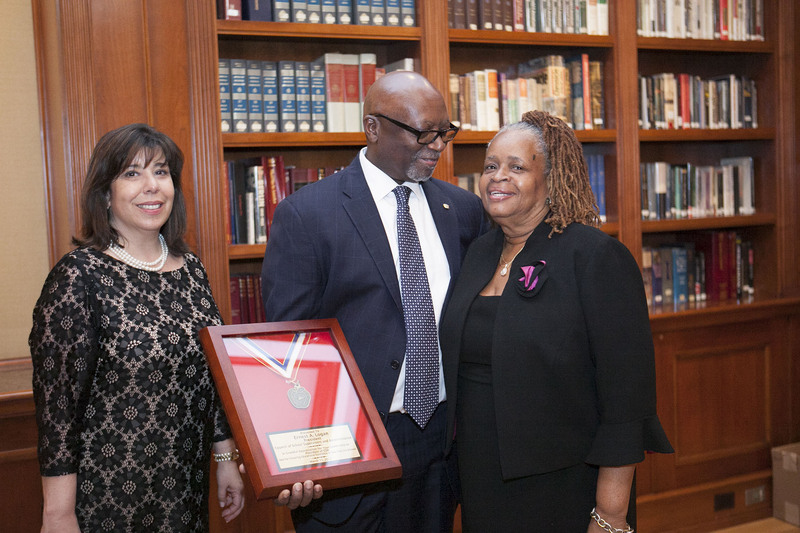 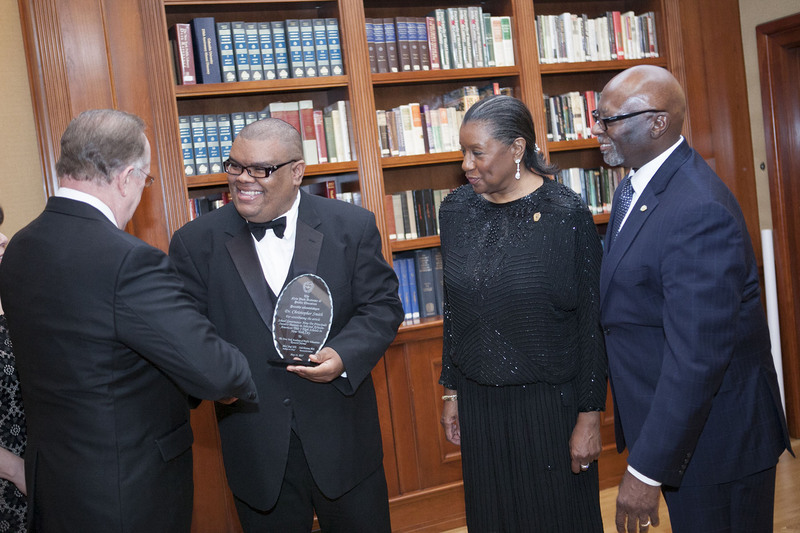 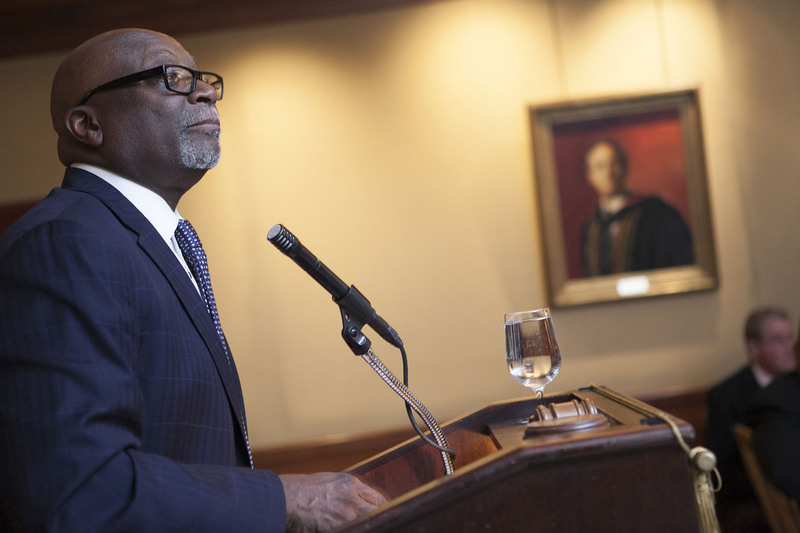 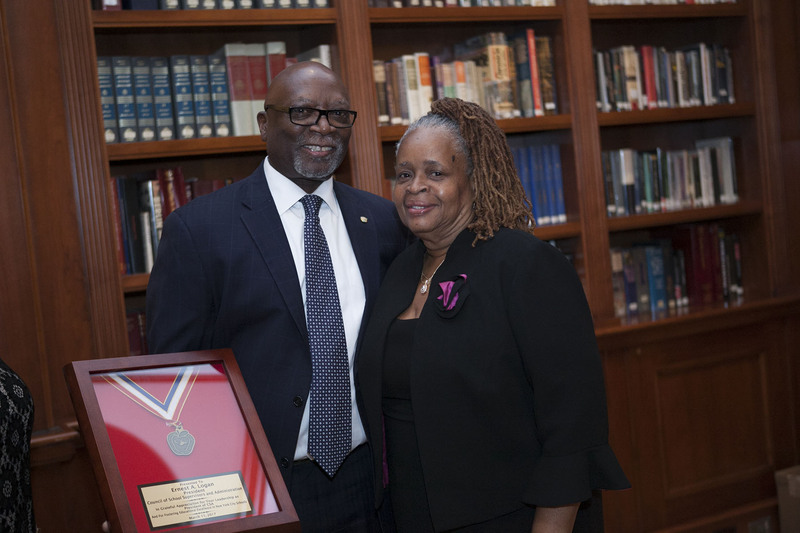 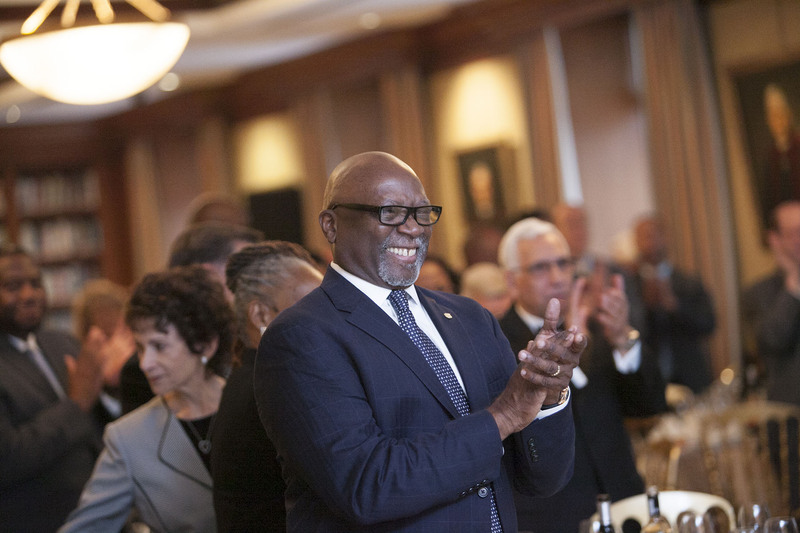 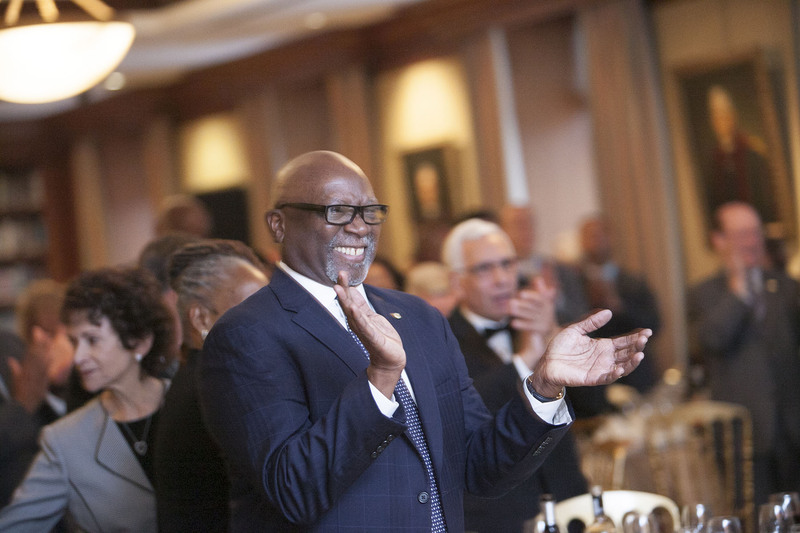 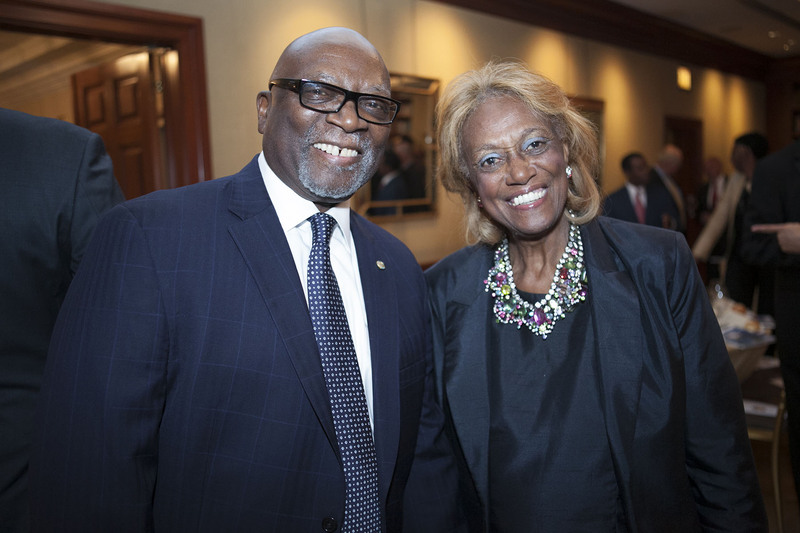 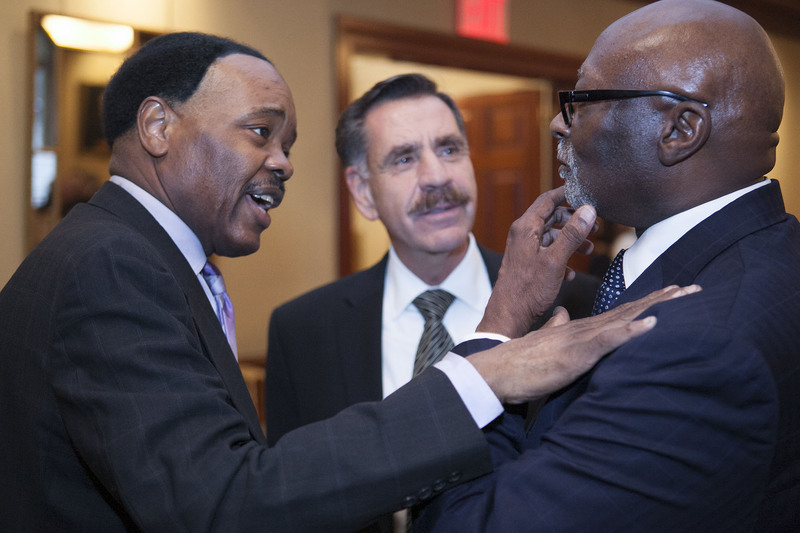 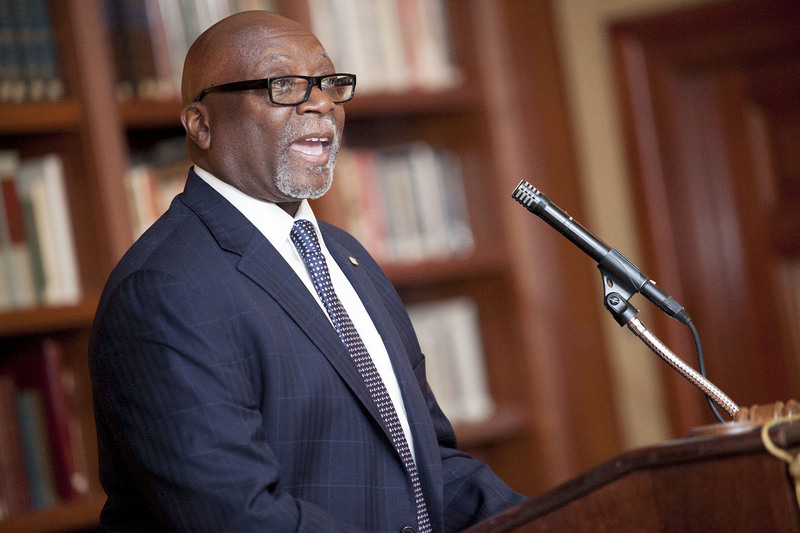 He has served on the board of the Brownsville Community Development Corporation and is a Deacon and Trustee of Harlem’s Mount Calvary Baptist Church, the church he has attended for most of his life. 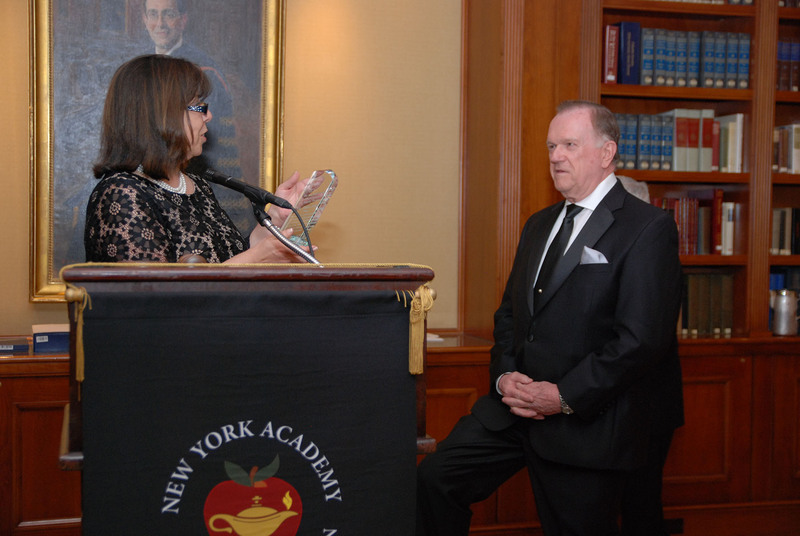 Mr. Logan has received numerous awards, including City & State Magazine’s 2016 Lifetime Achievement Award and the 2015 Distinguished Leader in Education award from Education Update. 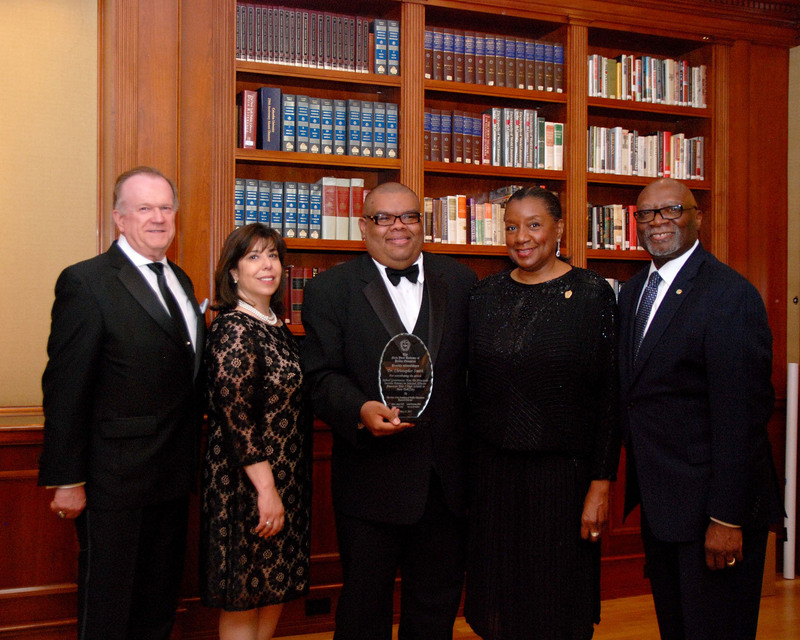 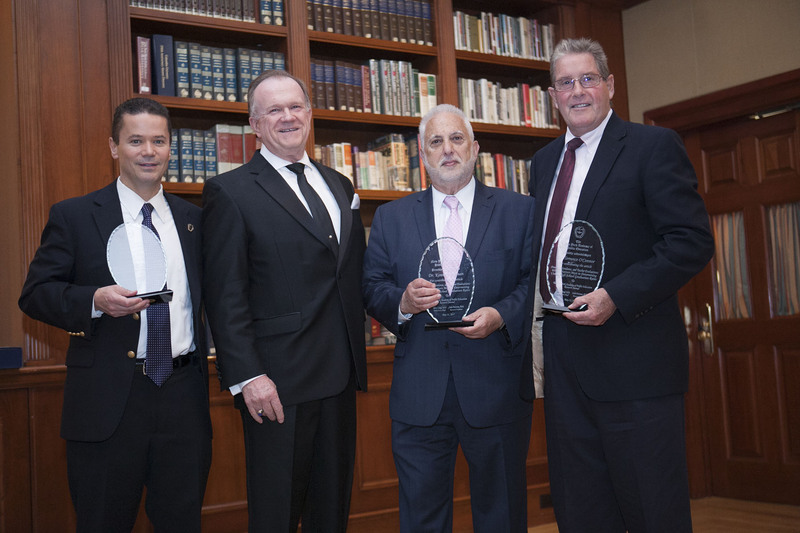 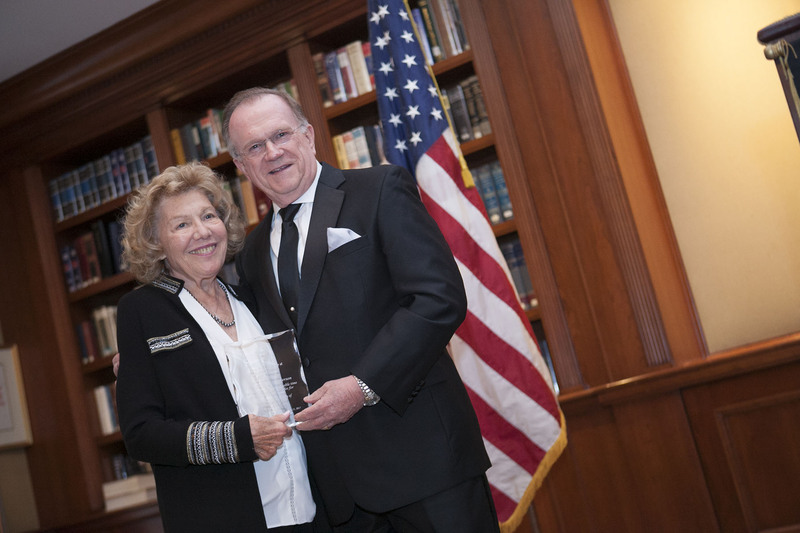 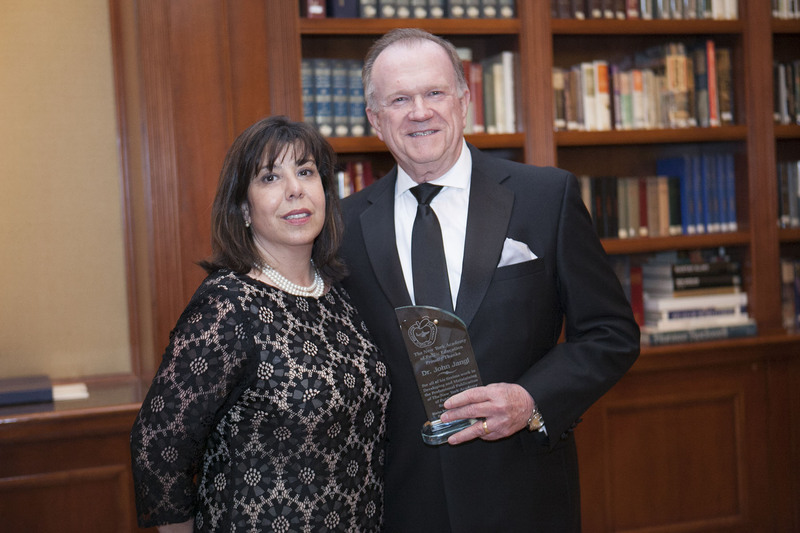 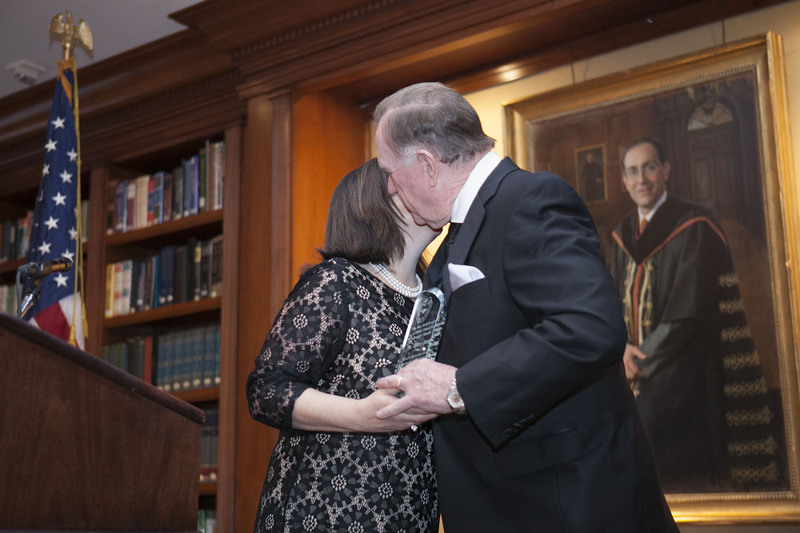 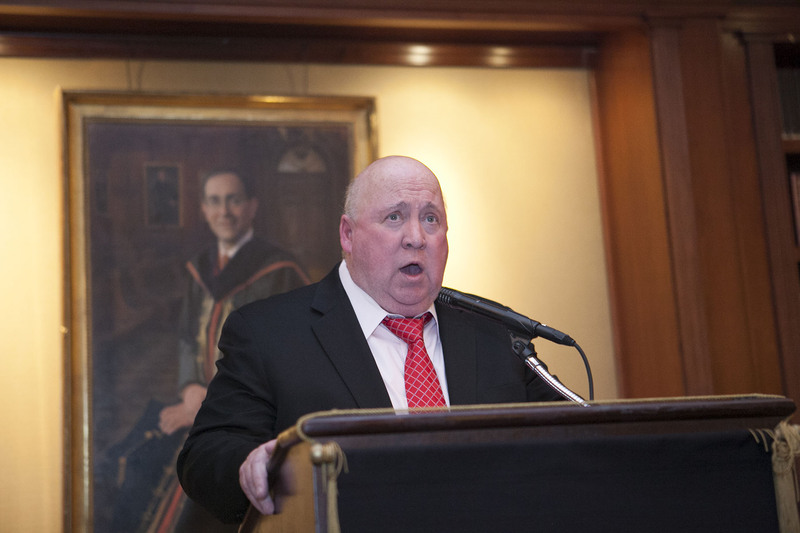 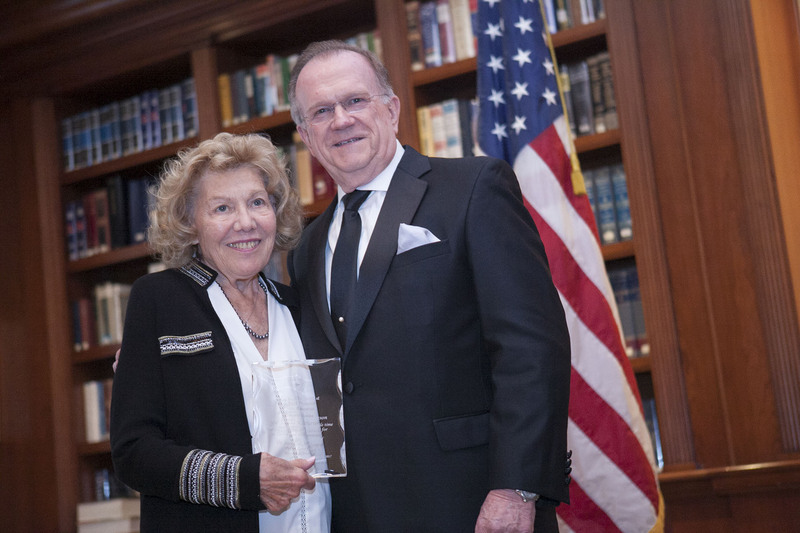 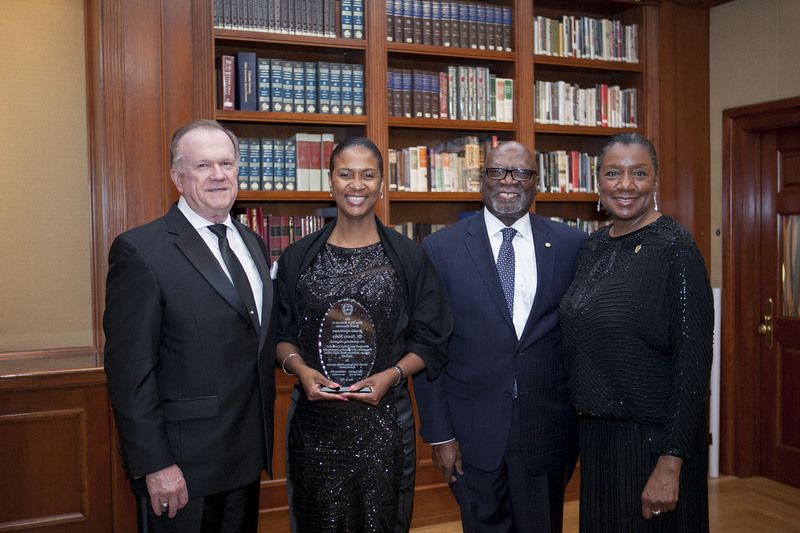 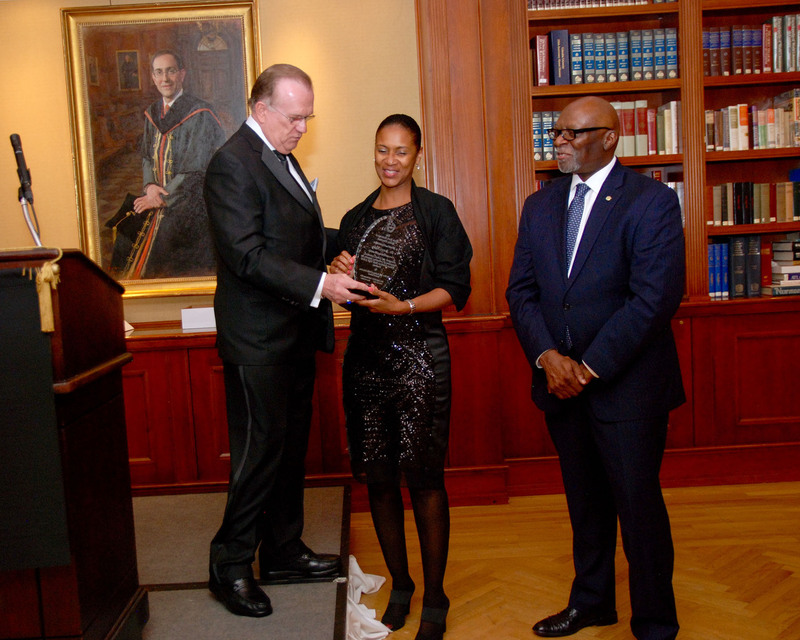 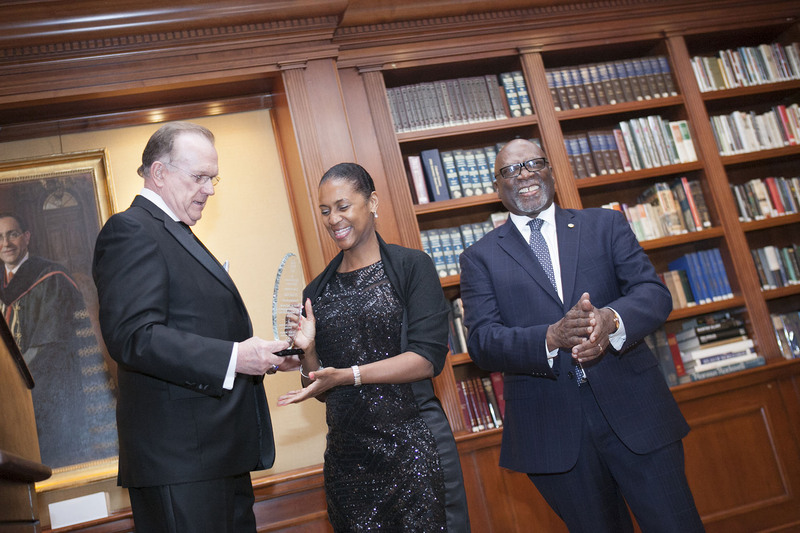 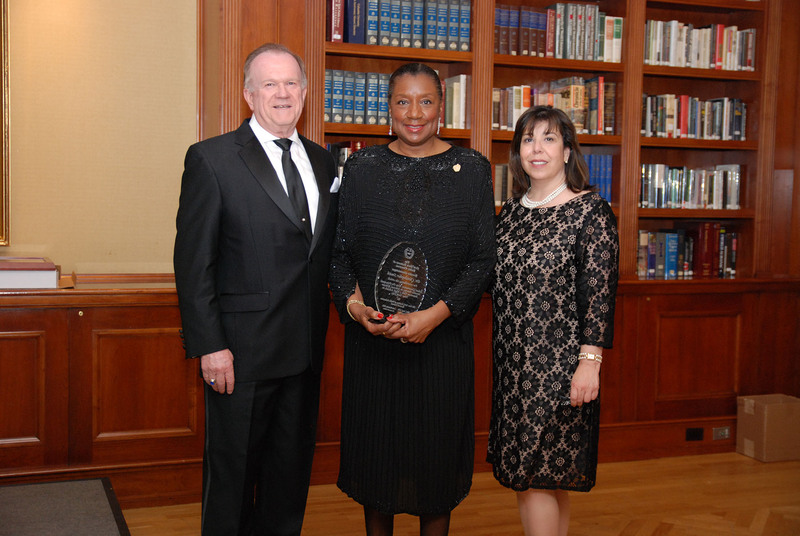 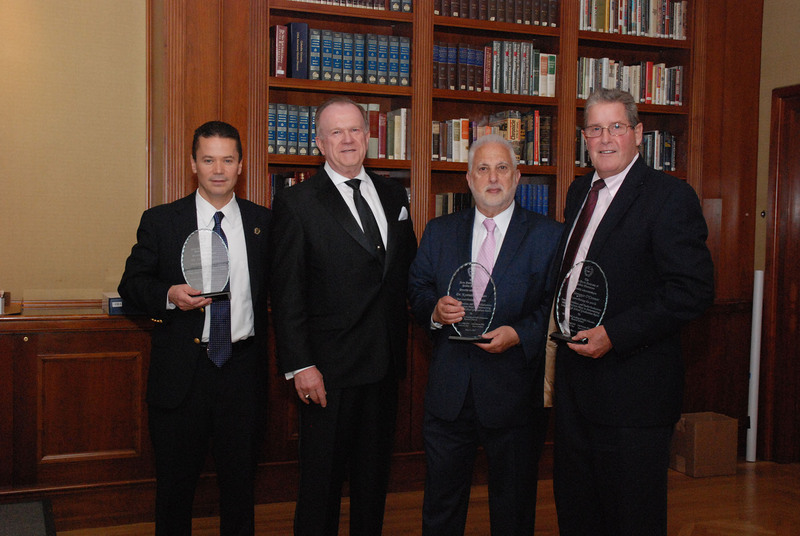 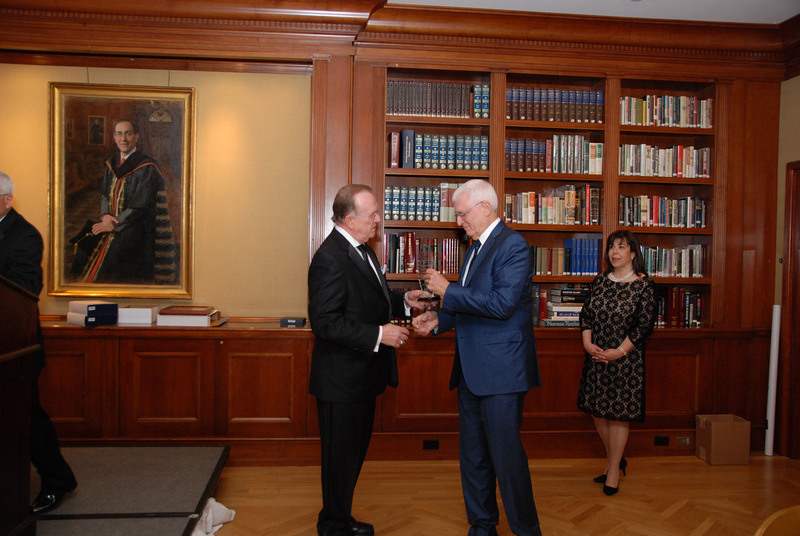 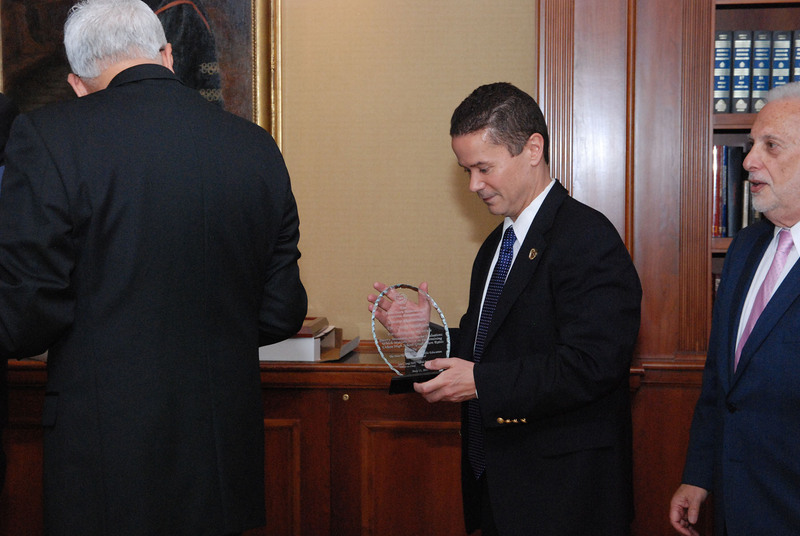 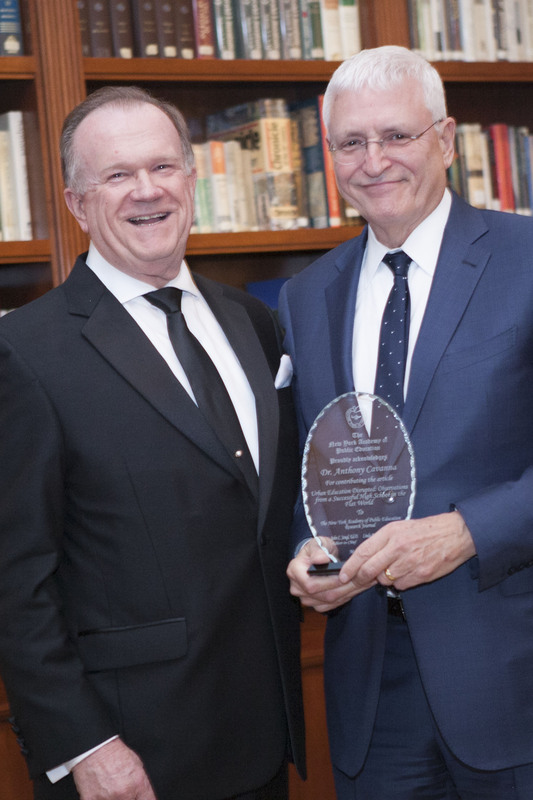 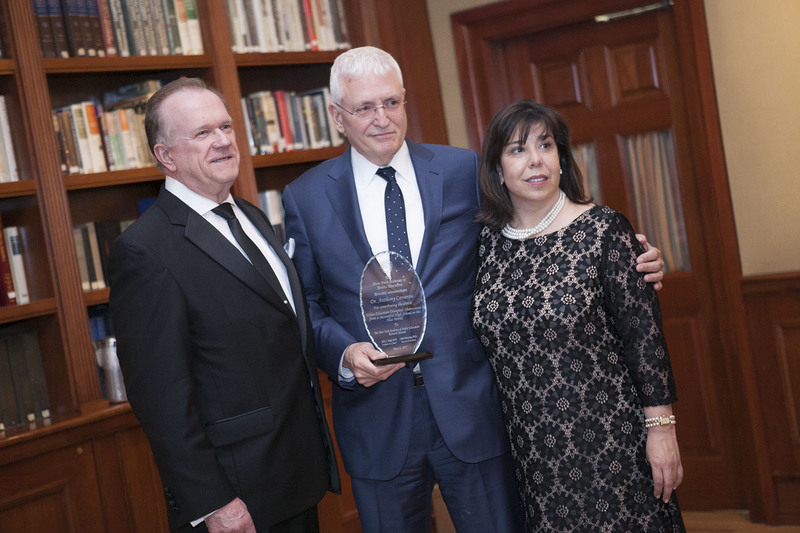 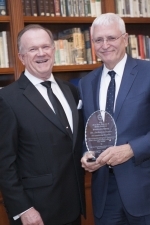 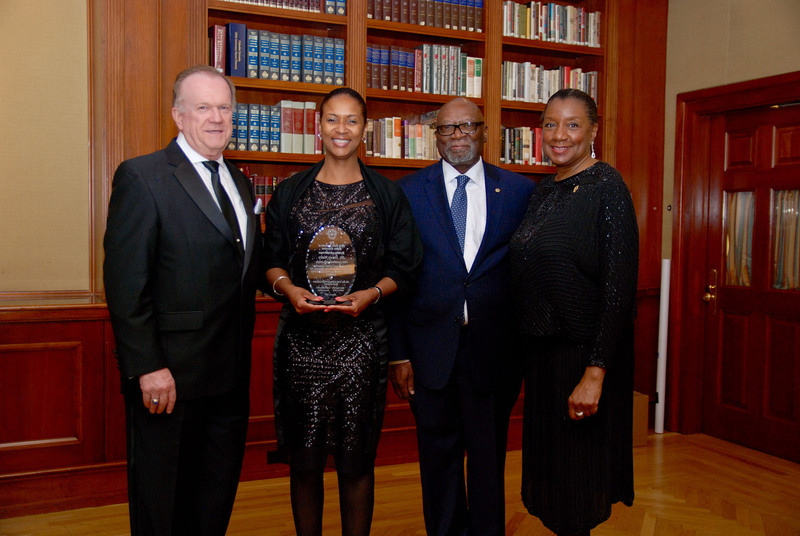 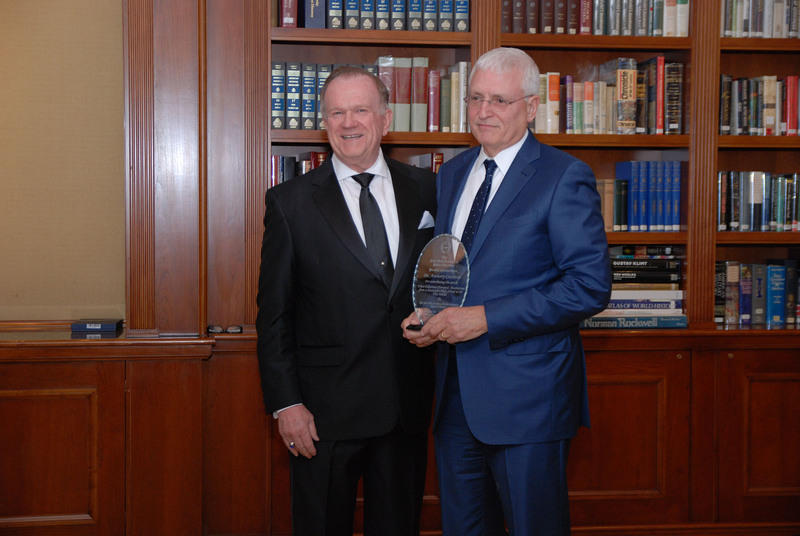 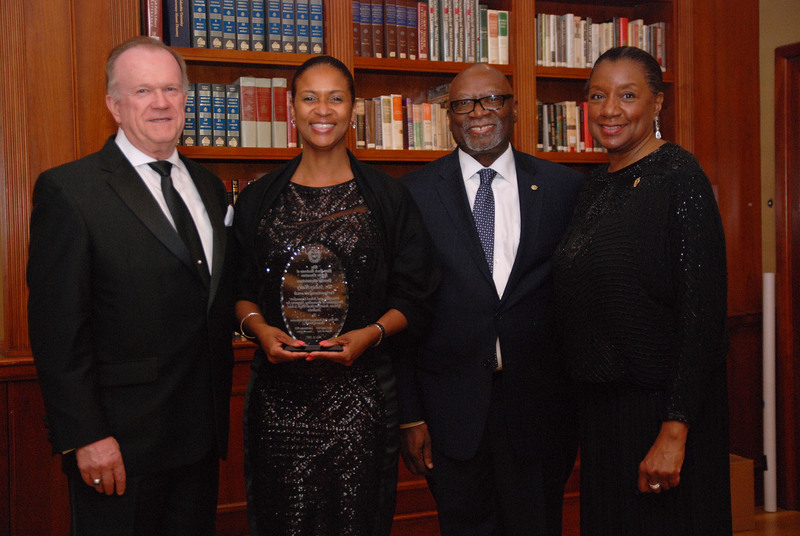 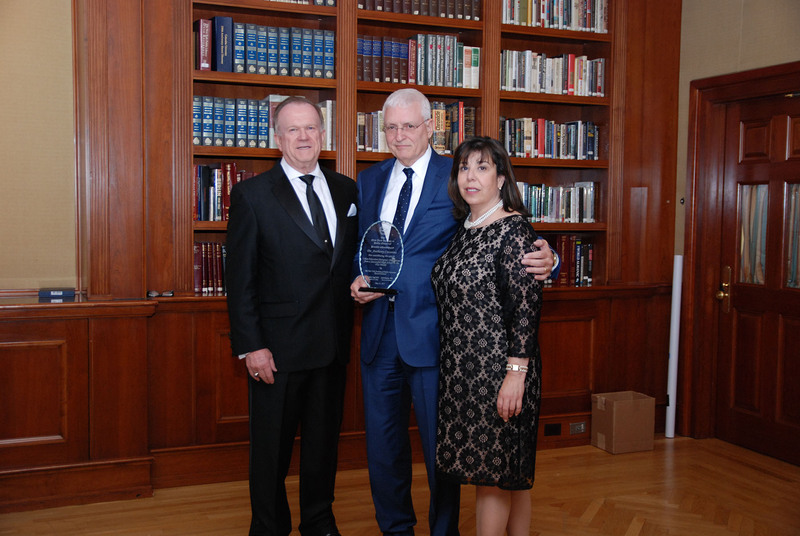 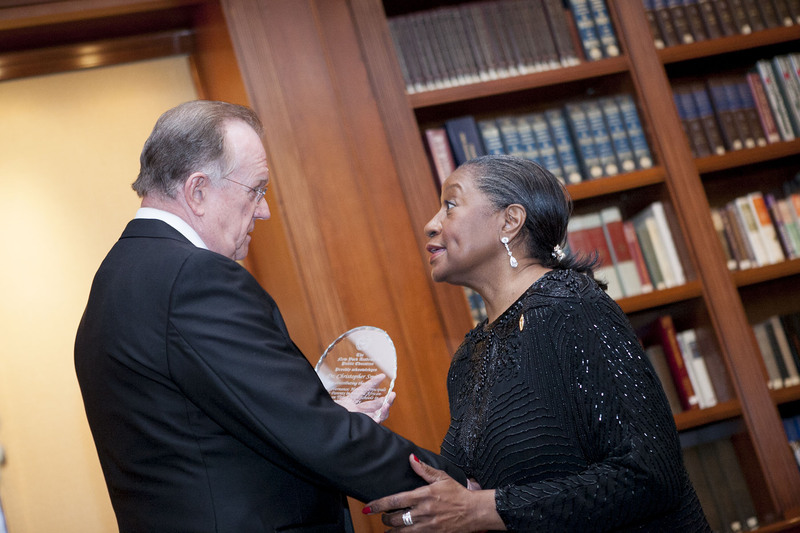 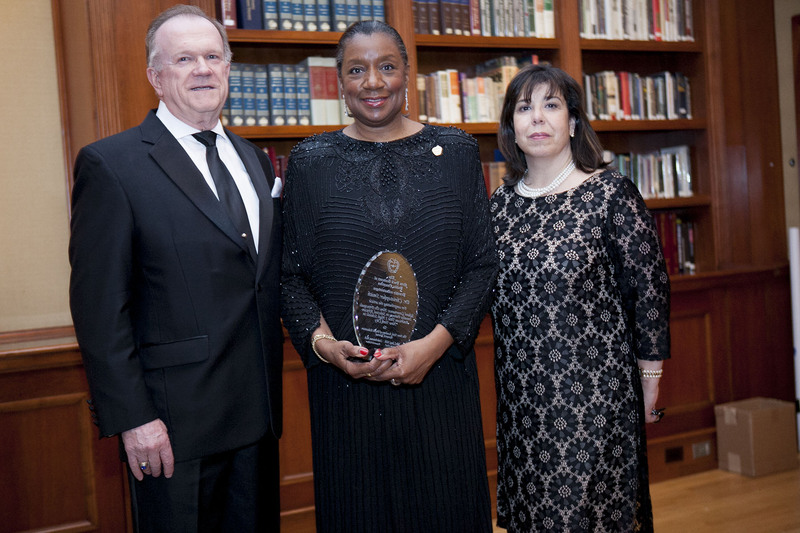 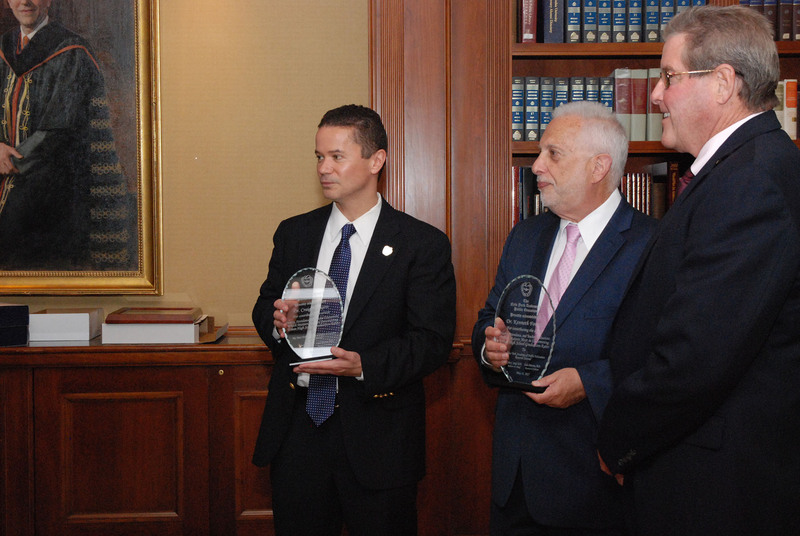 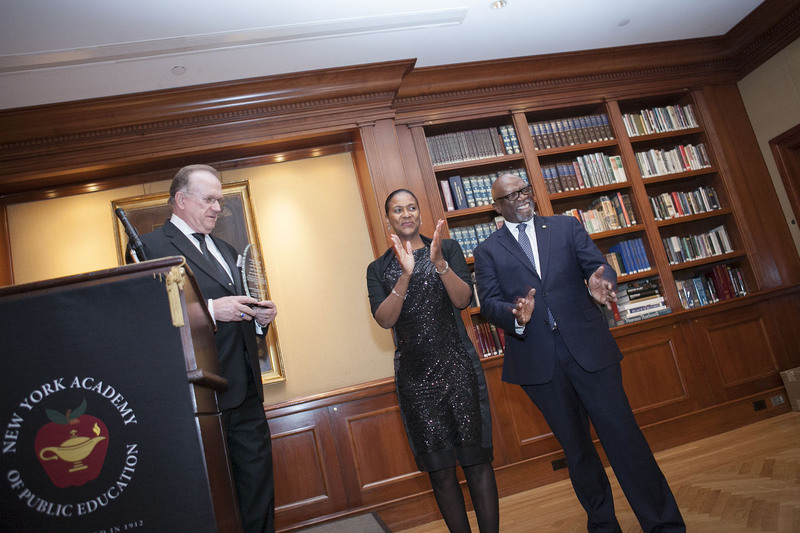 Labor Press named Mr. Logan its 2015 Labor Leader of the Year. 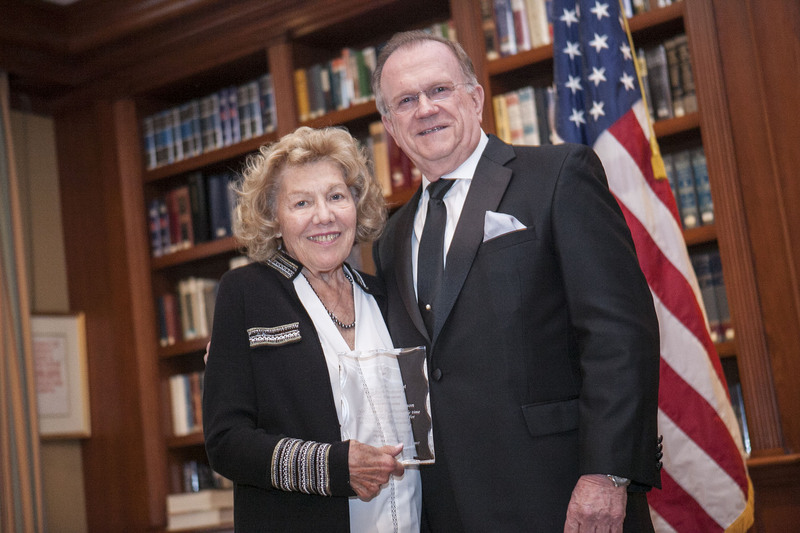 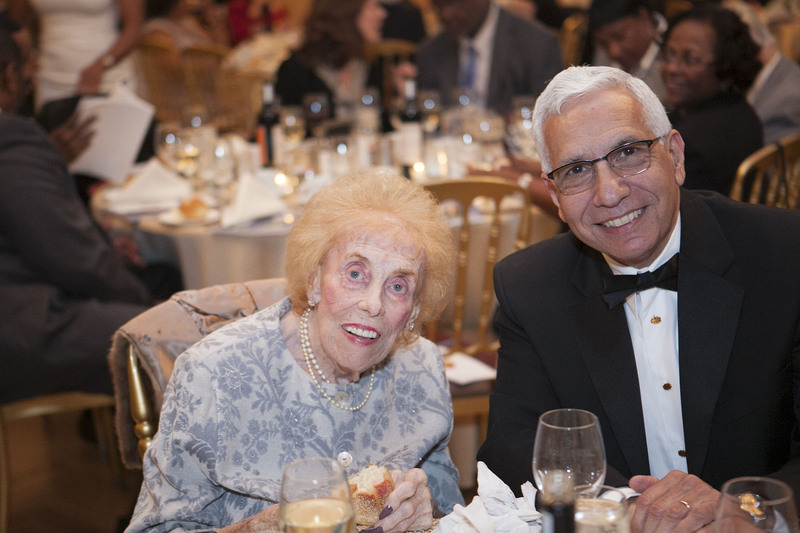 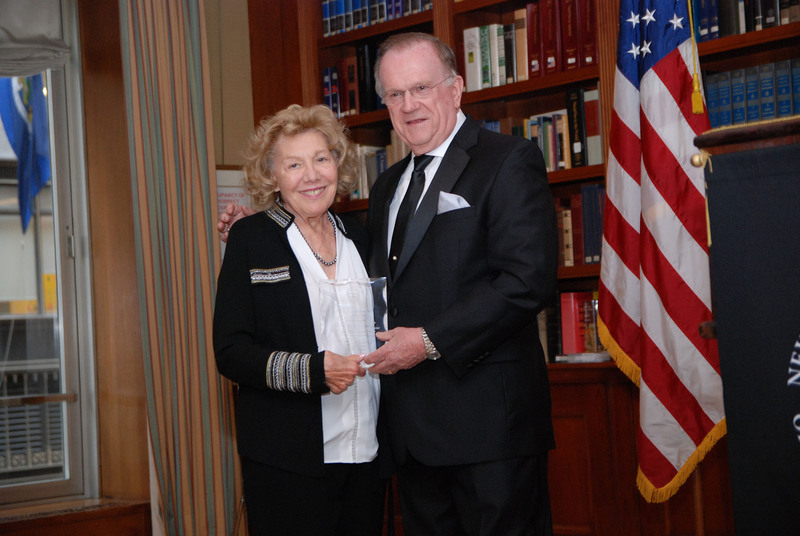 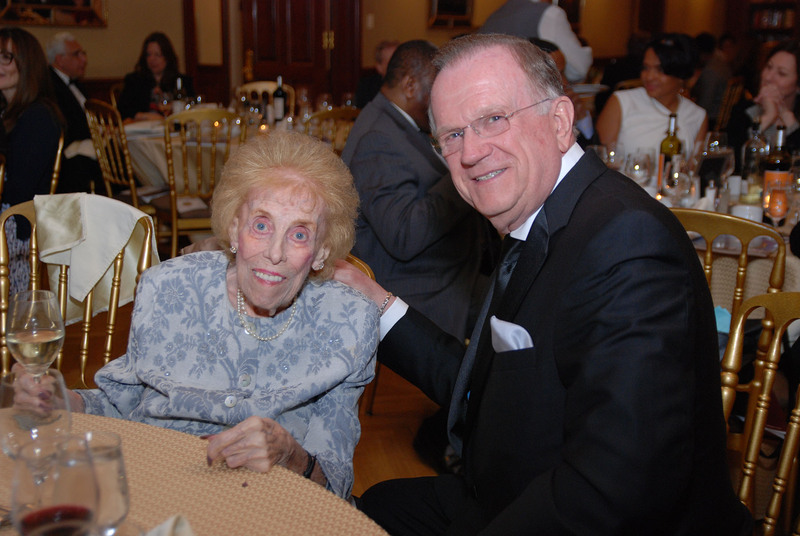 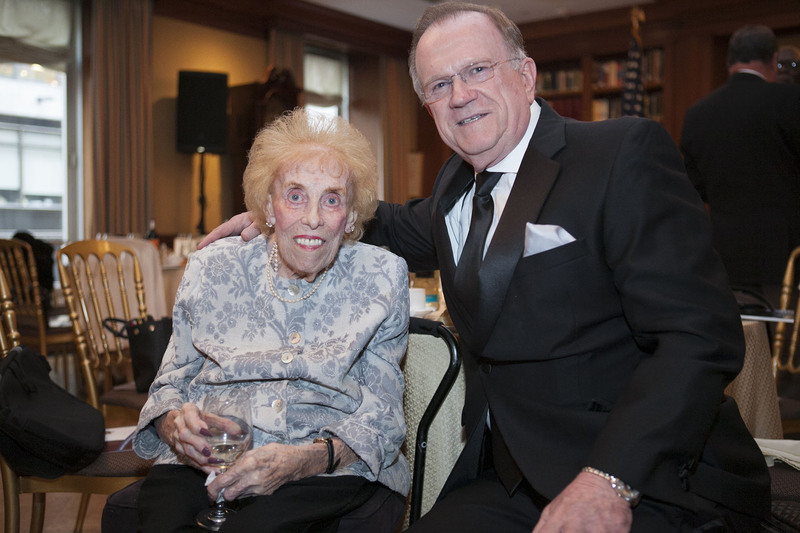 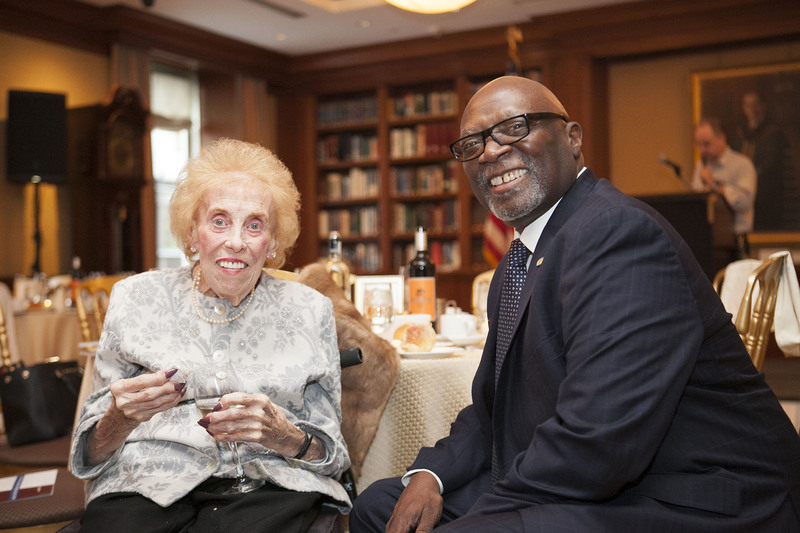 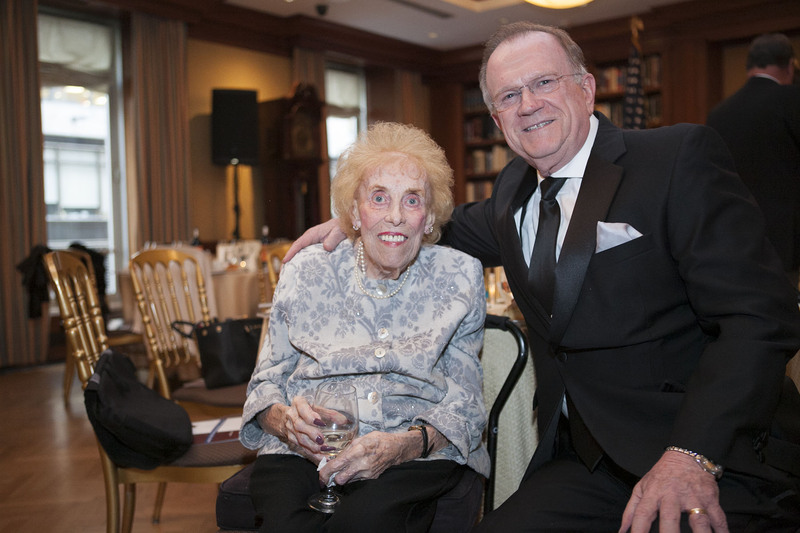 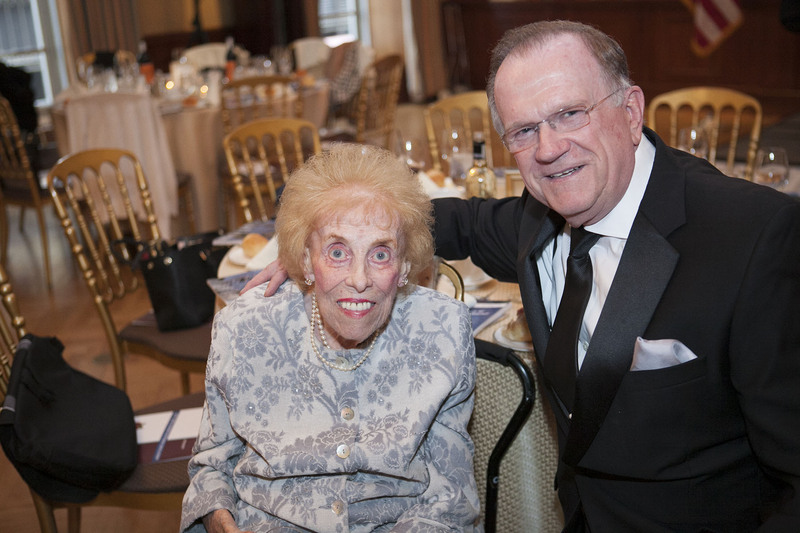 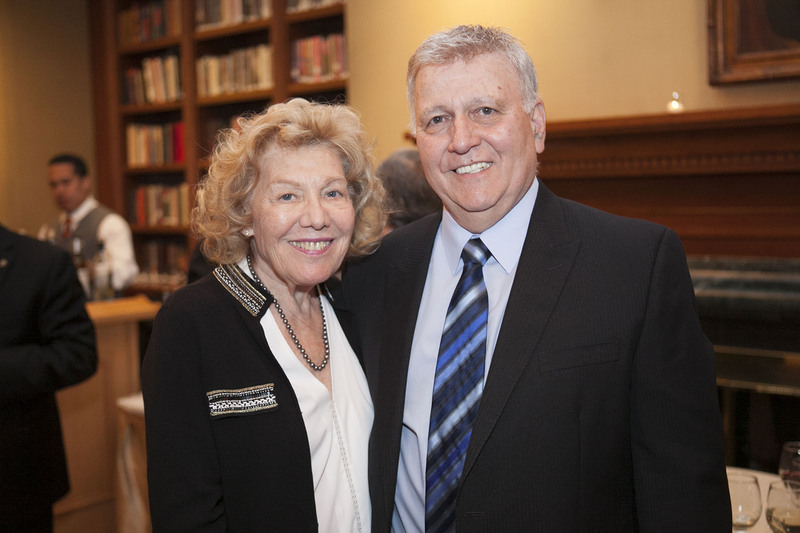 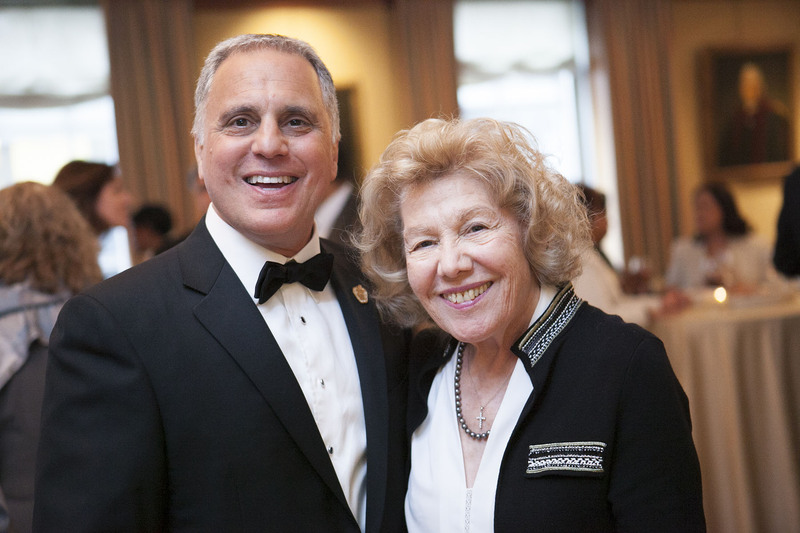 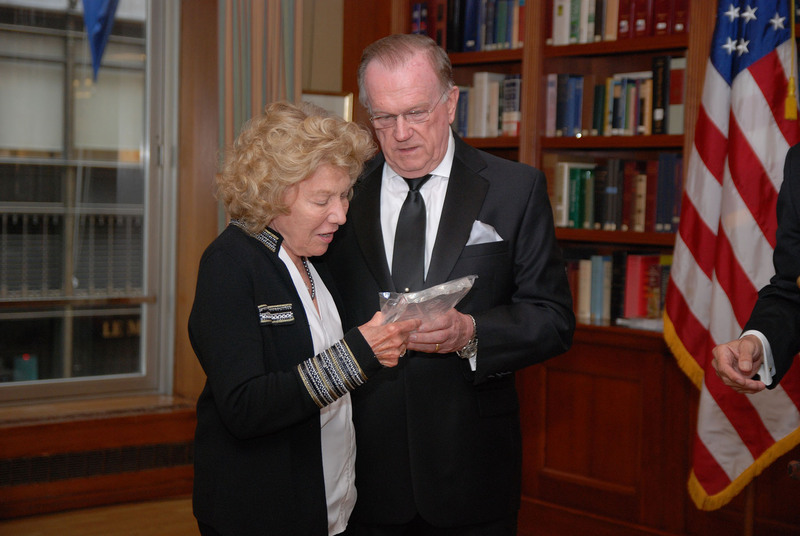 Mr. Logan and his wife, Beatrice, a retired high school guidance counselor, have established the Ernest A. Logan Scholarship at SUNY Cortland, which provides tuition assistance for NYC public school students. 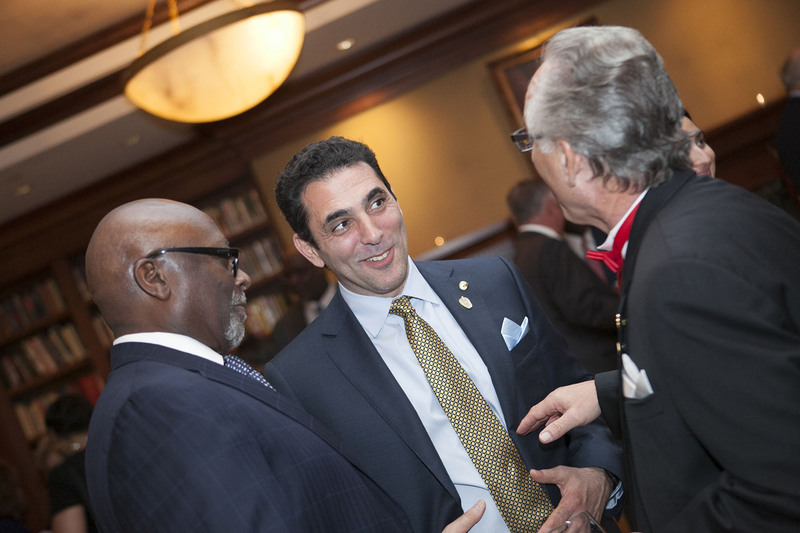 Mr. Logan is the new Executive VP of AFSA and serves on its General Executive Board.